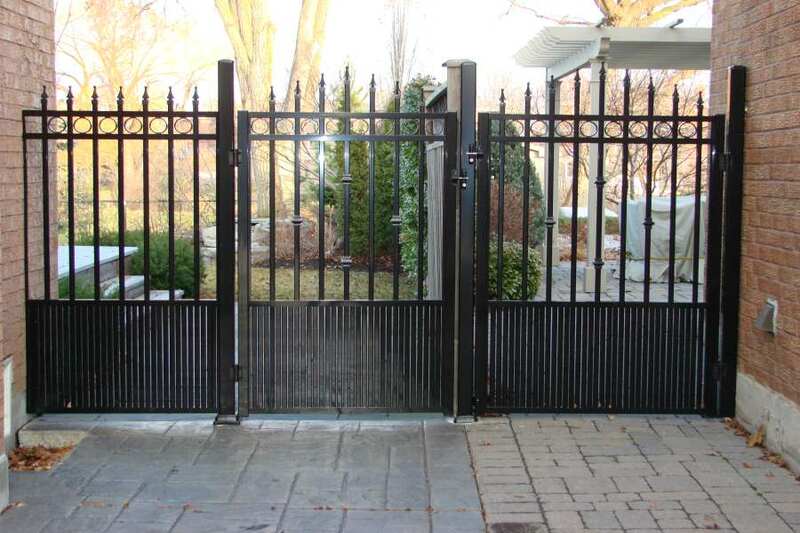 You are faced with one of the most important choices at the moment. 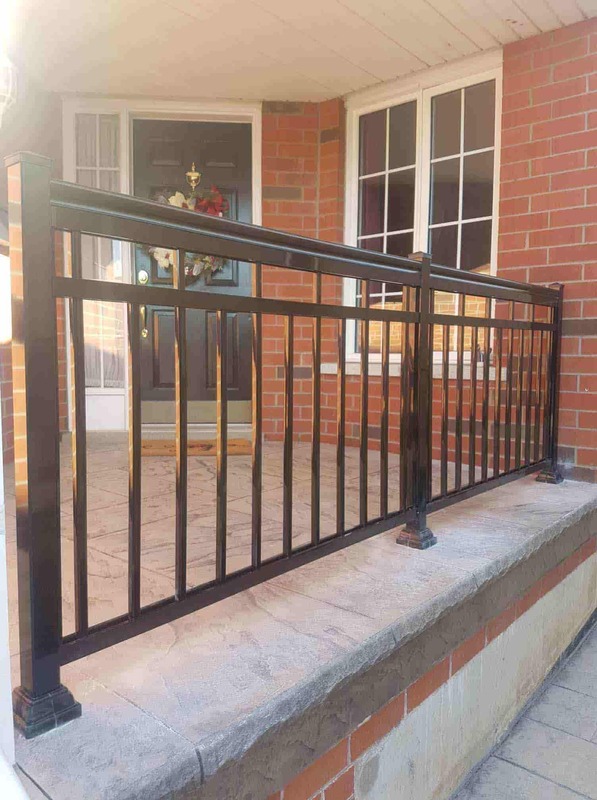 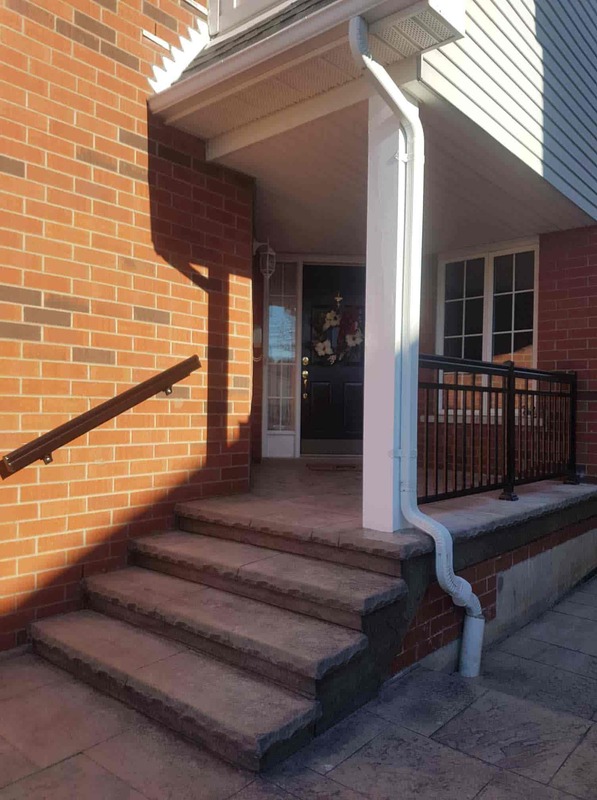 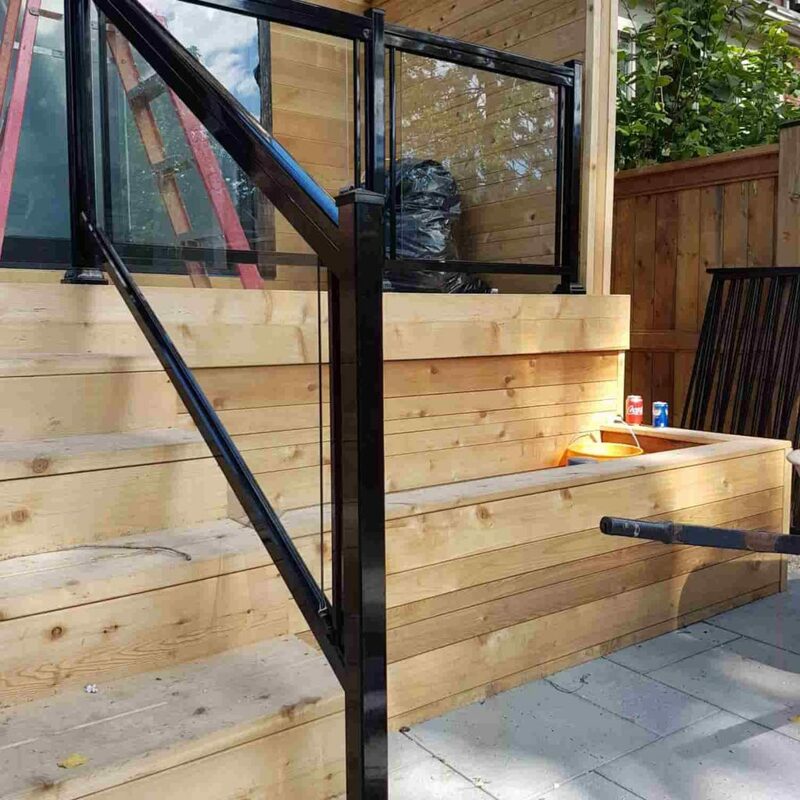 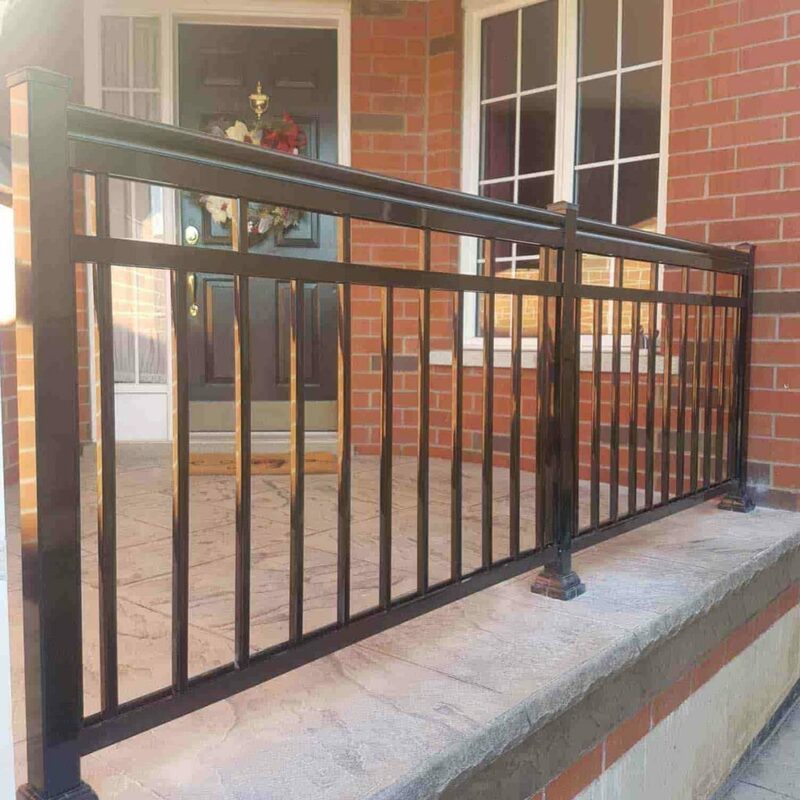 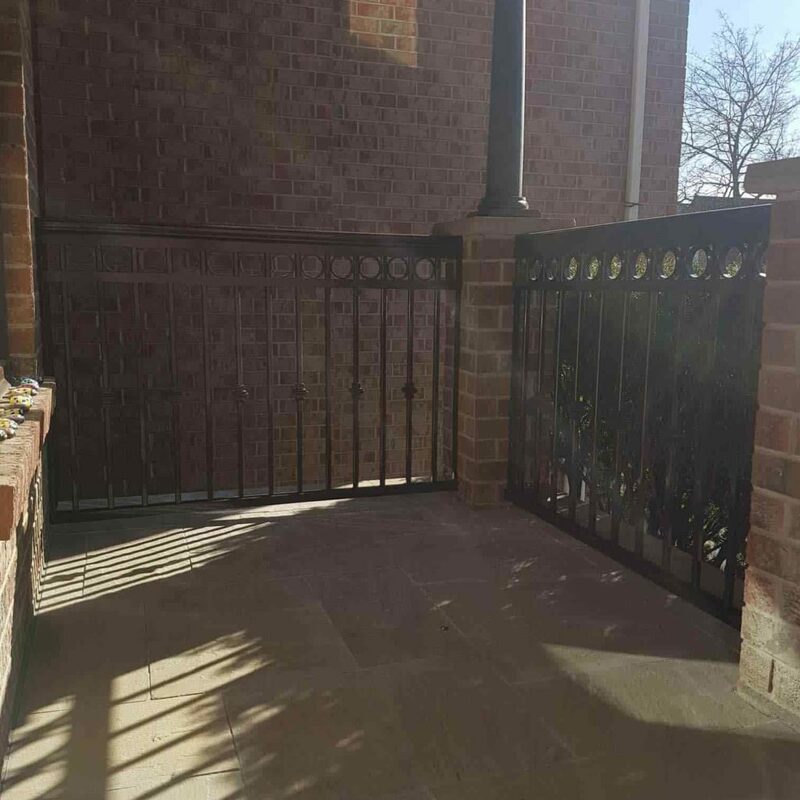 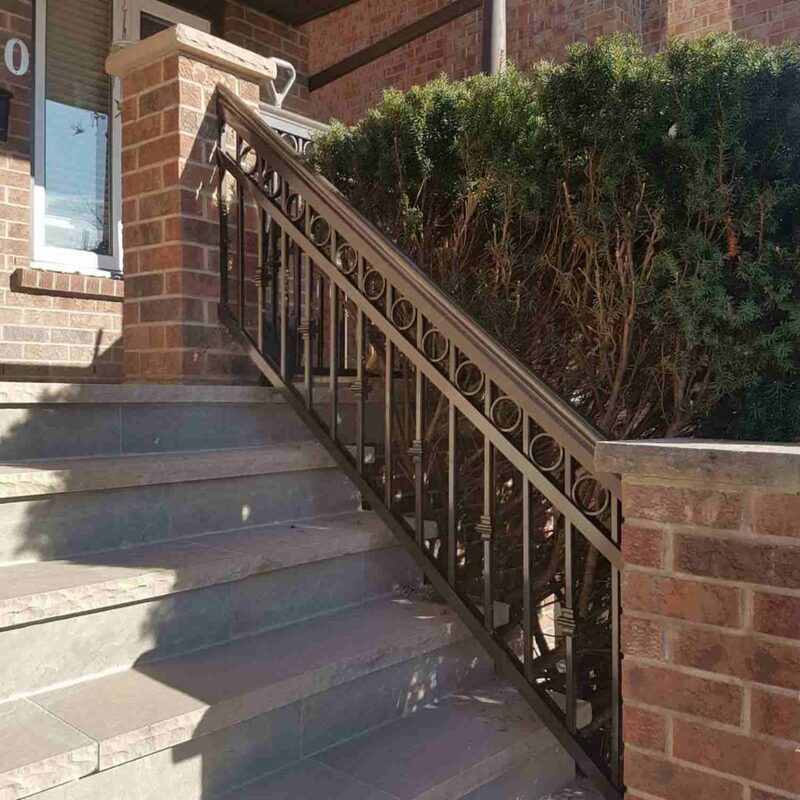 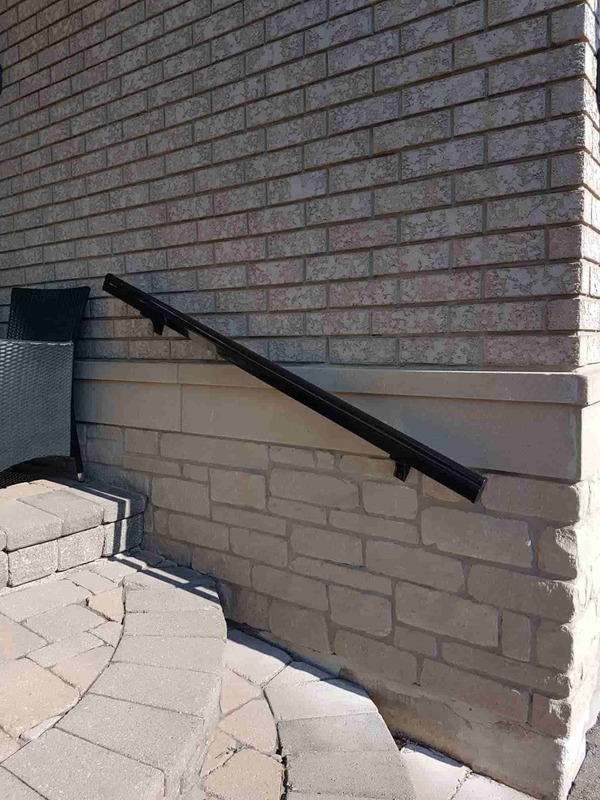 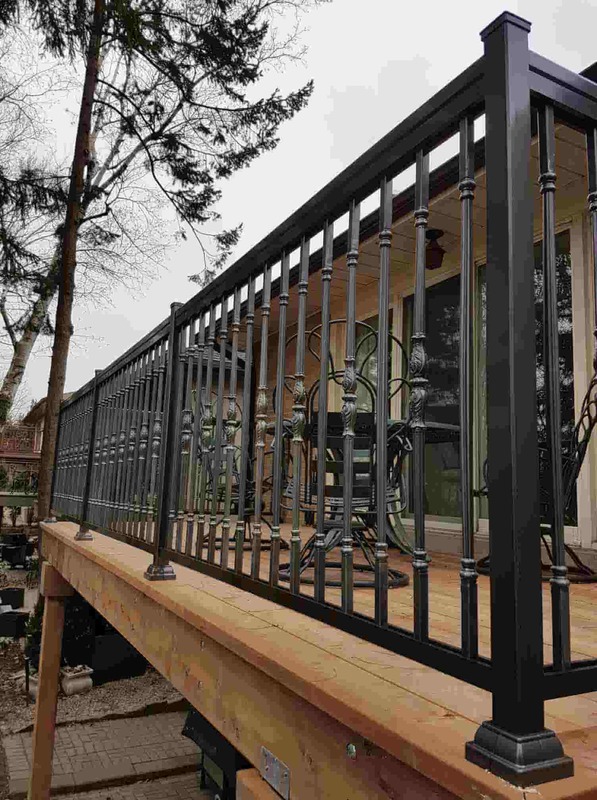 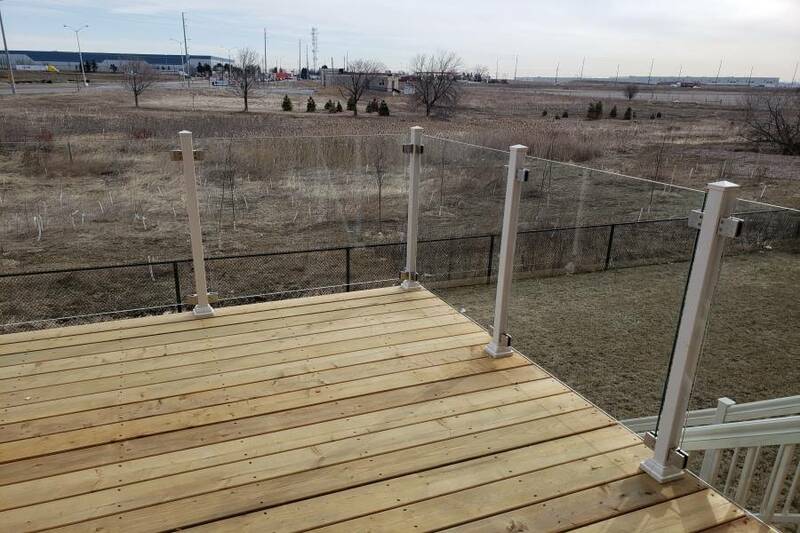 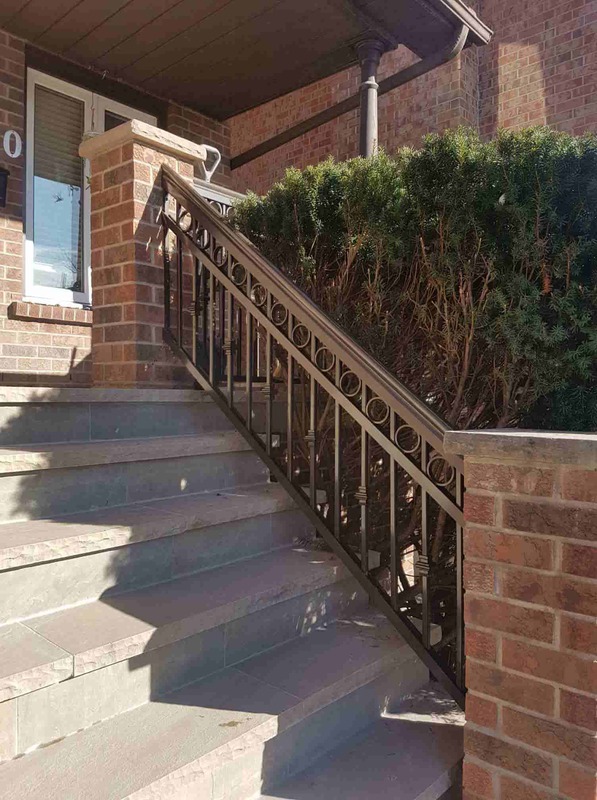 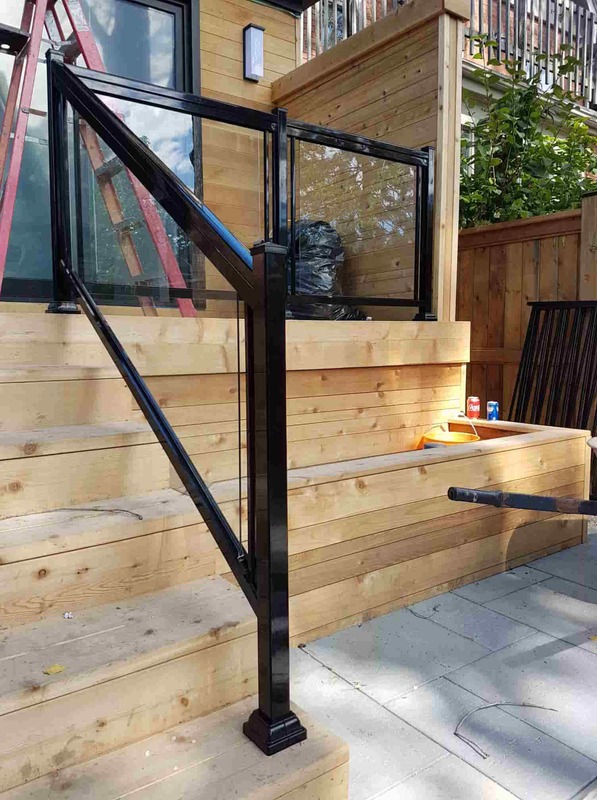 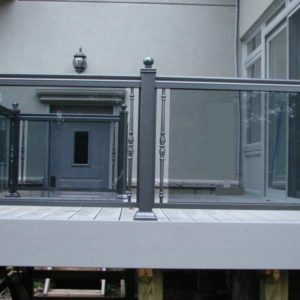 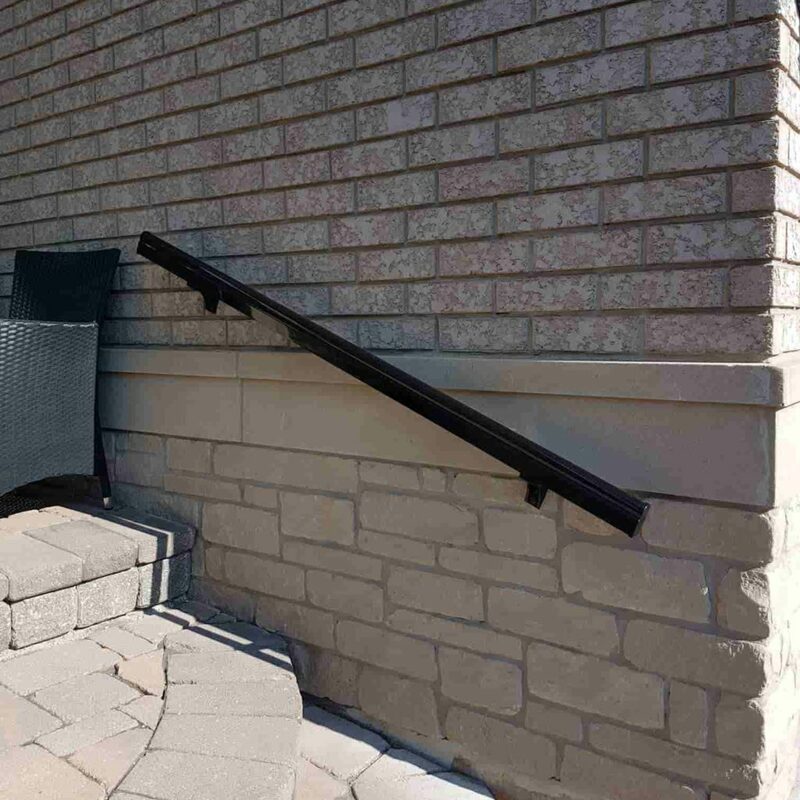 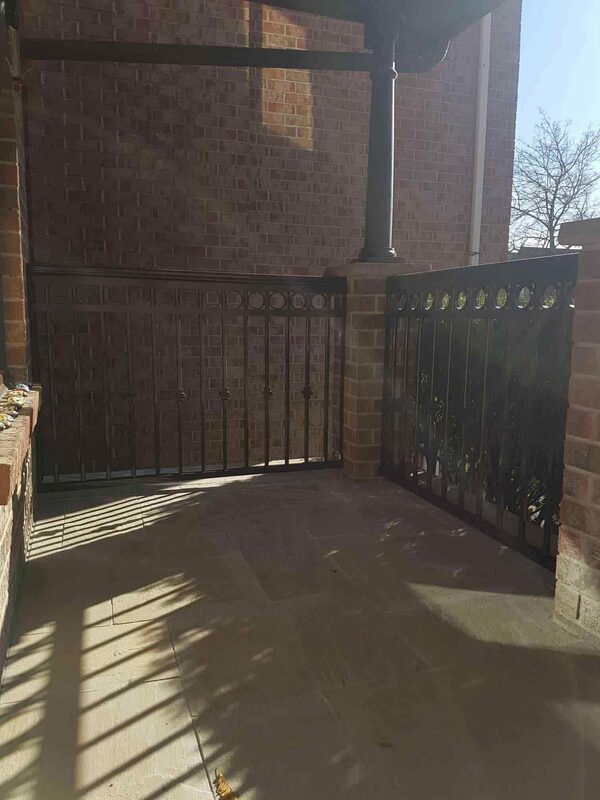 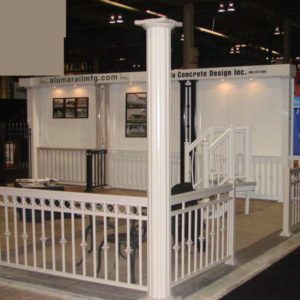 Which is the best material for exterior railing? 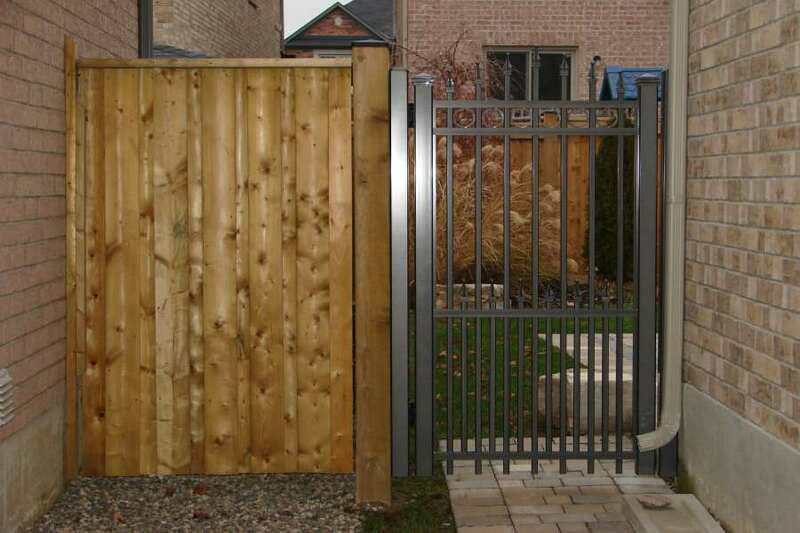 Aluminum, wood or steel? 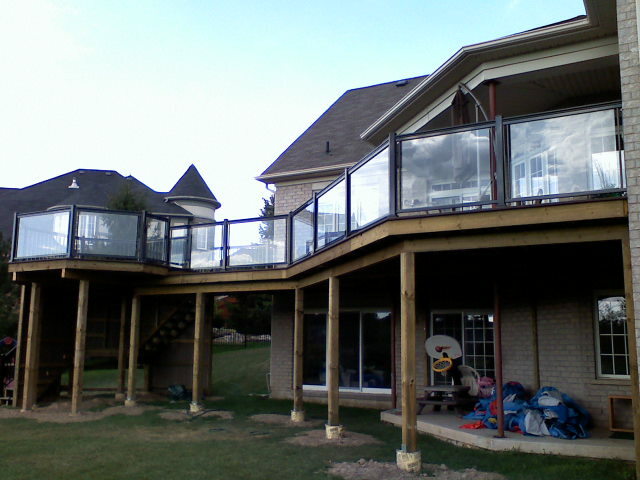 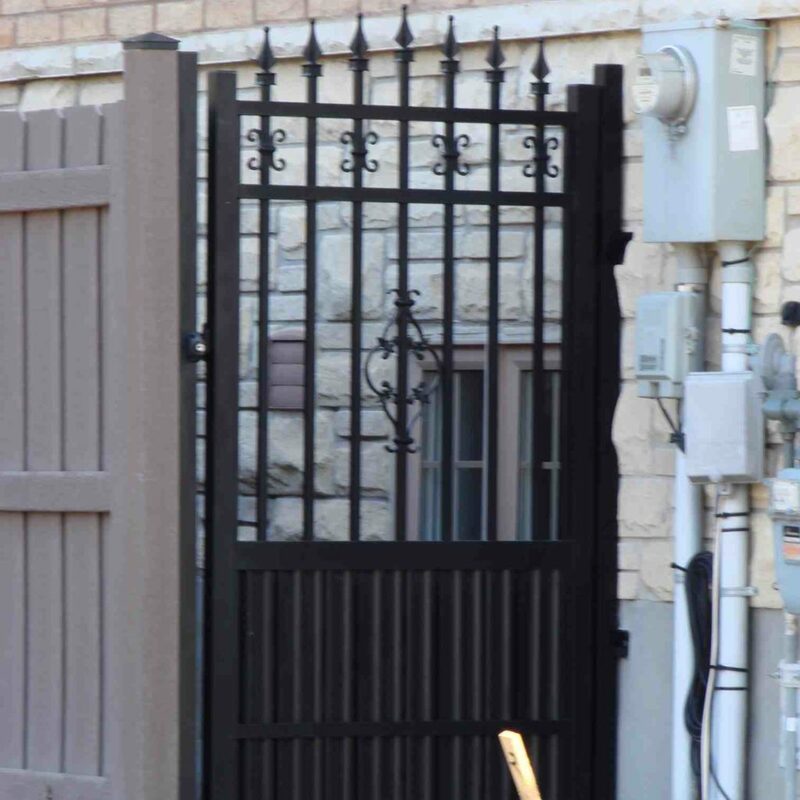 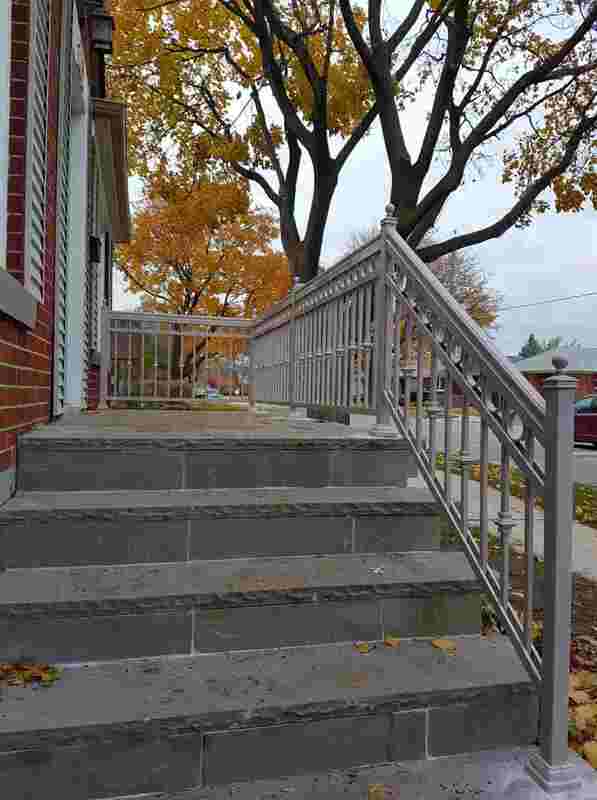 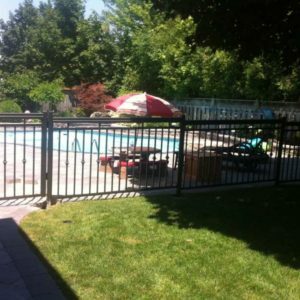 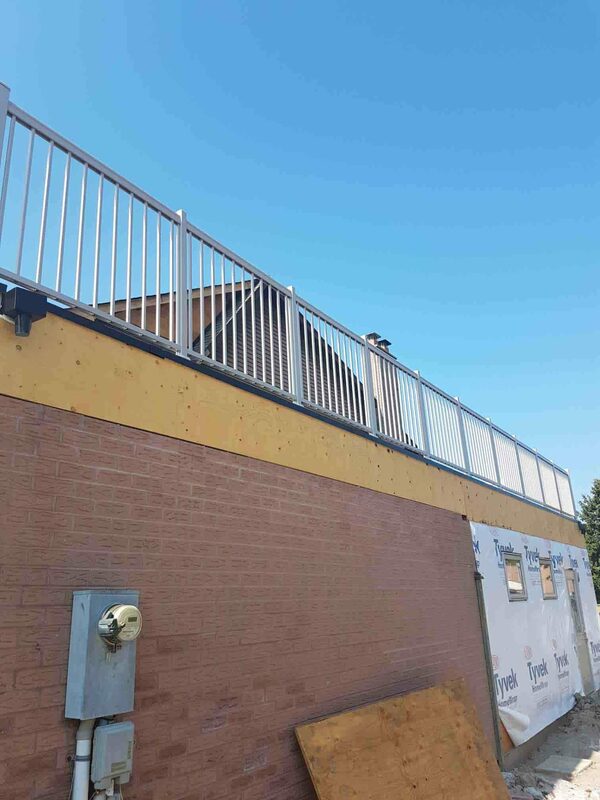 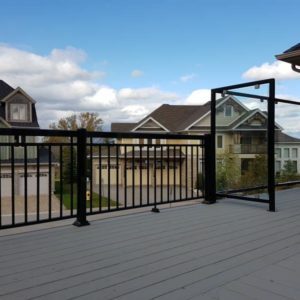 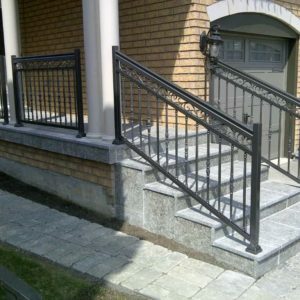 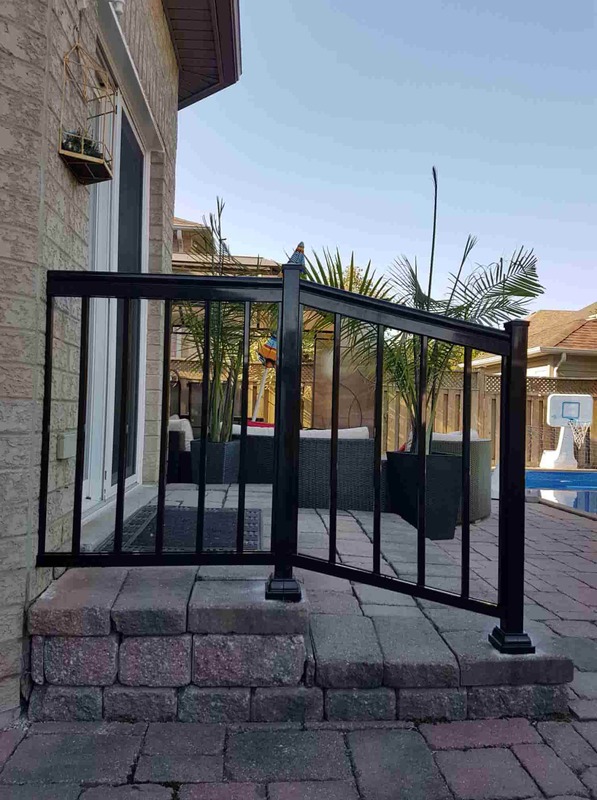 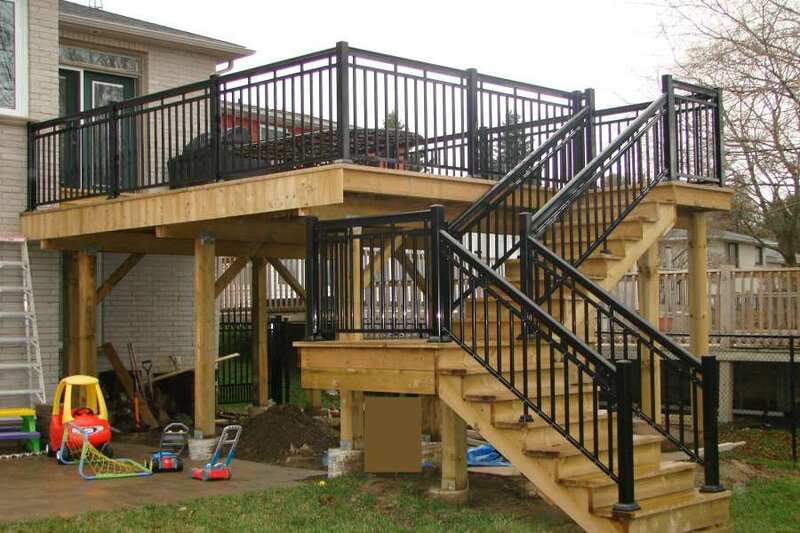 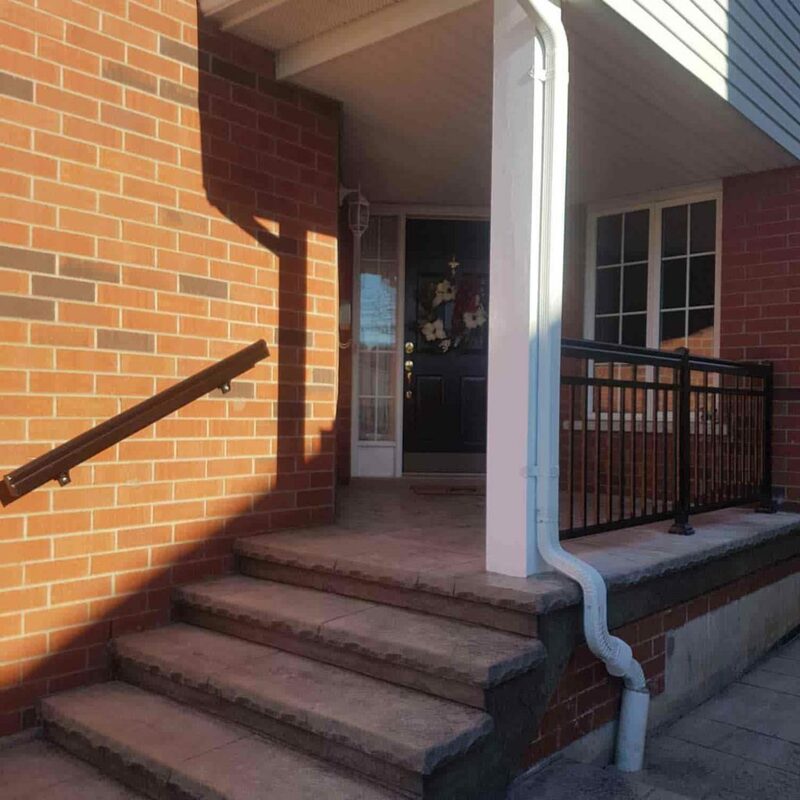 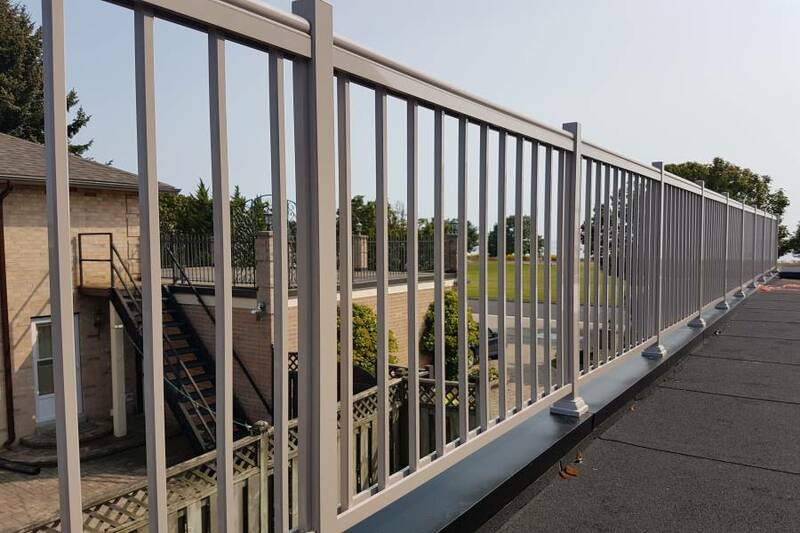 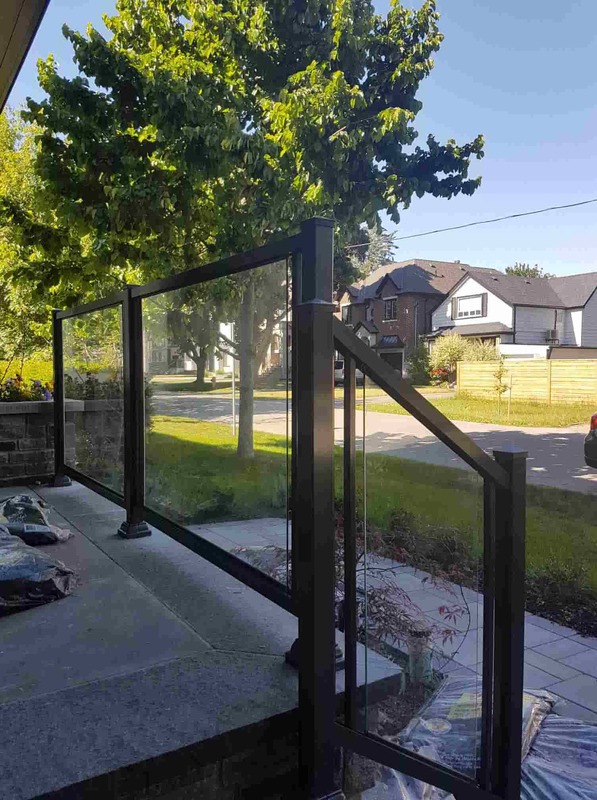 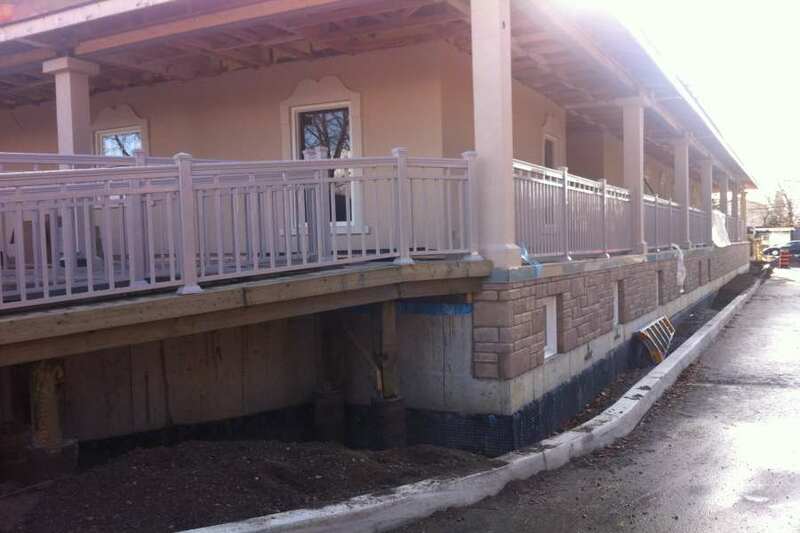 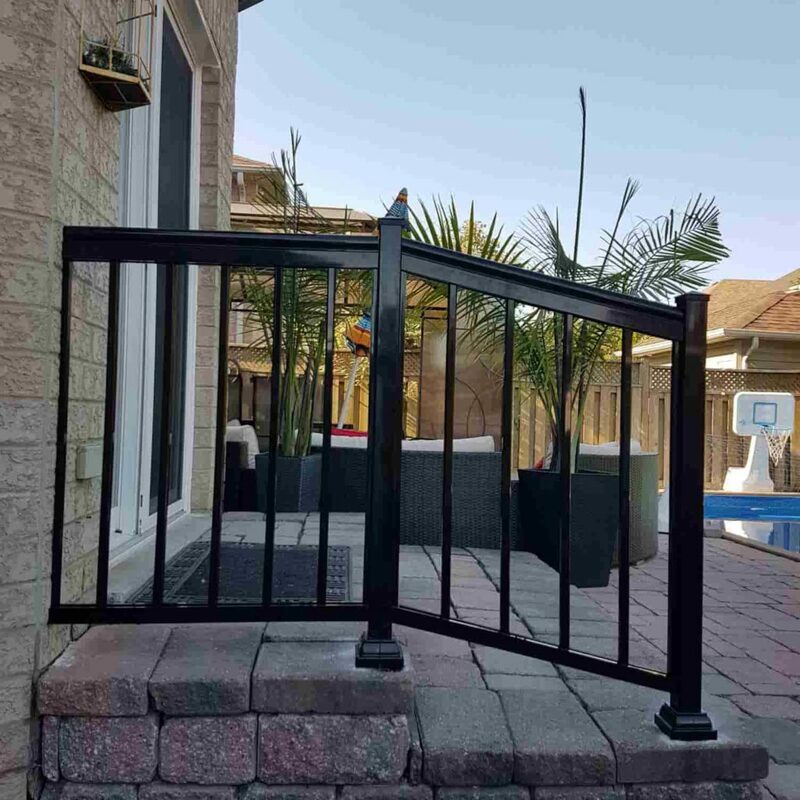 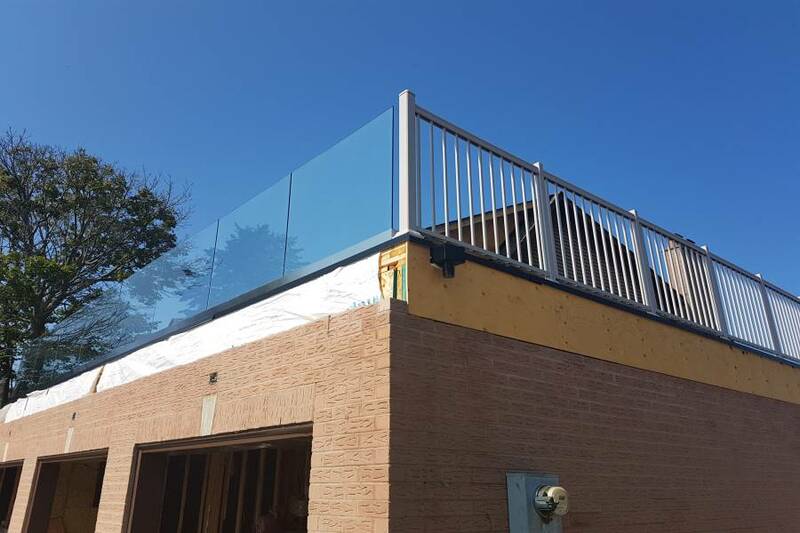 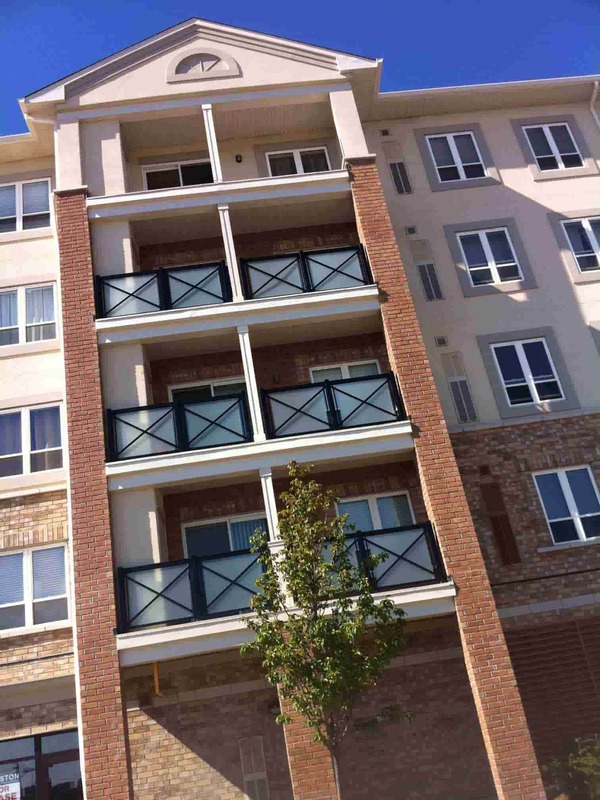 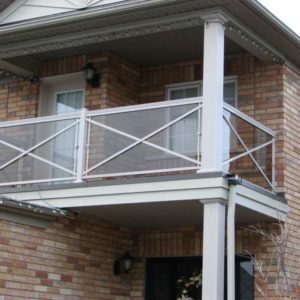 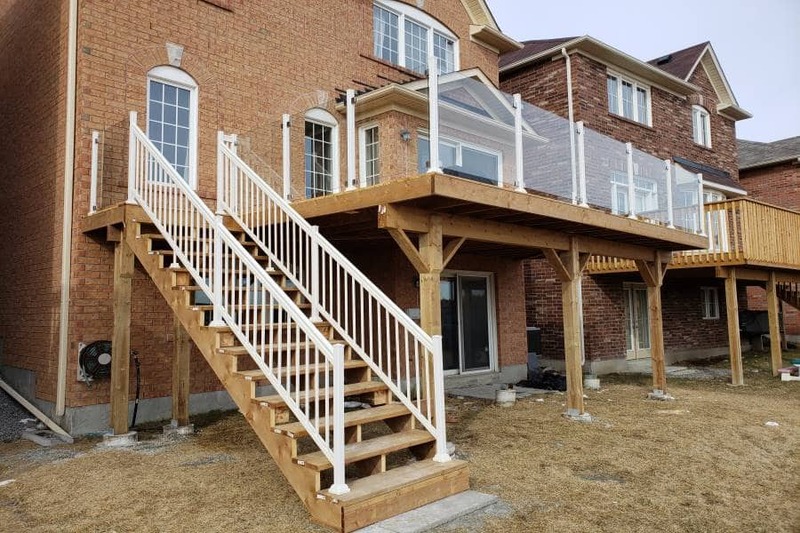 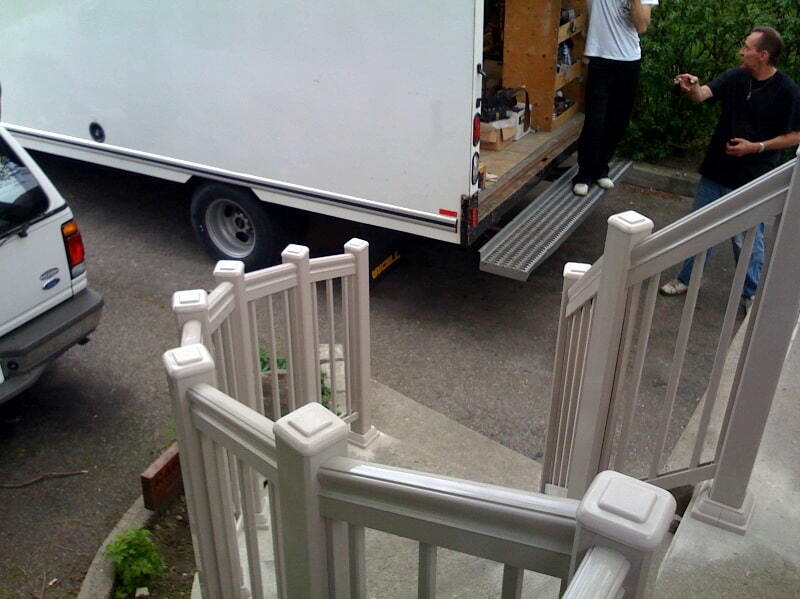 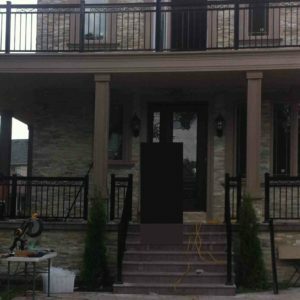 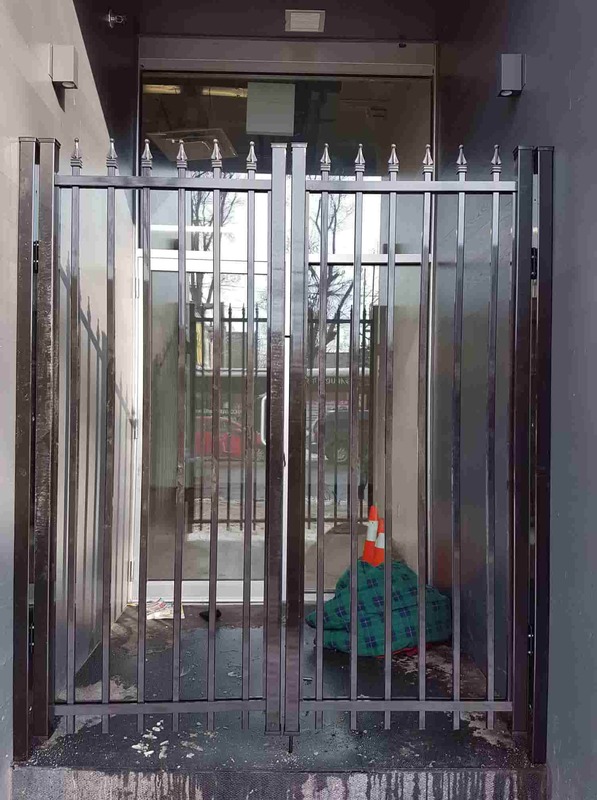 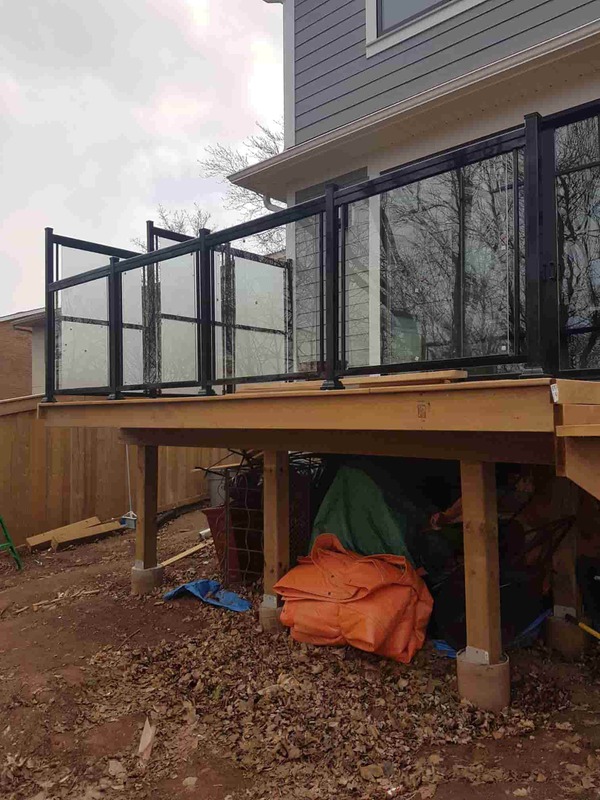 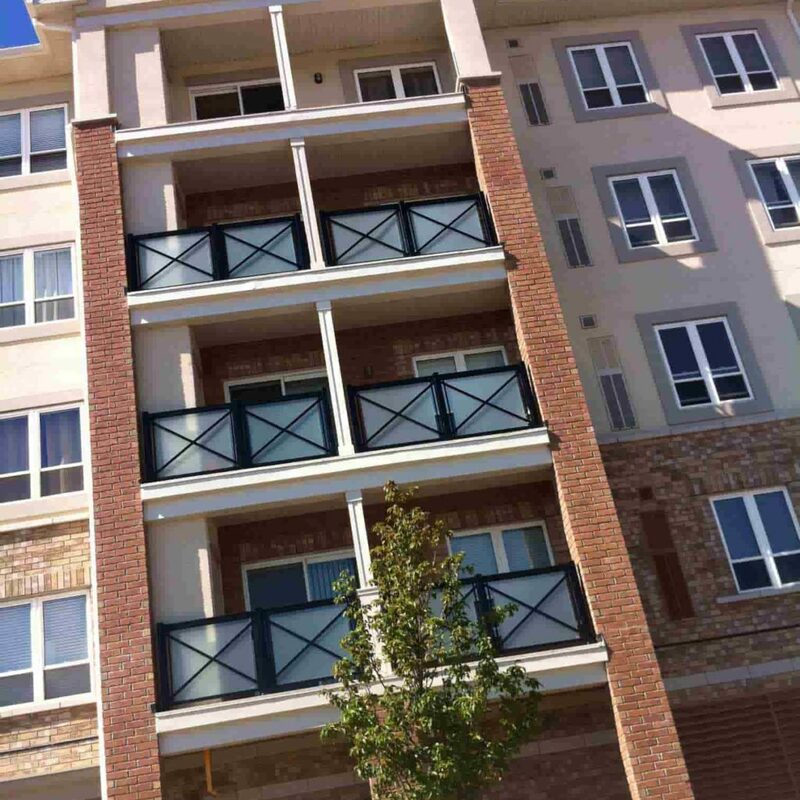 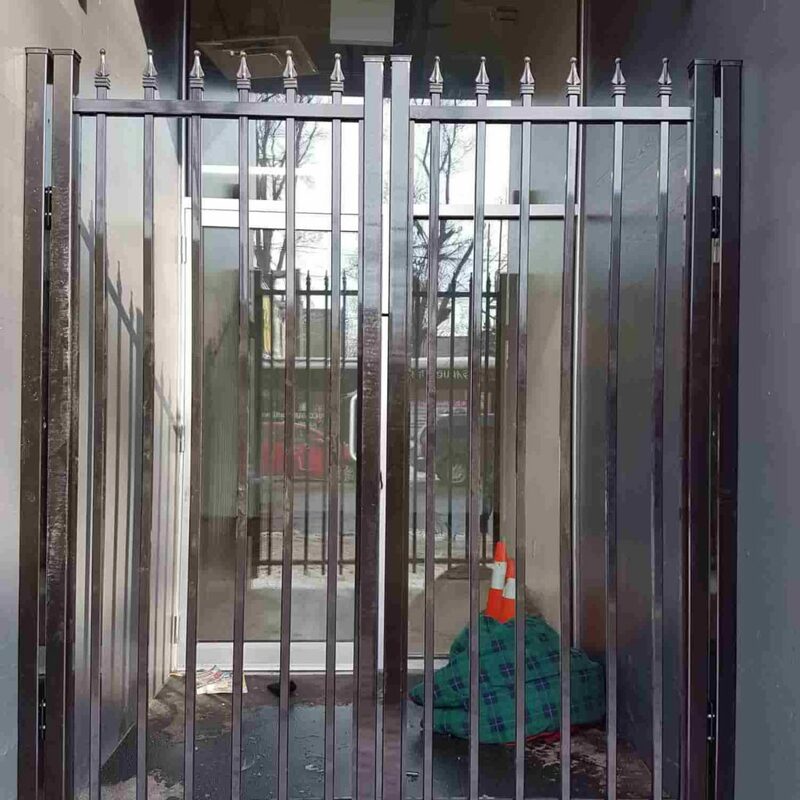 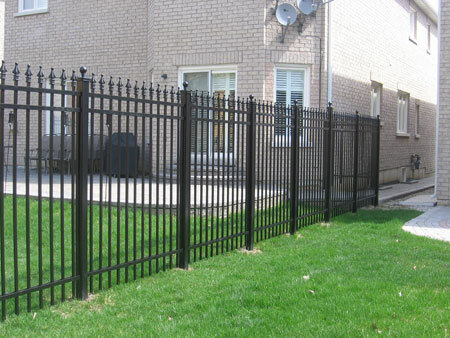 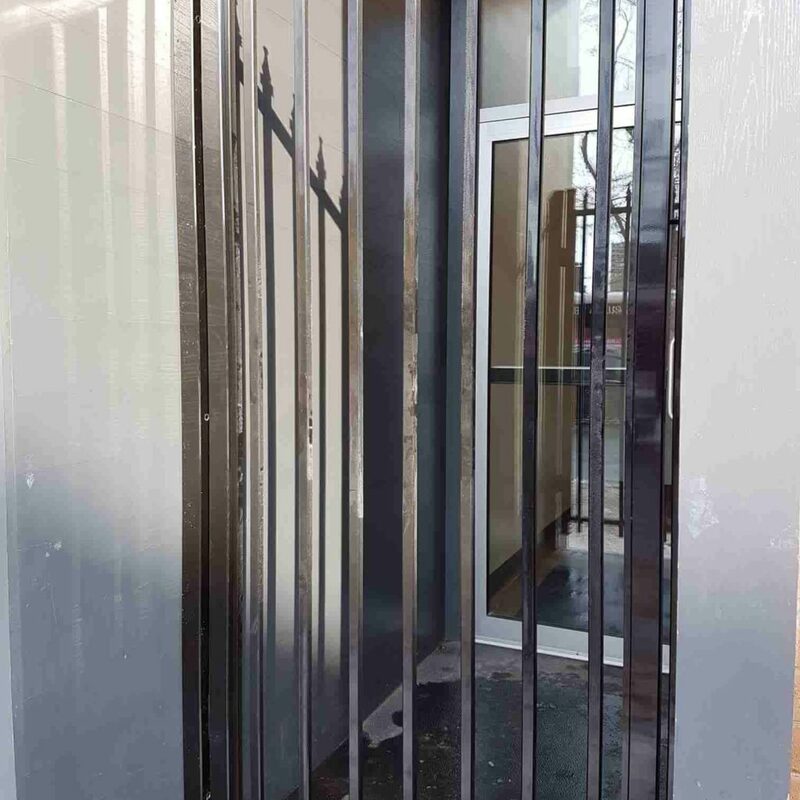 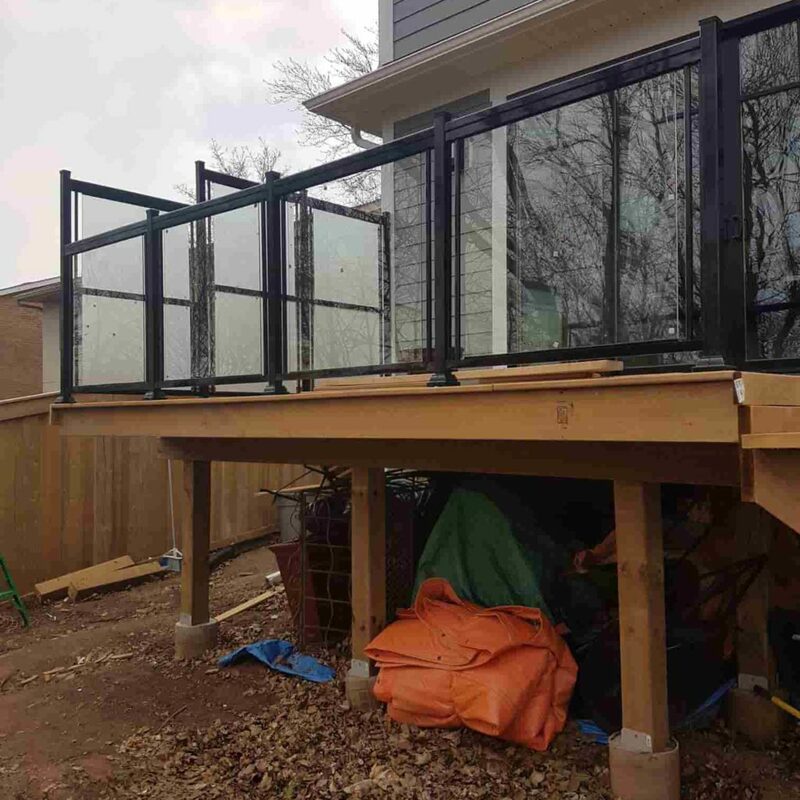 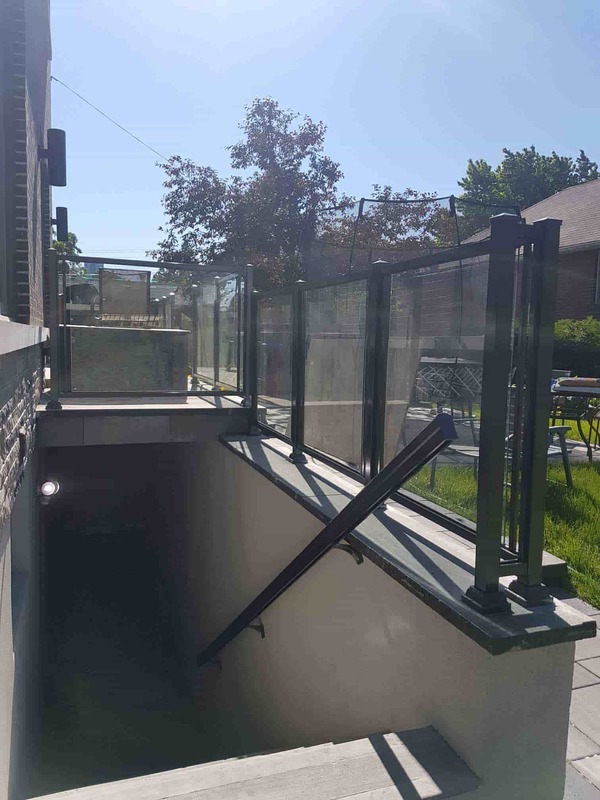 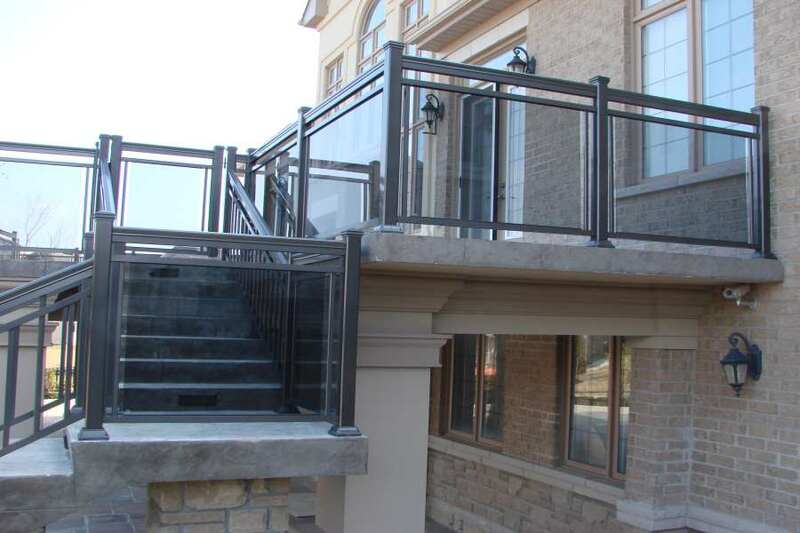 From our experience, we have learned that aluminum exterior railings will win out each and every time. 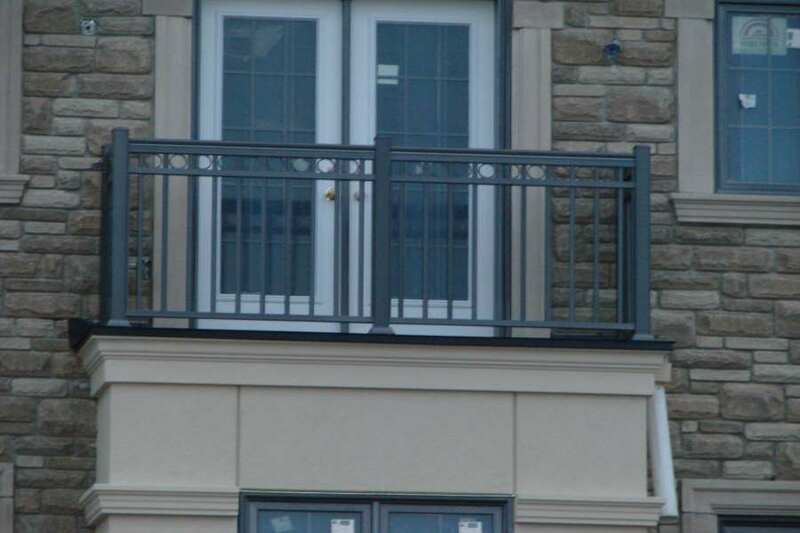 We are not just saying this because of our obvious bias as aluminum specialists. 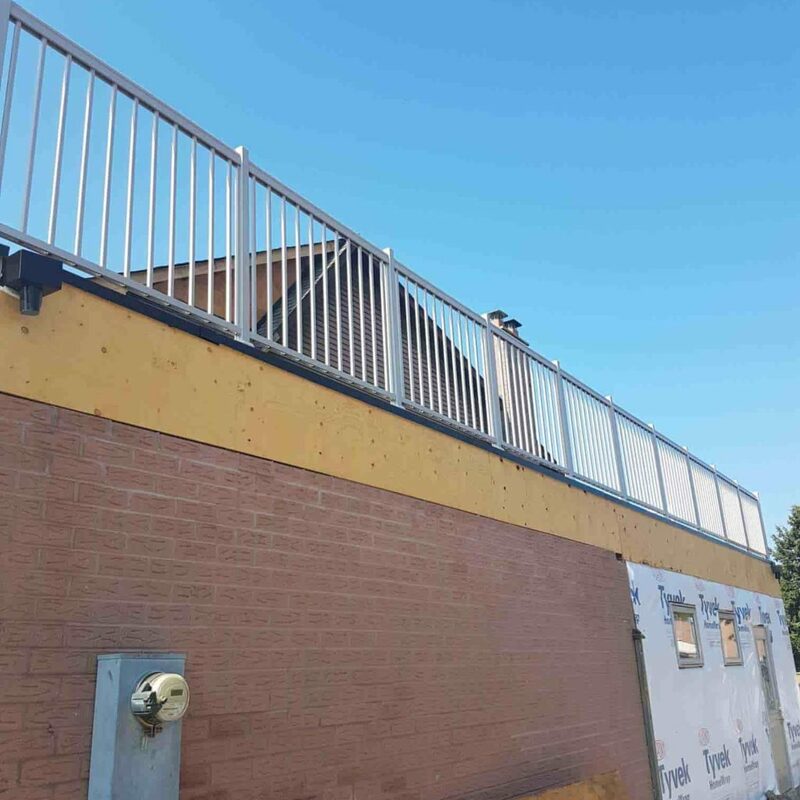 We are basing our conclusion on the years of research that North West Aluminum staff members have conducted over the years and the feedback from clients we have worked with and others who have sought solutions when their initial choices have left them in a quandary. 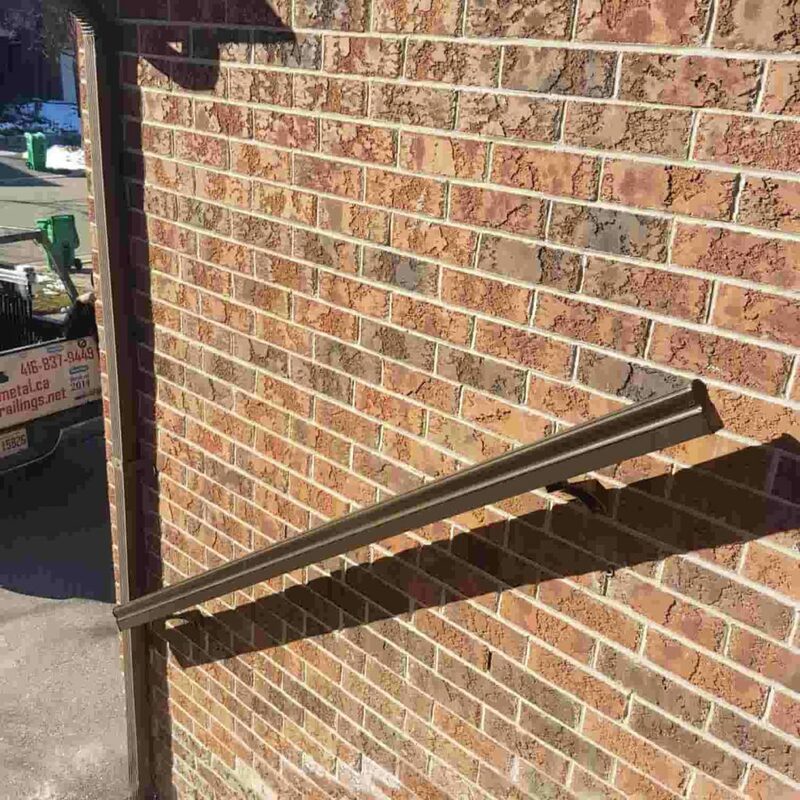 Aluminum wins because it’s weather resistant. 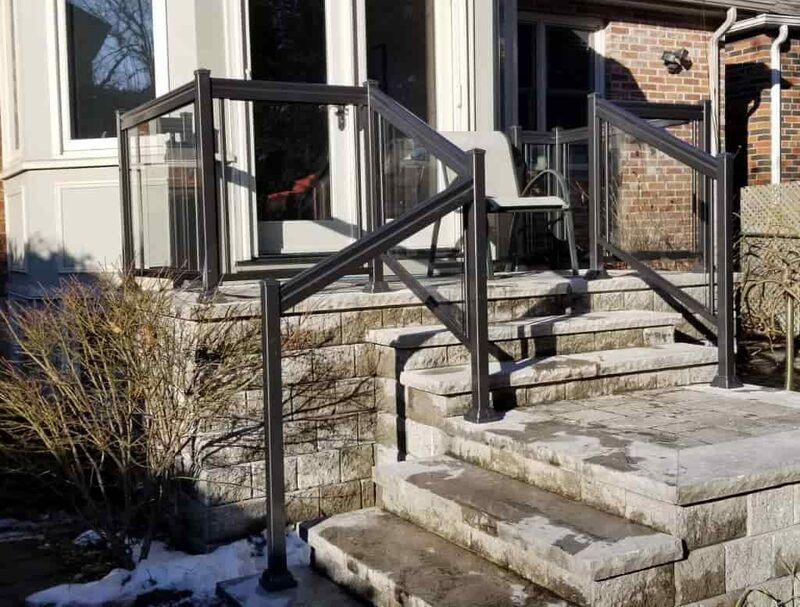 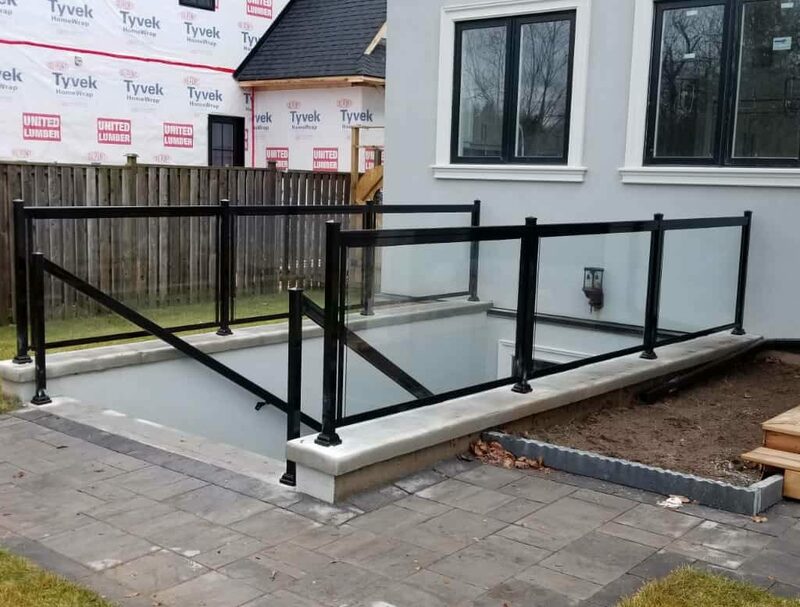 Heat, ice and water are no match when you install an aluminum stair railing system. 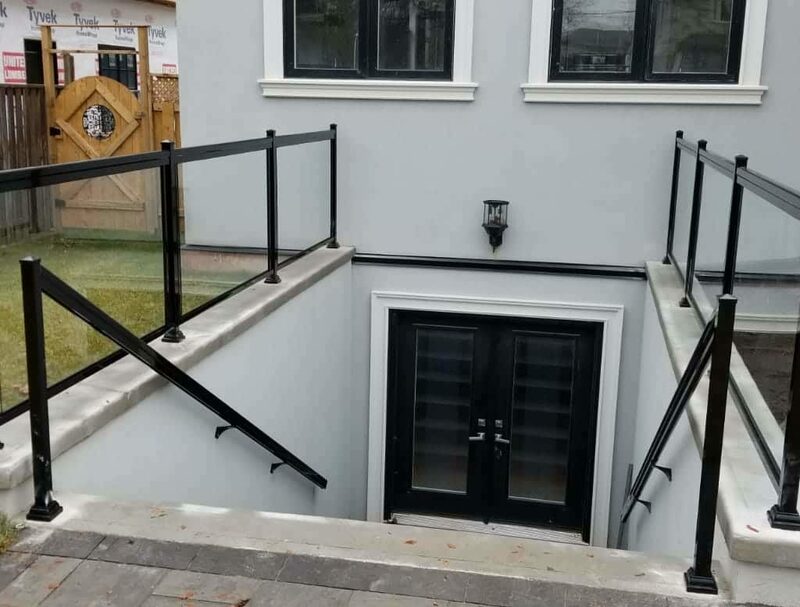 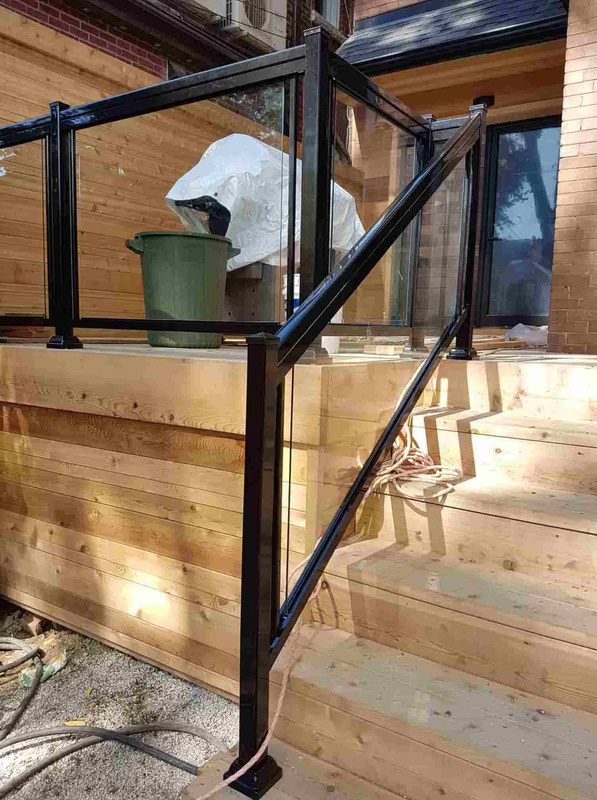 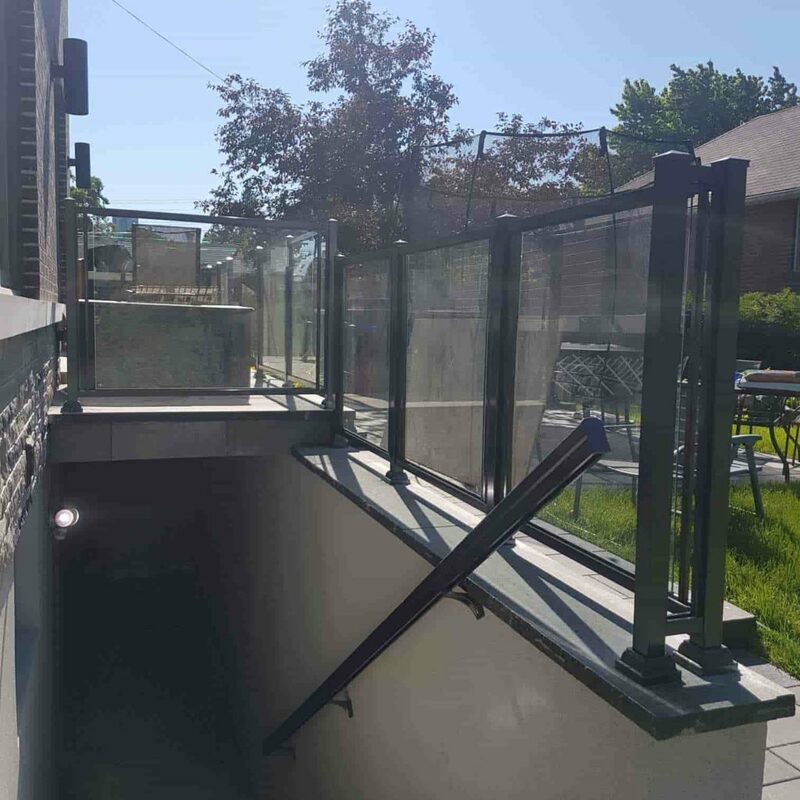 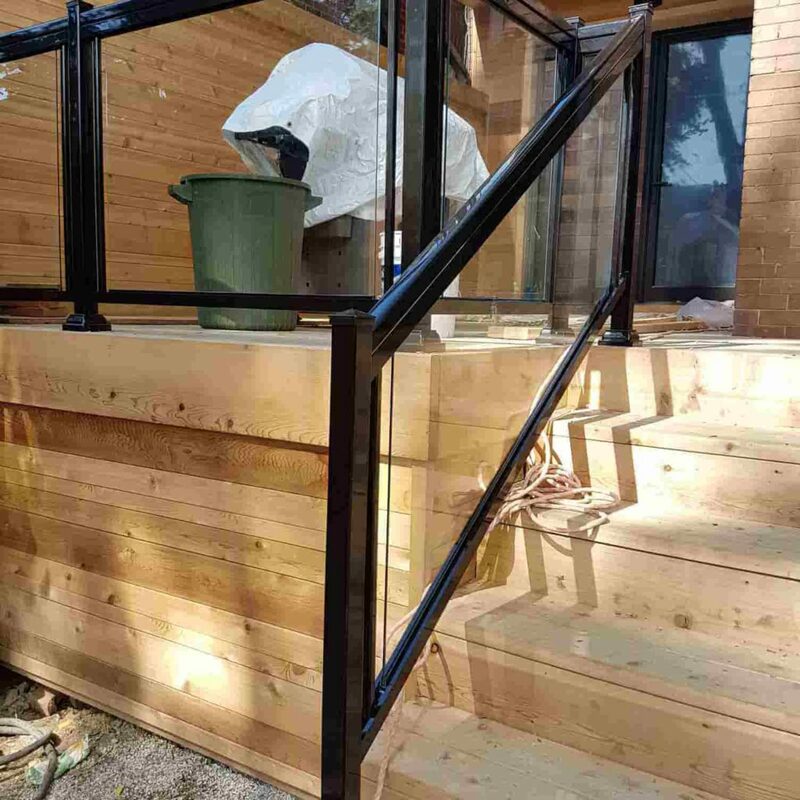 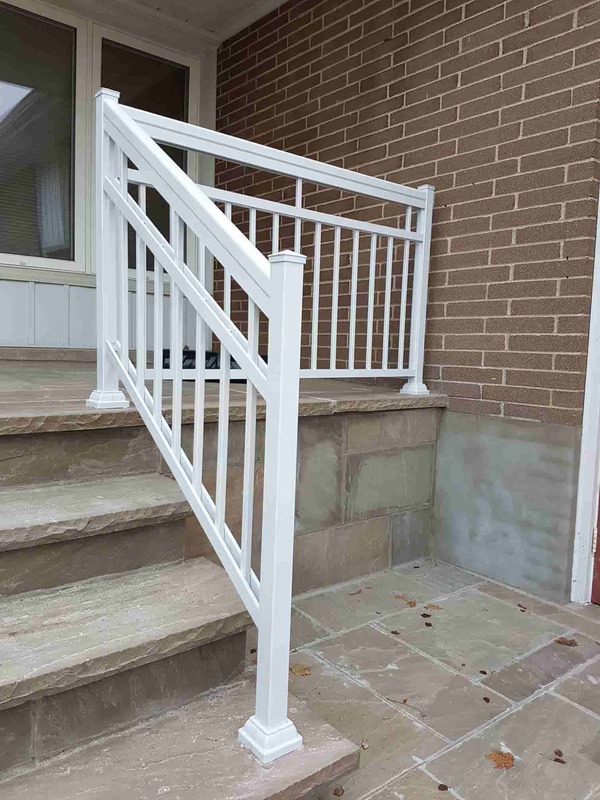 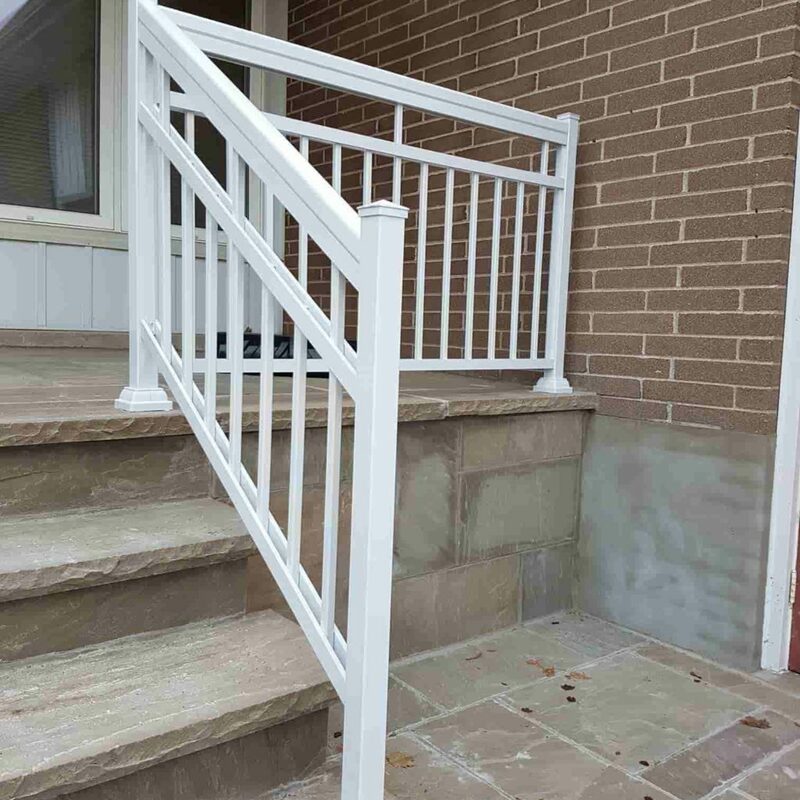 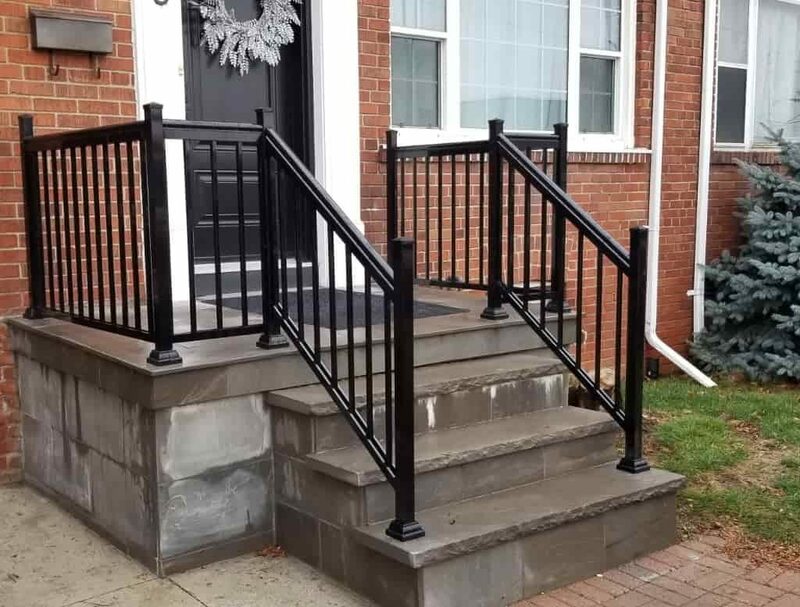 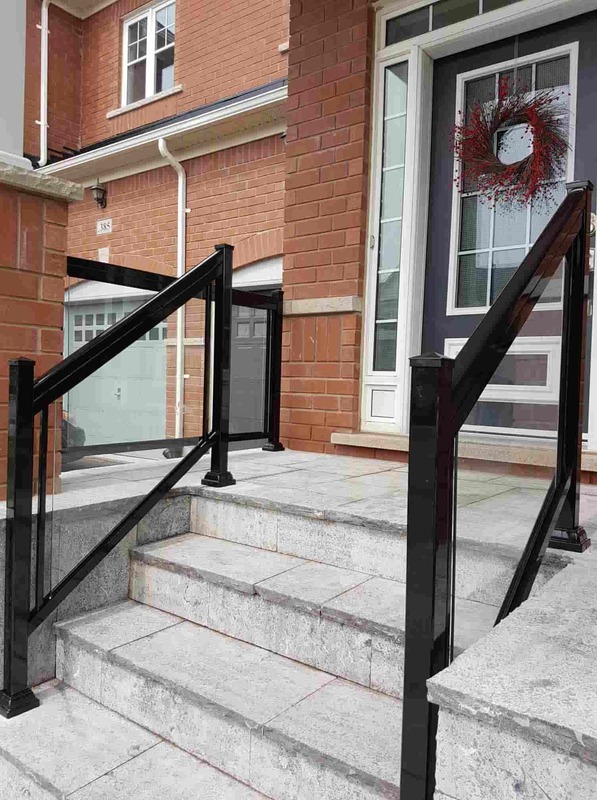 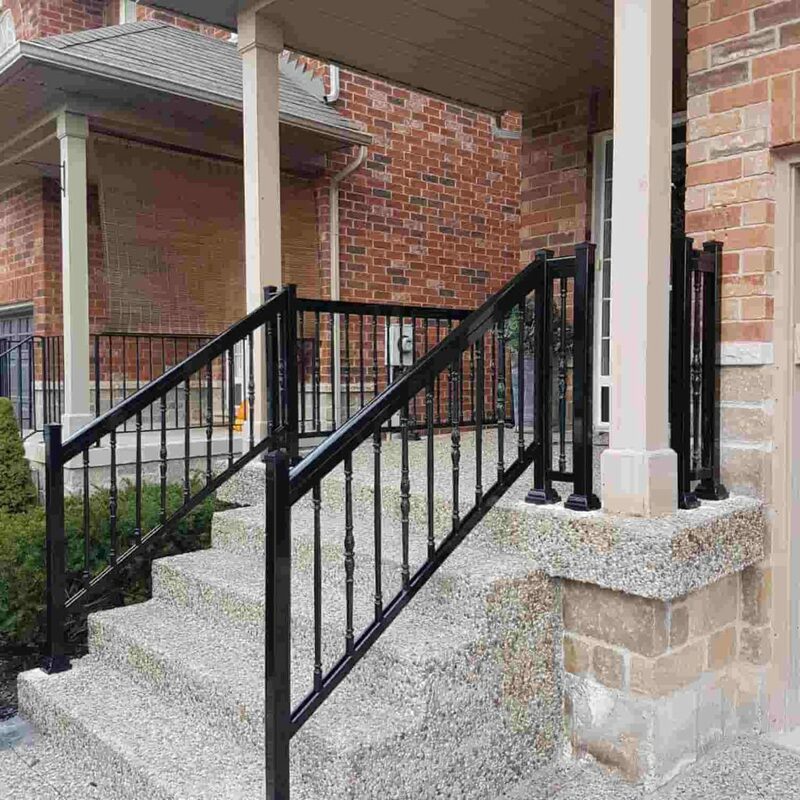 For outside stairs aluminum exterior railings are suitable because their structural integrity won’t be affected by weather extremes. 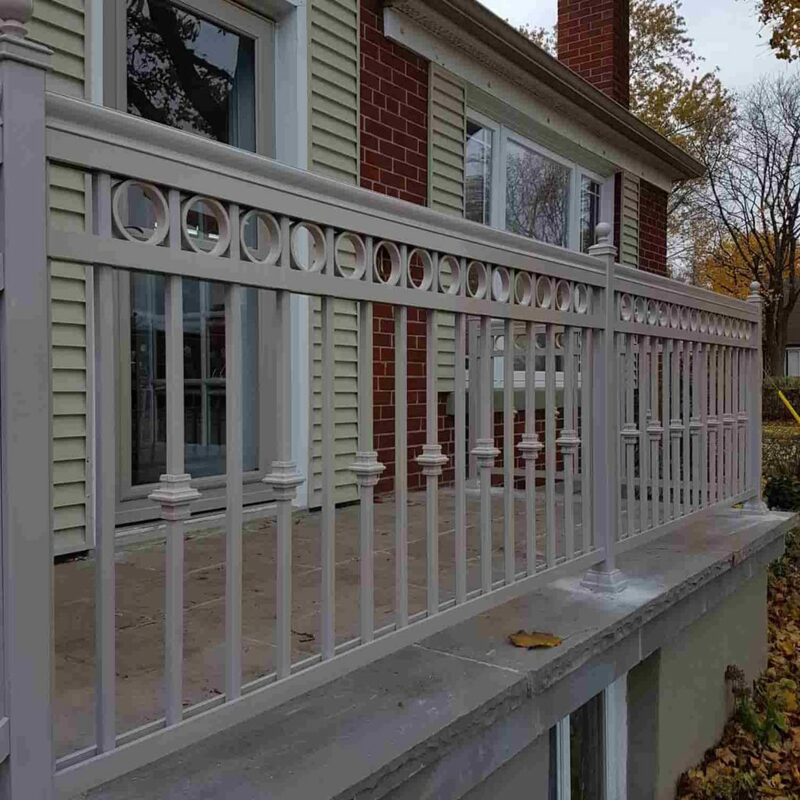 Aluminum is a better alternative compared to wood and steel. 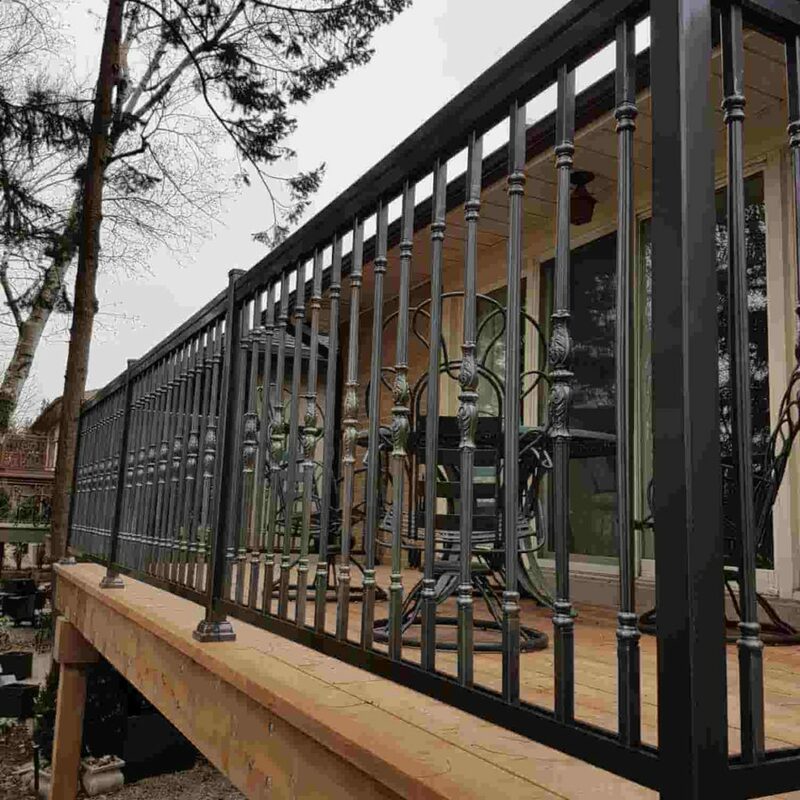 It has a special powder coating that gives it an edge. 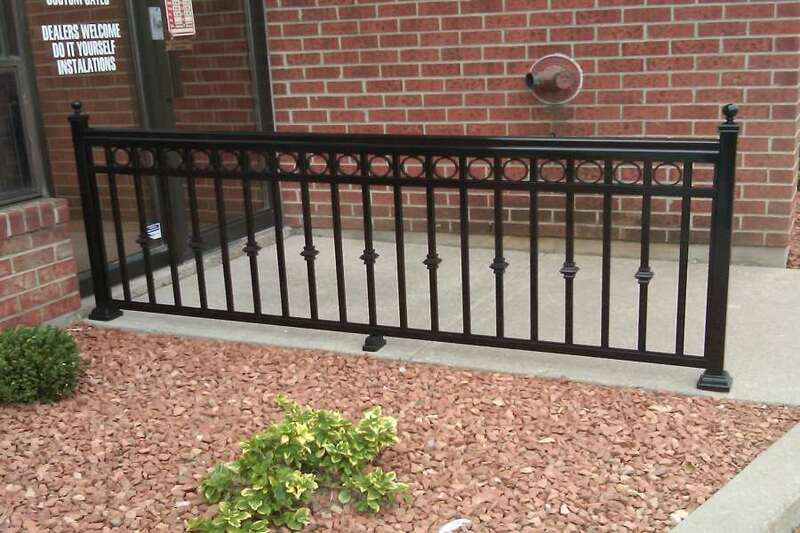 It doesn’t suffer rust like steel or can it be infected like wooden railings. 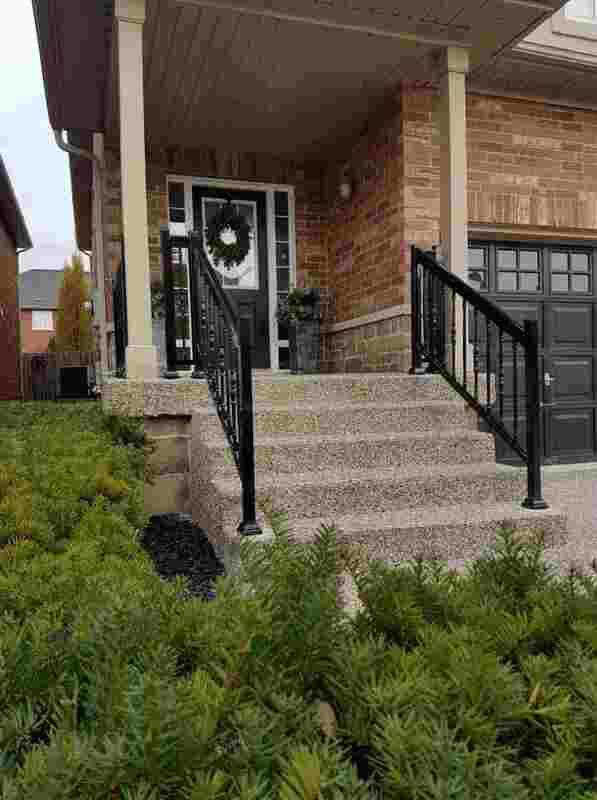 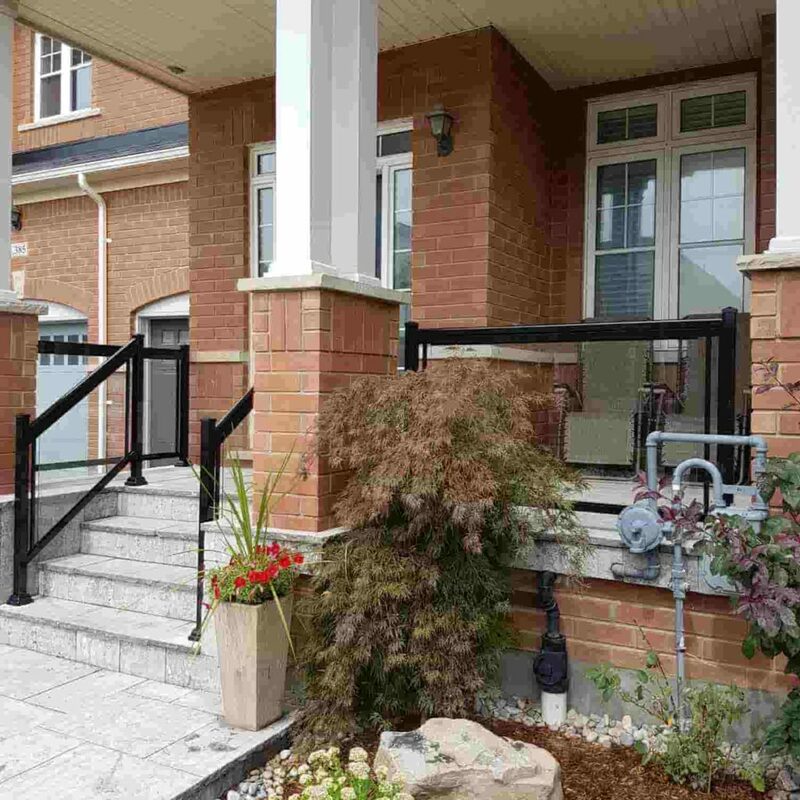 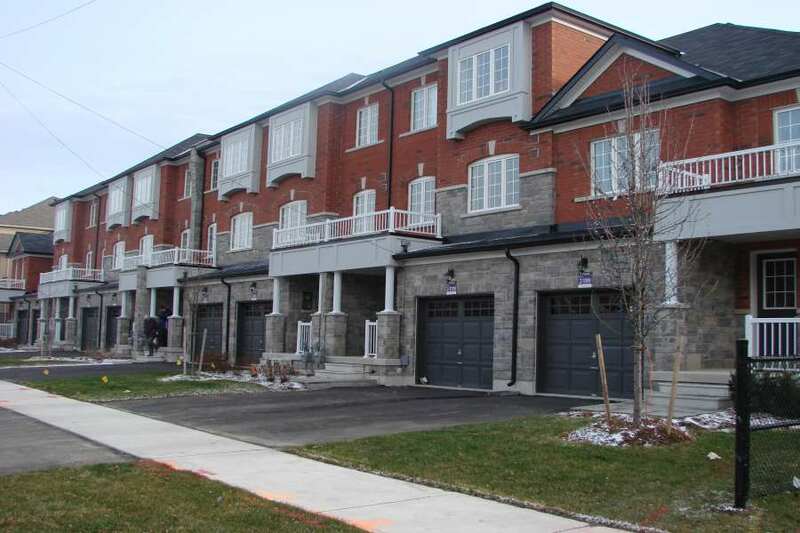 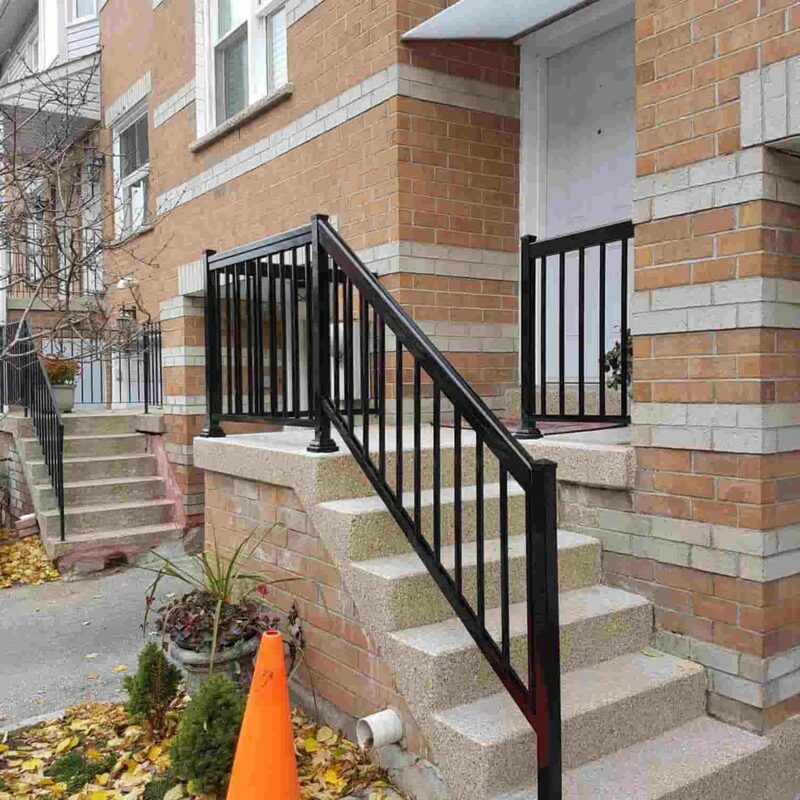 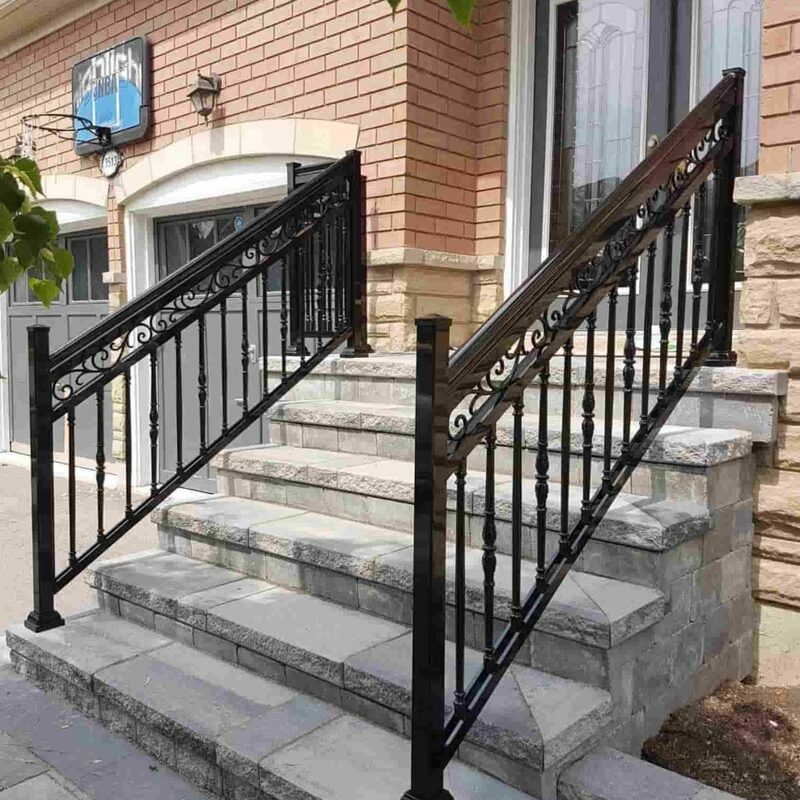 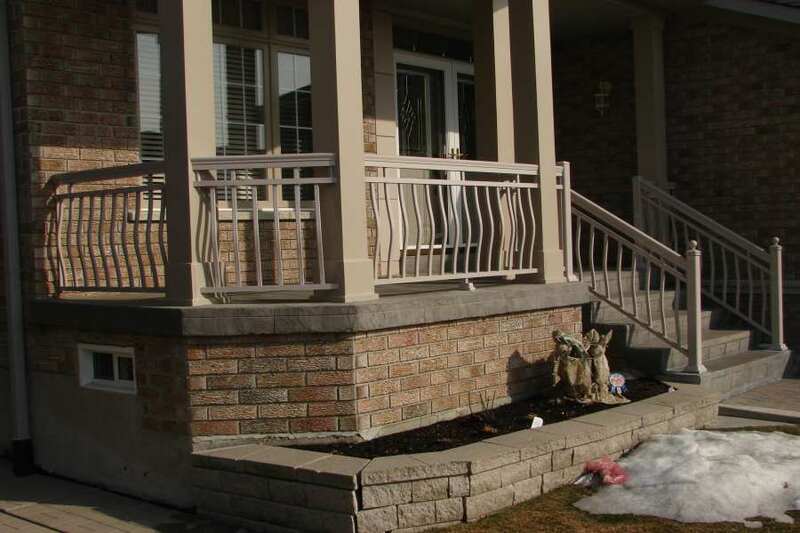 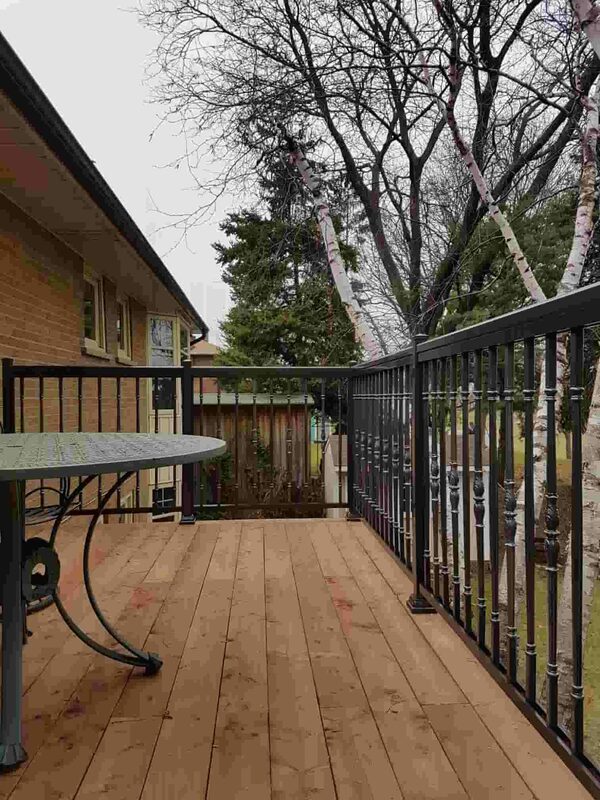 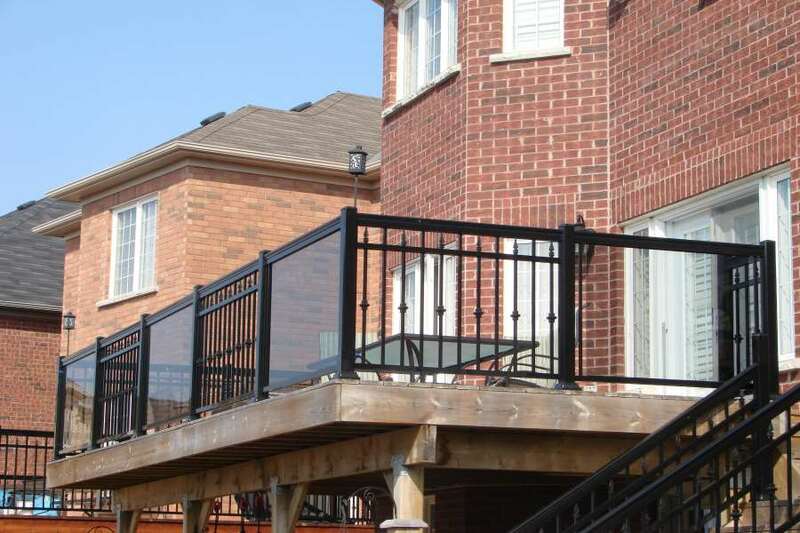 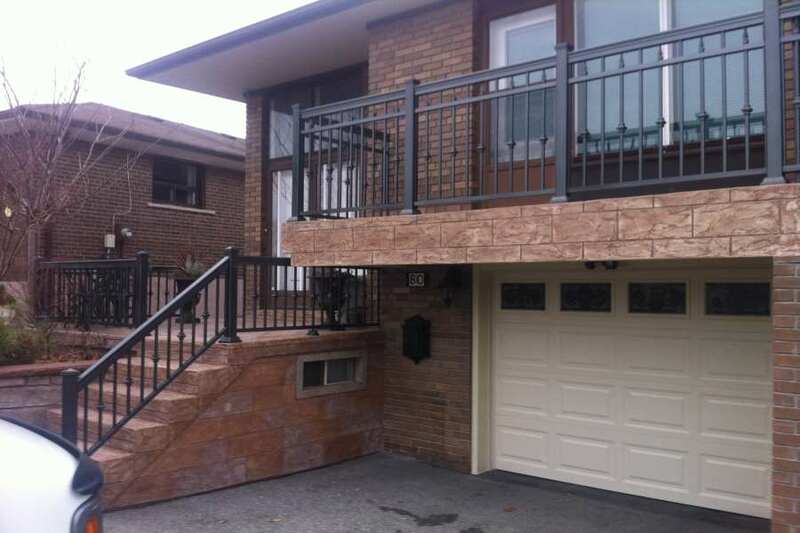 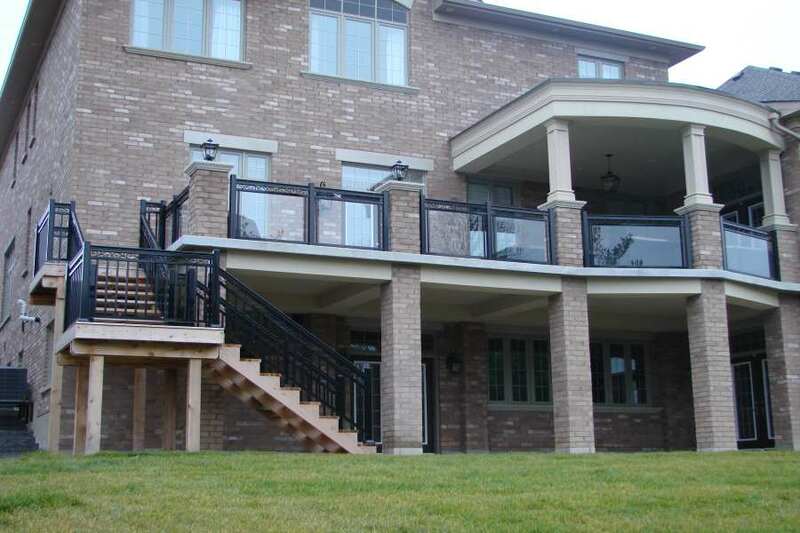 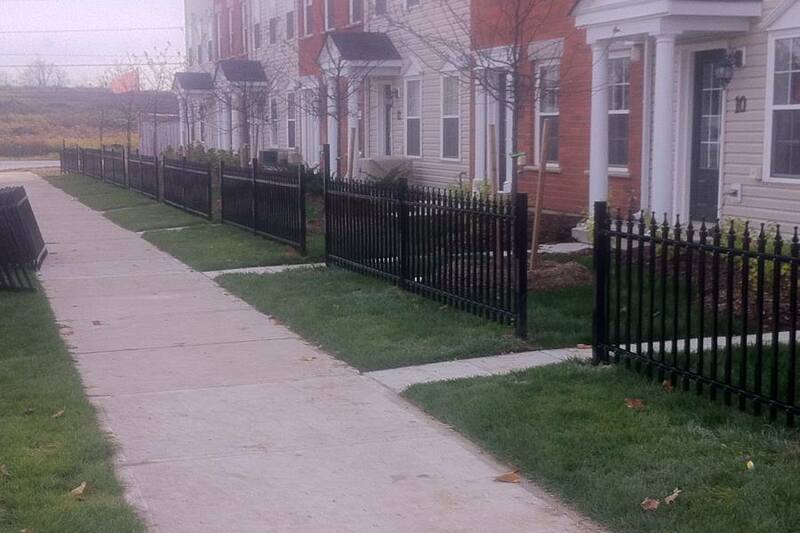 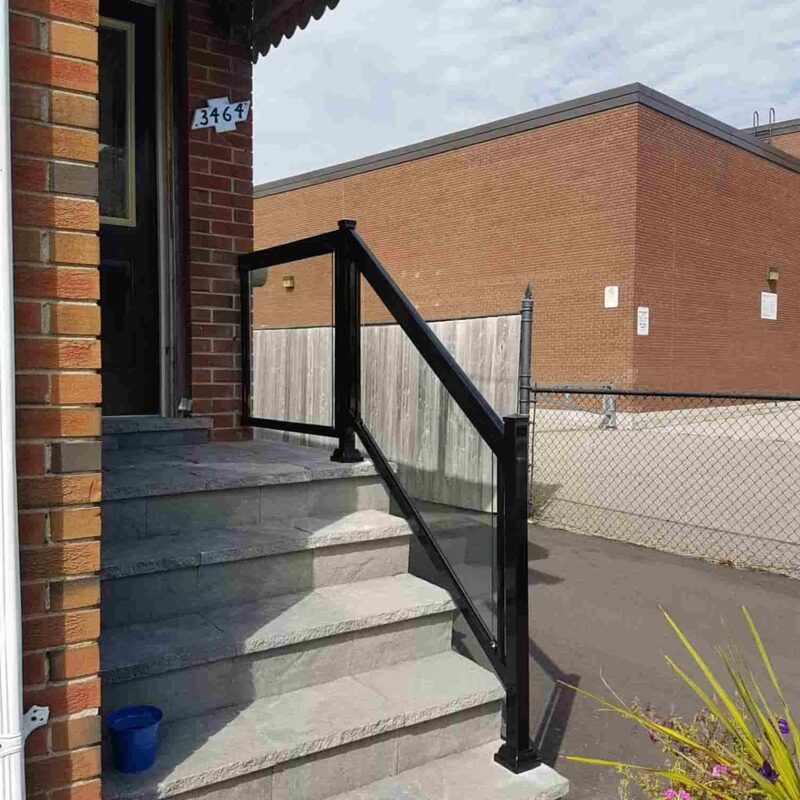 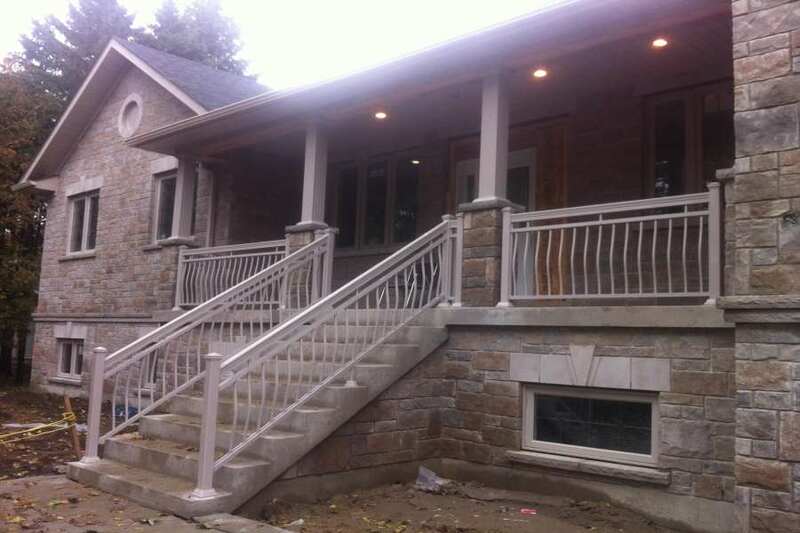 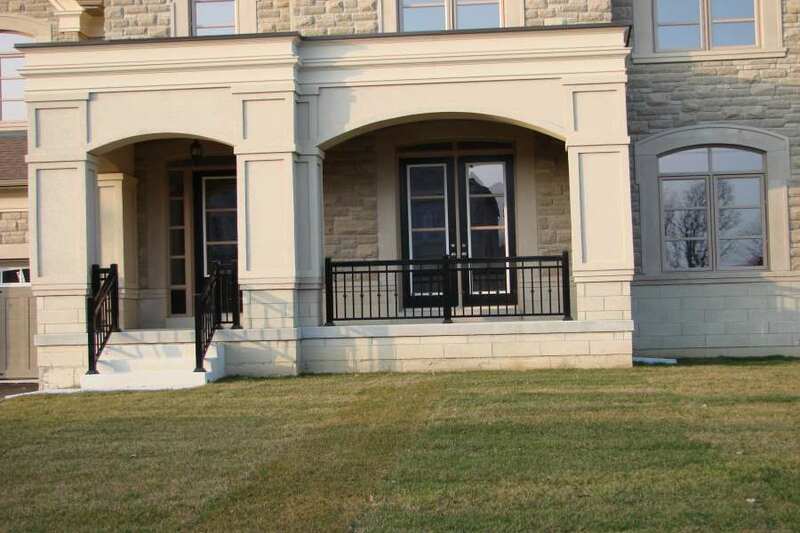 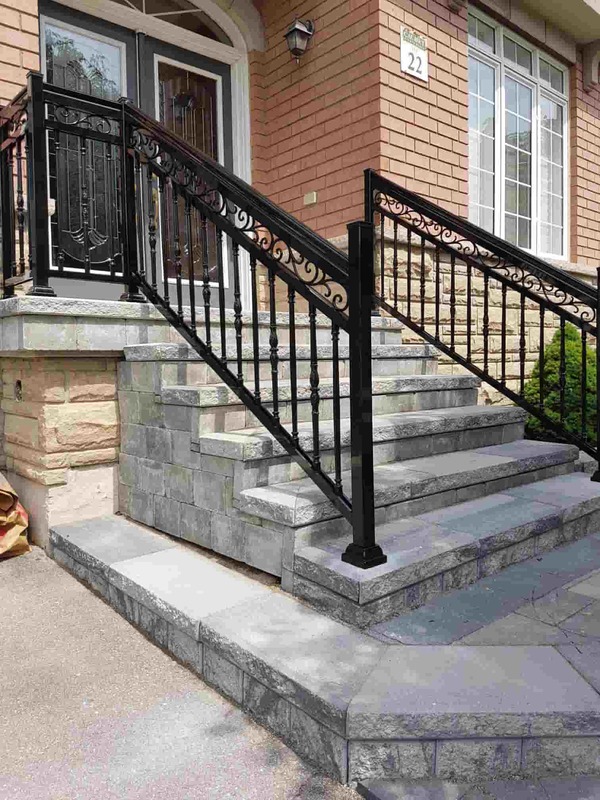 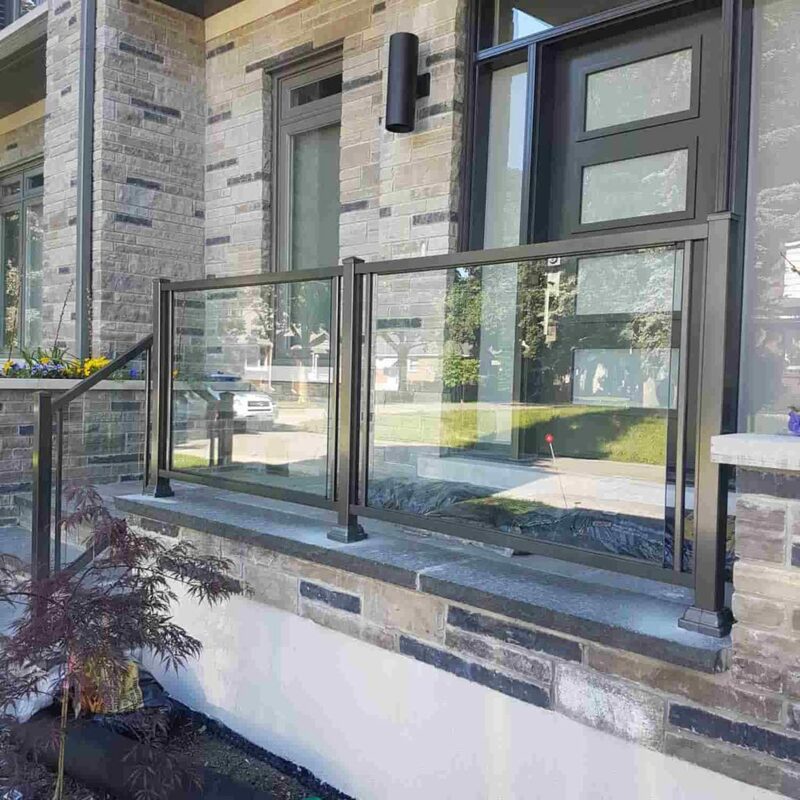 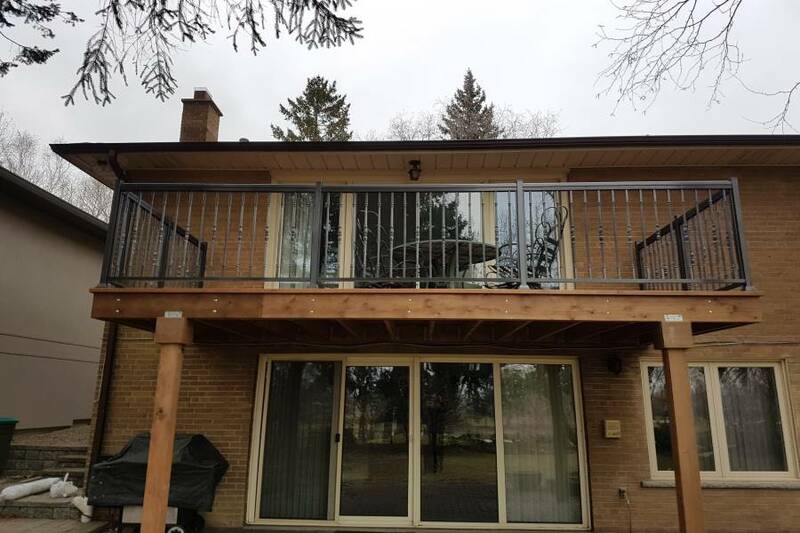 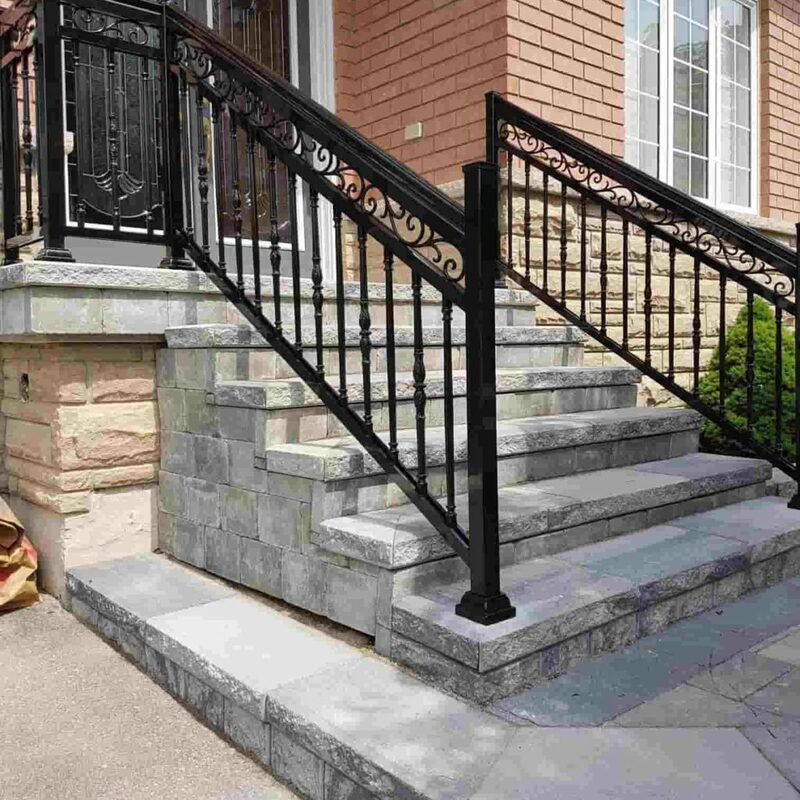 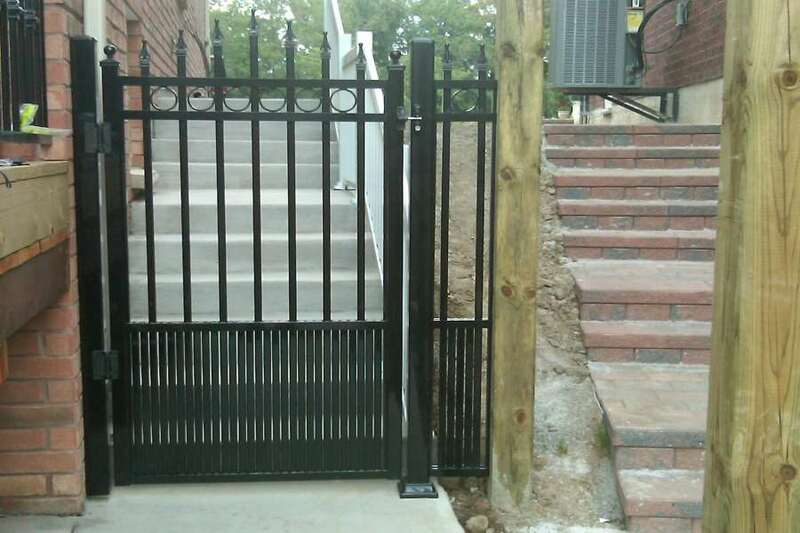 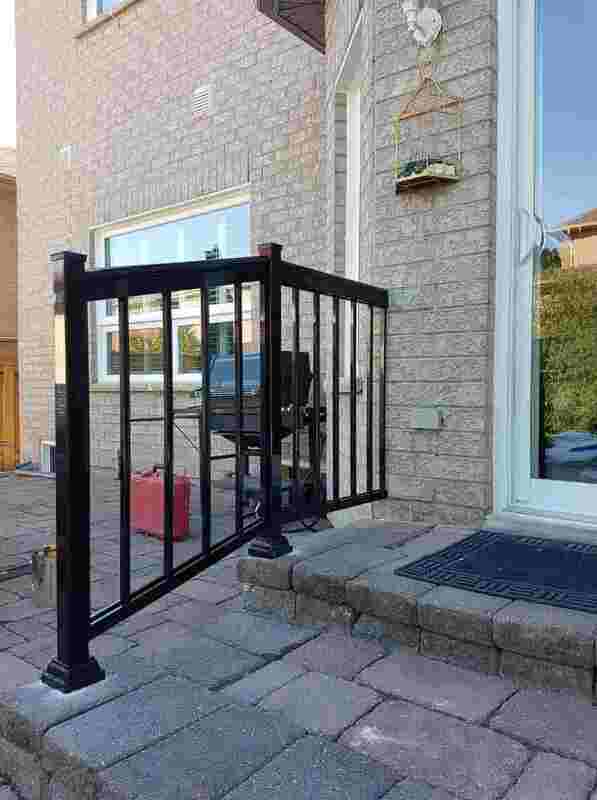 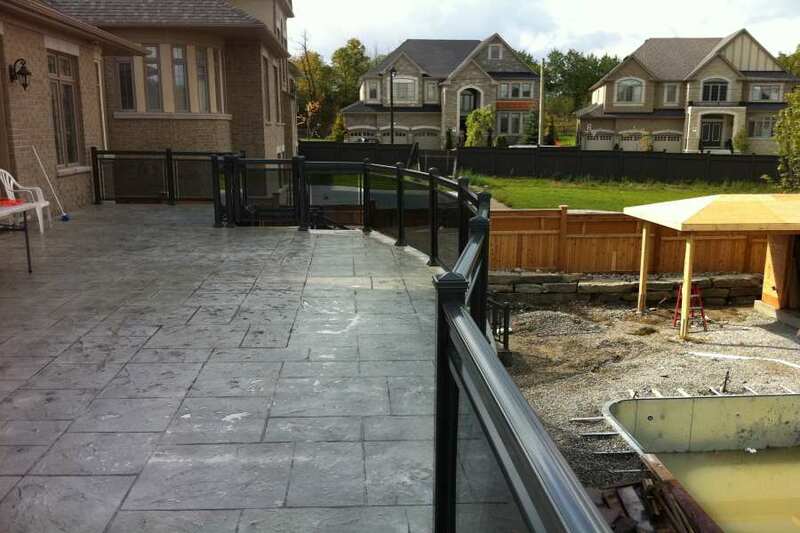 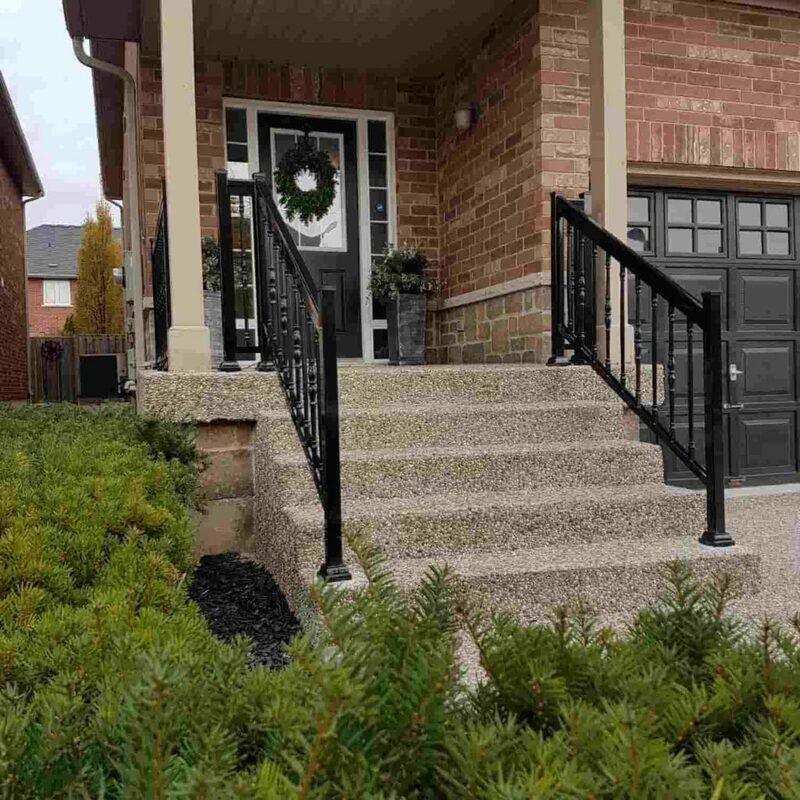 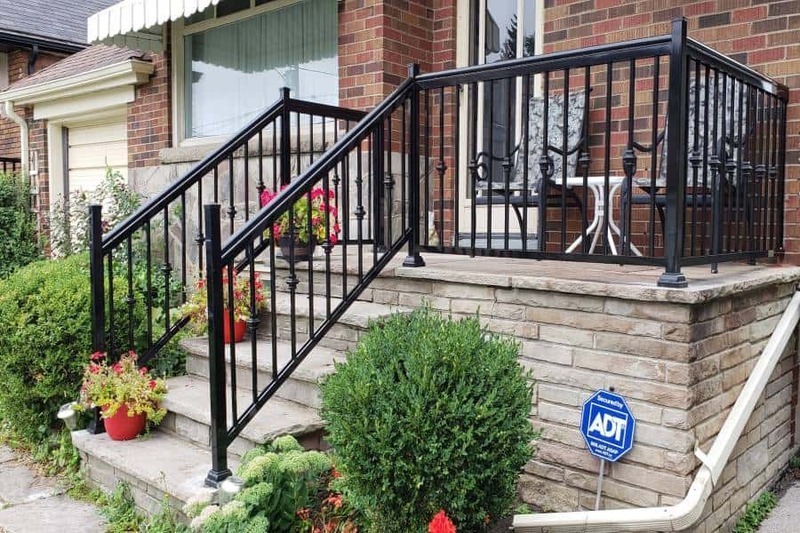 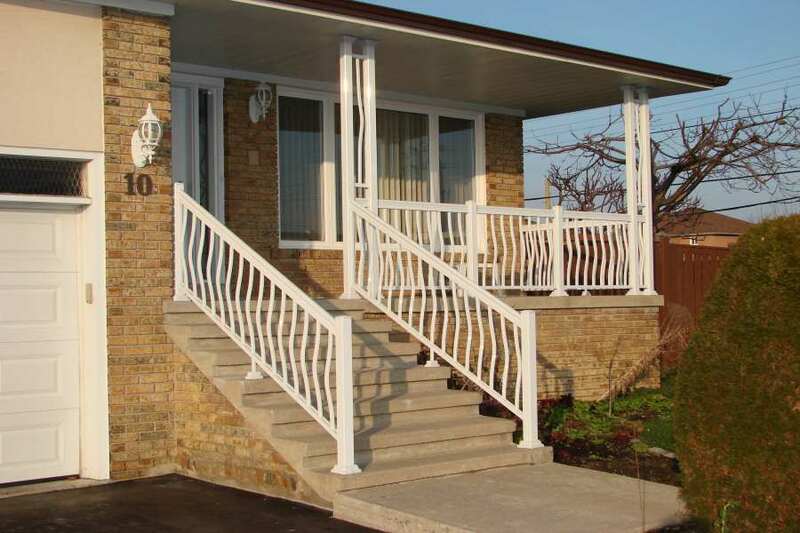 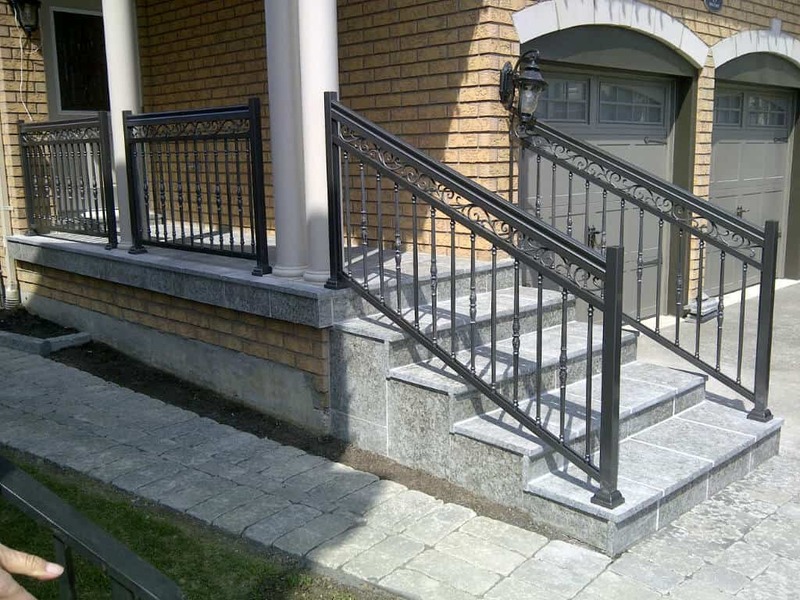 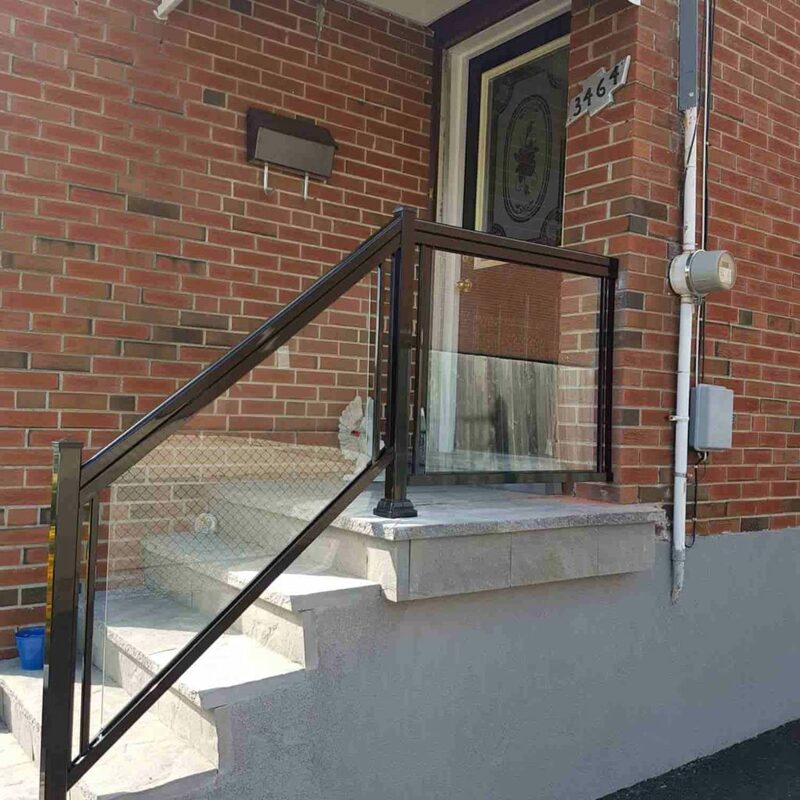 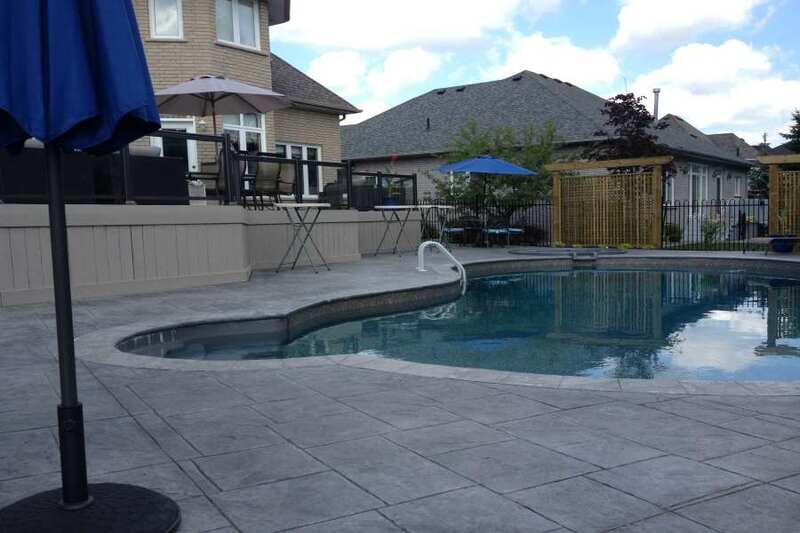 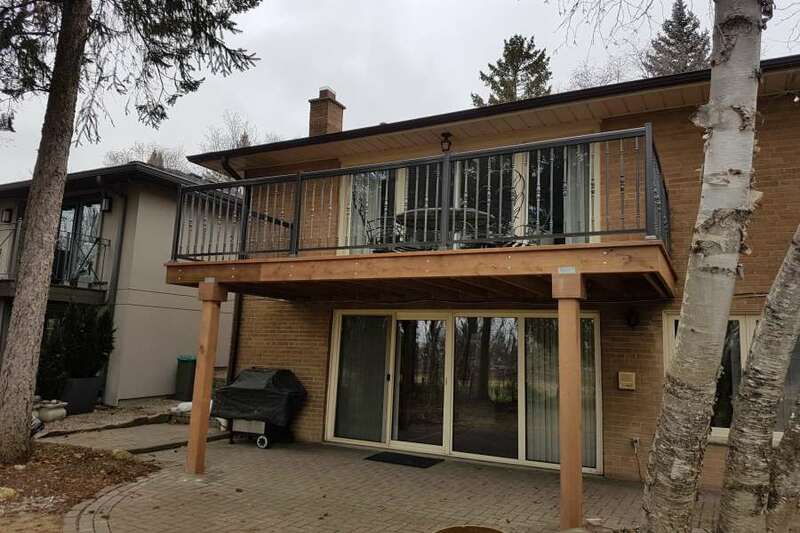 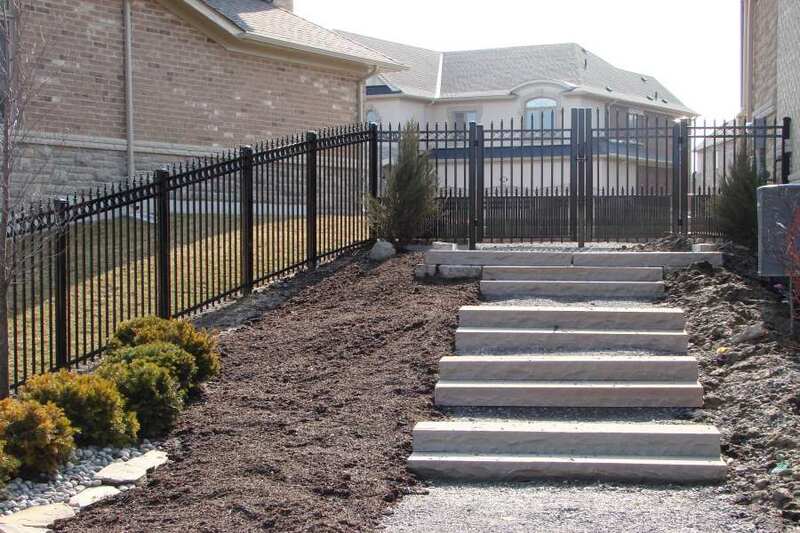 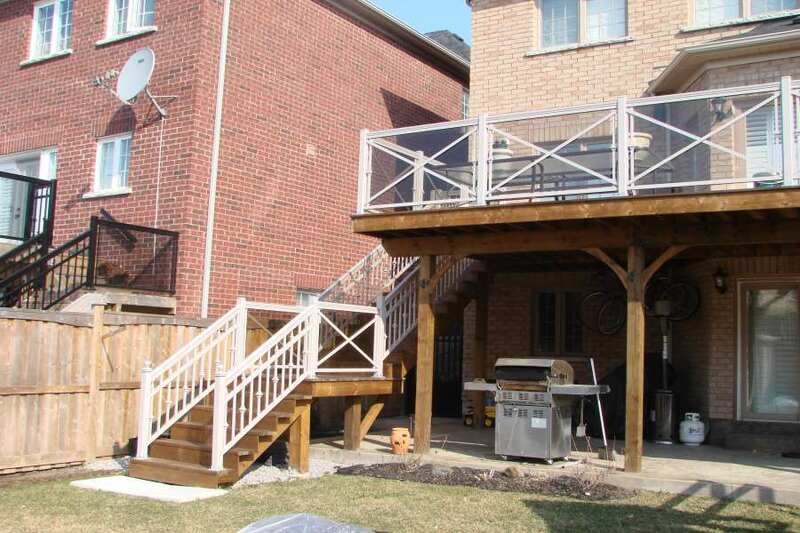 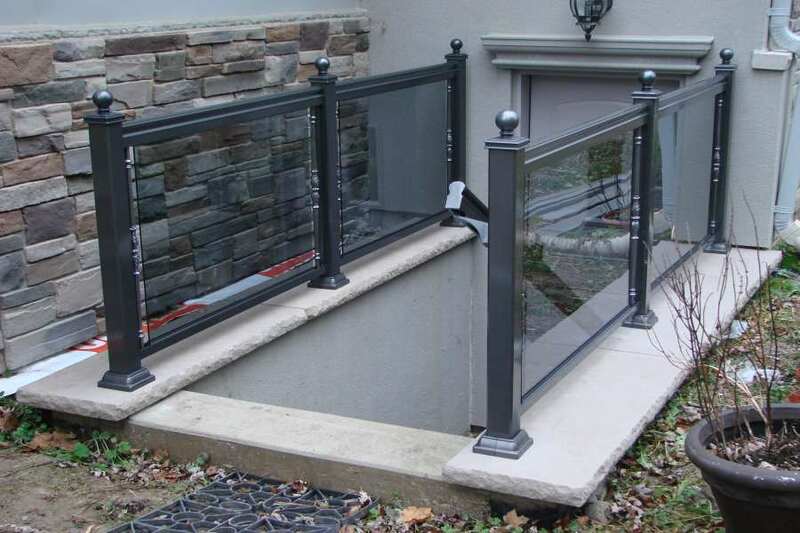 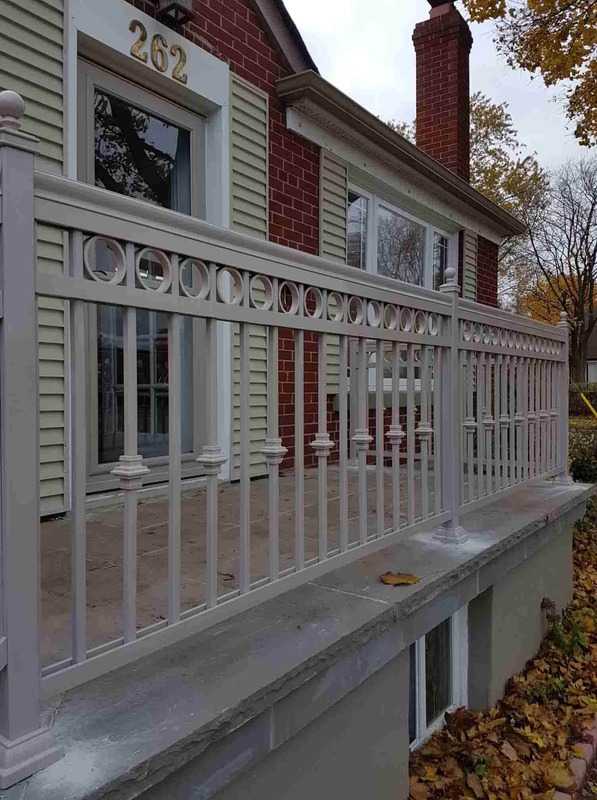 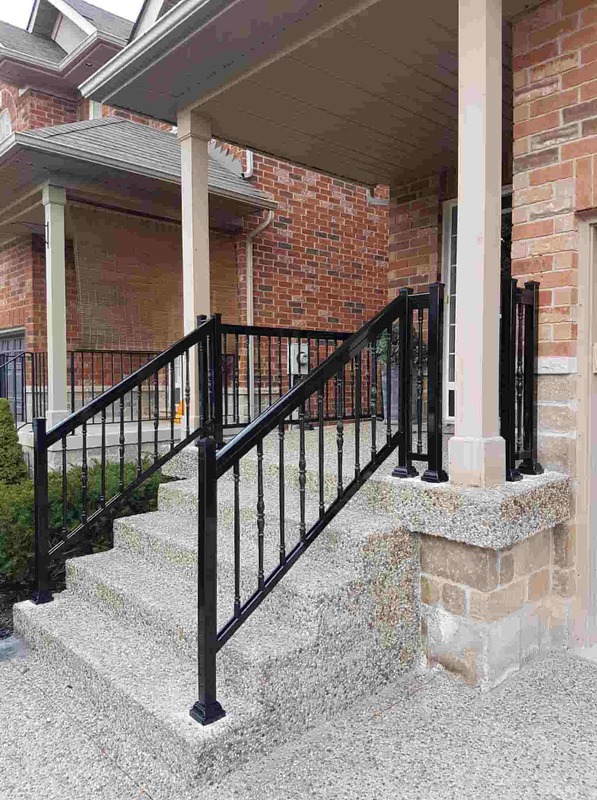 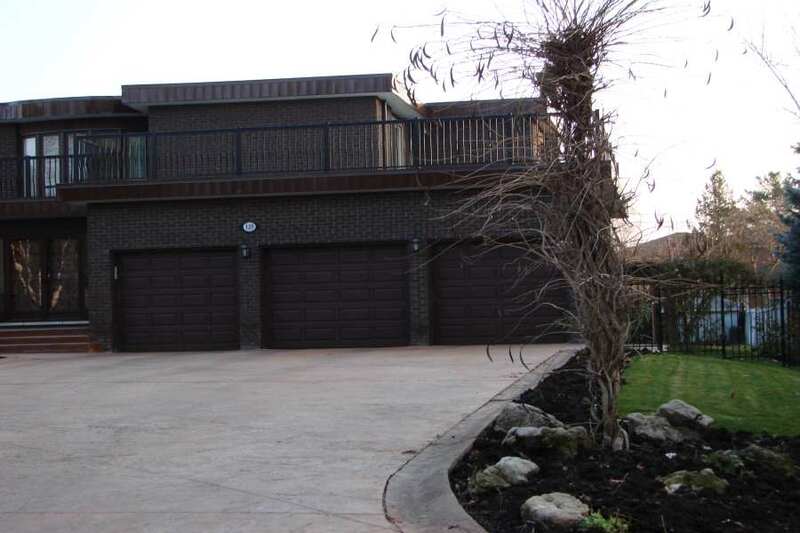 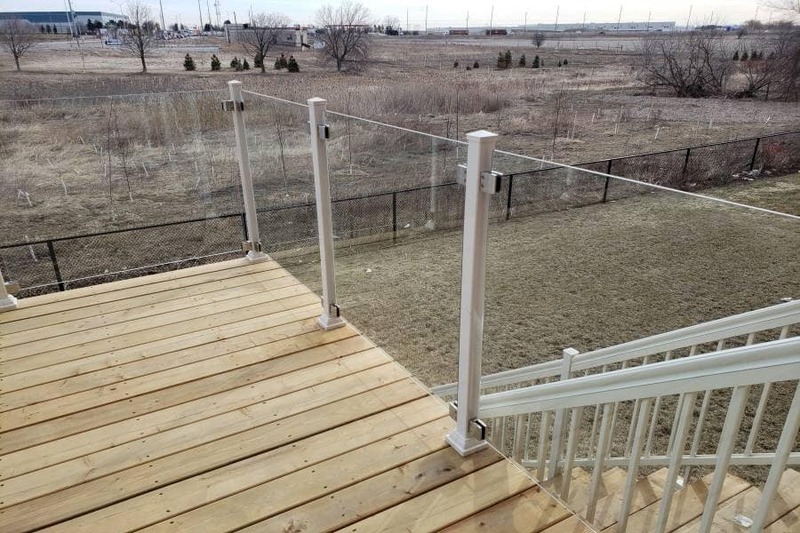 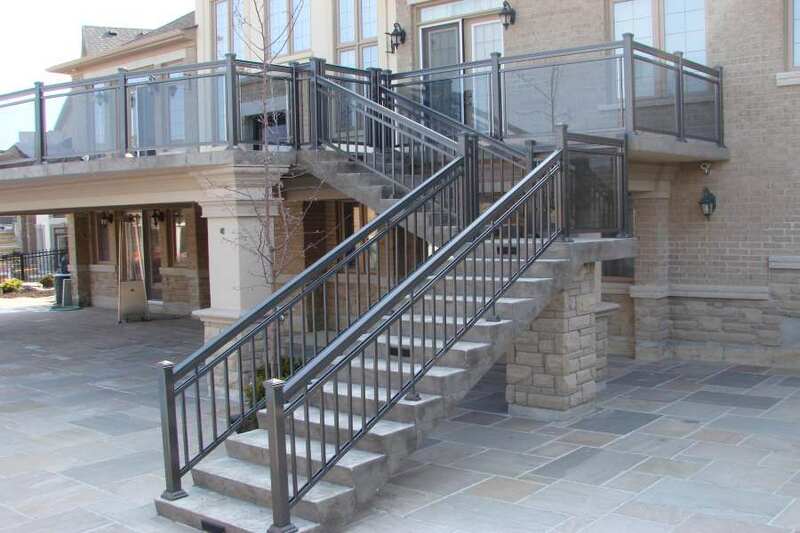 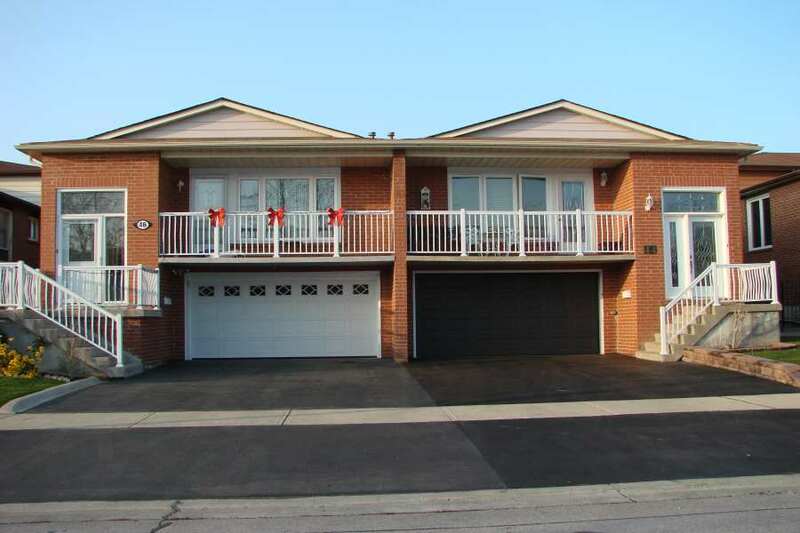 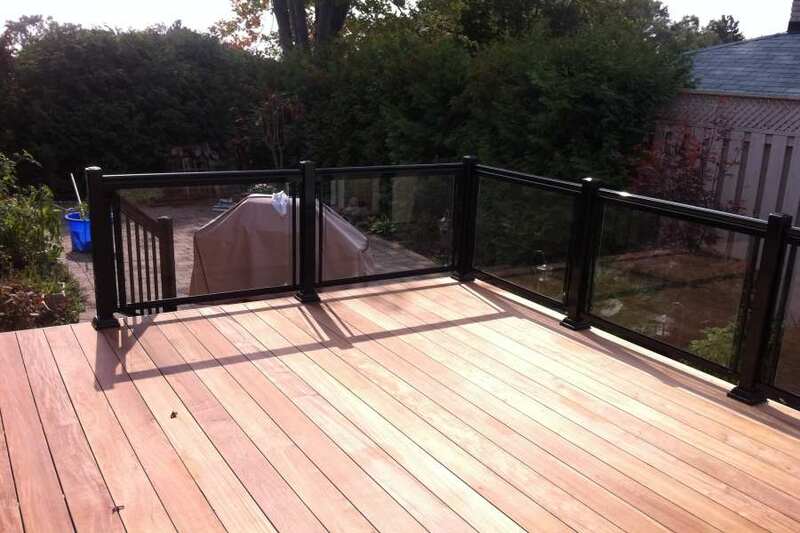 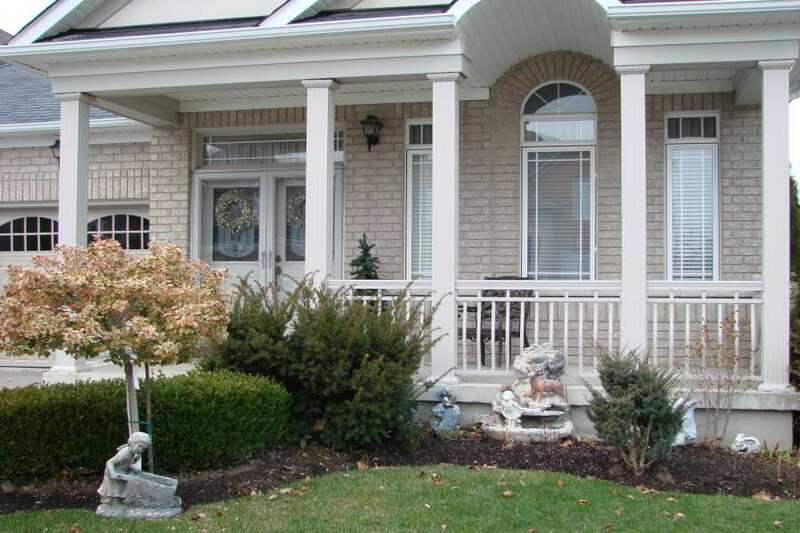 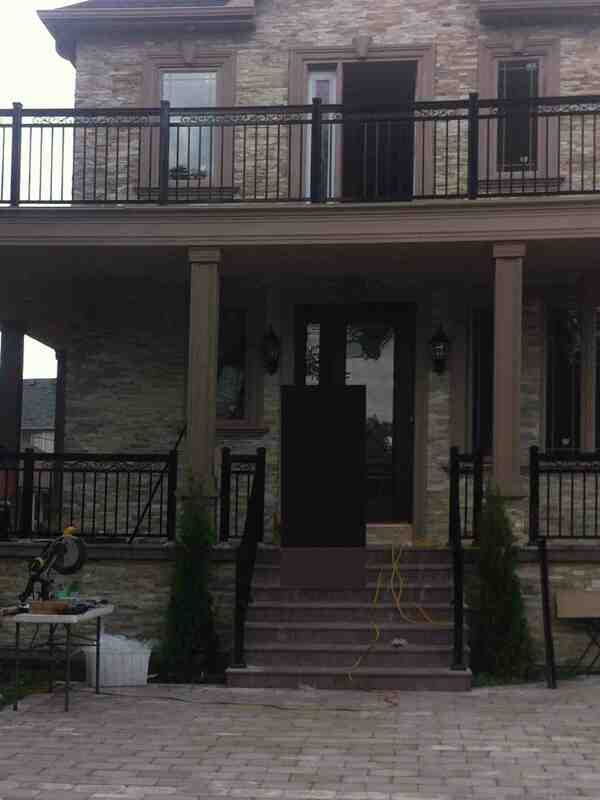 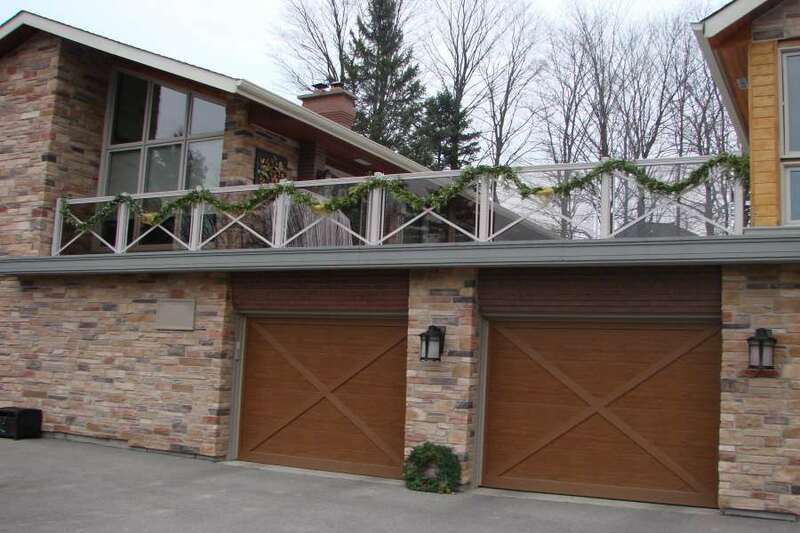 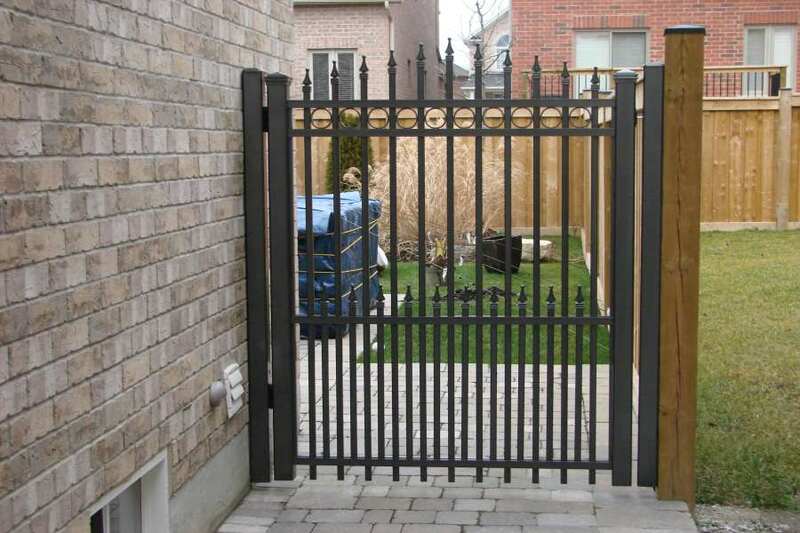 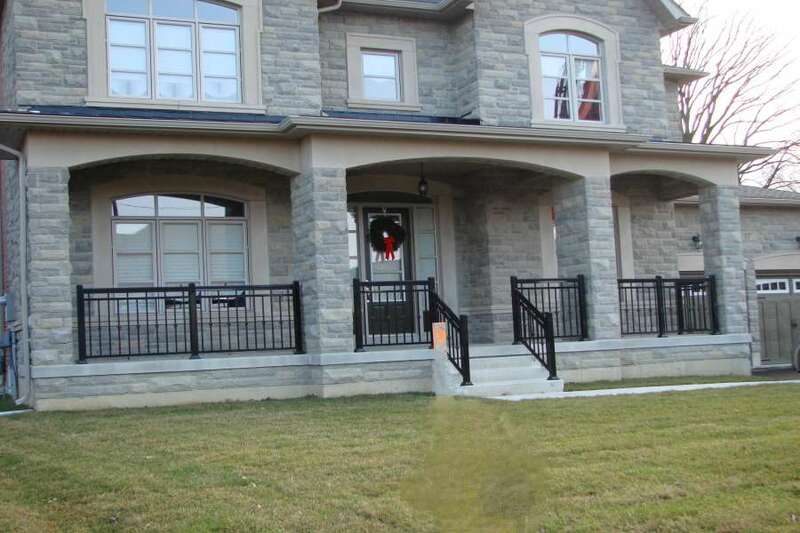 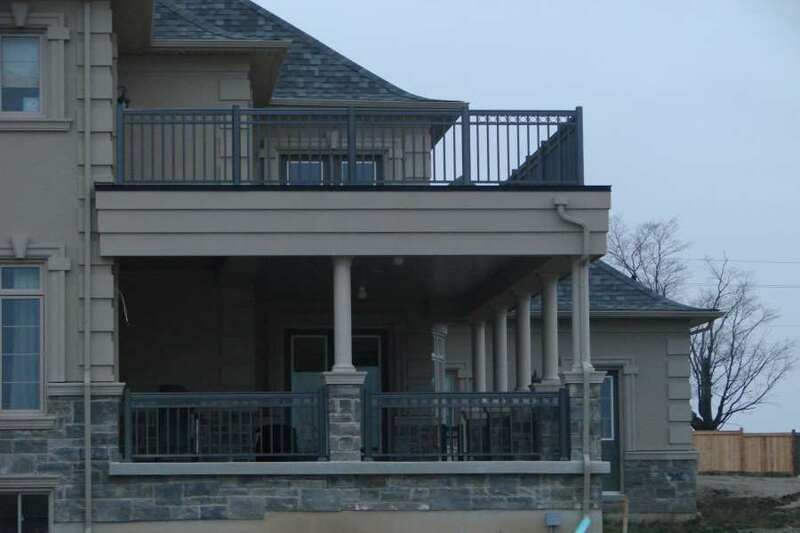 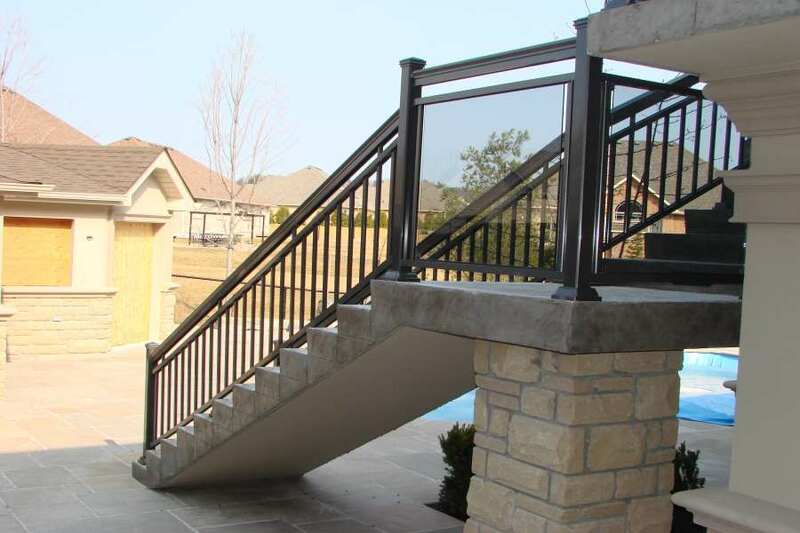 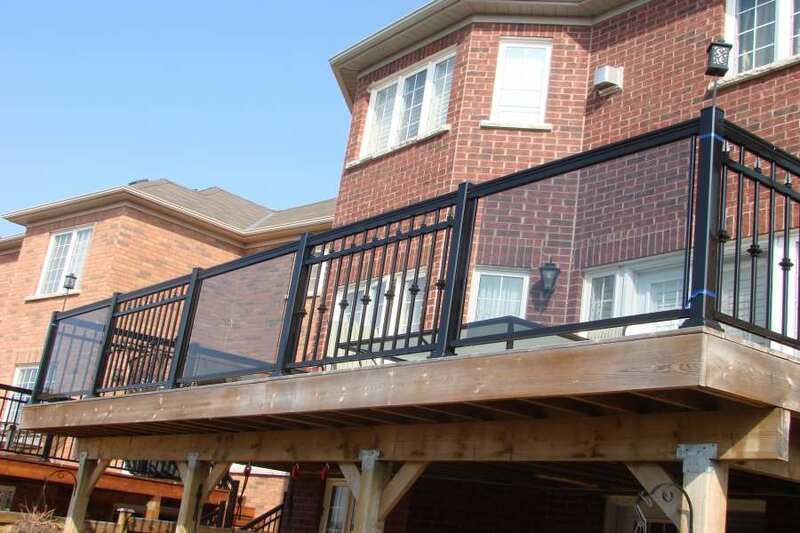 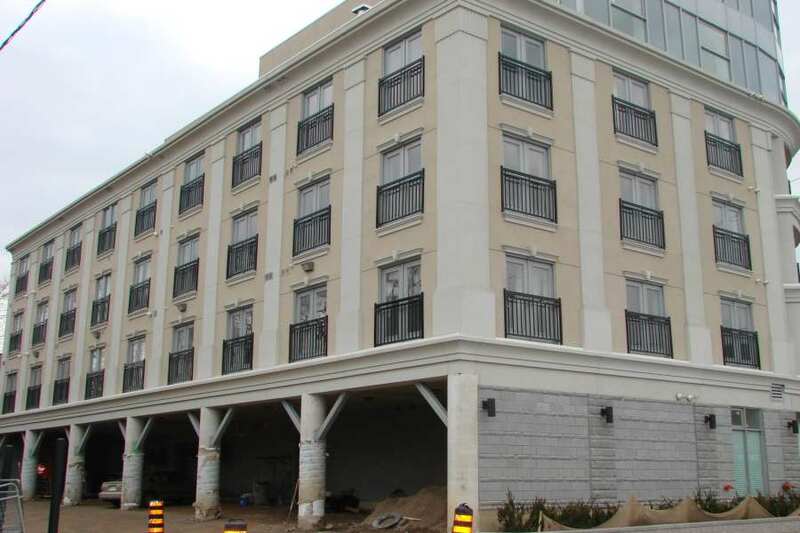 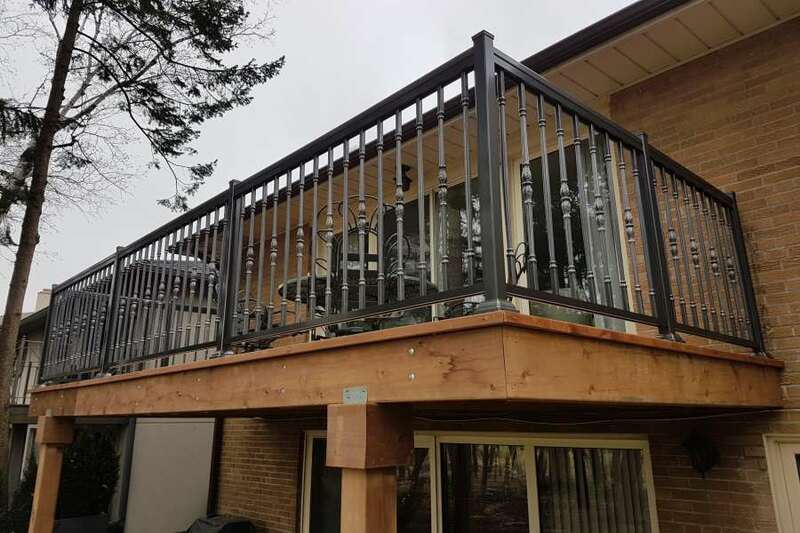 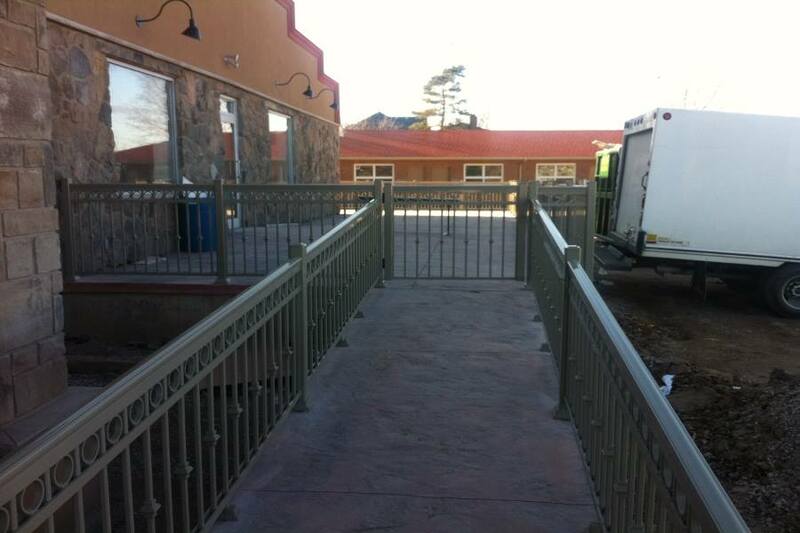 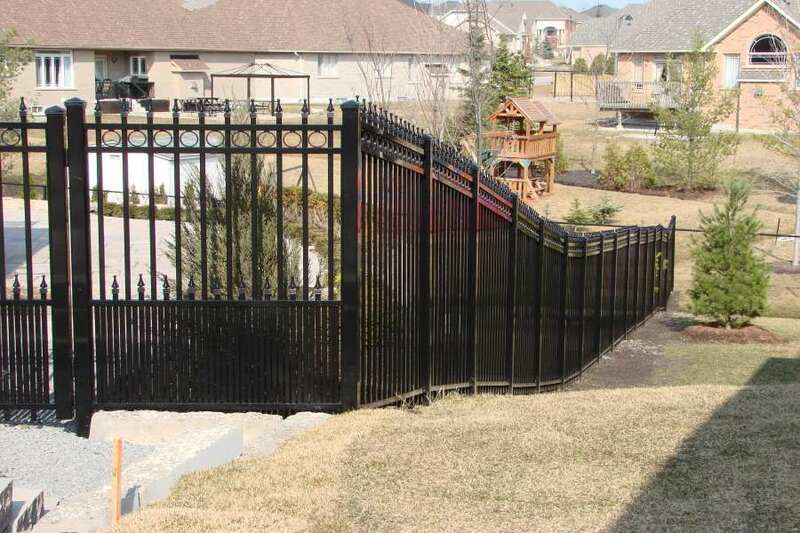 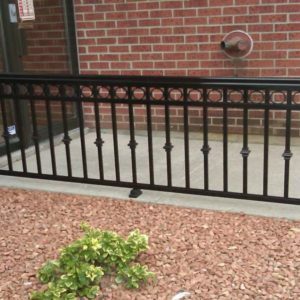 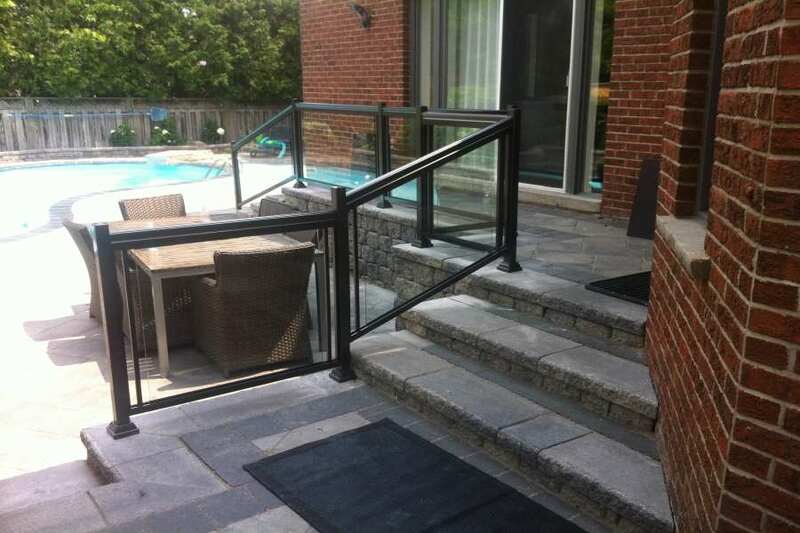 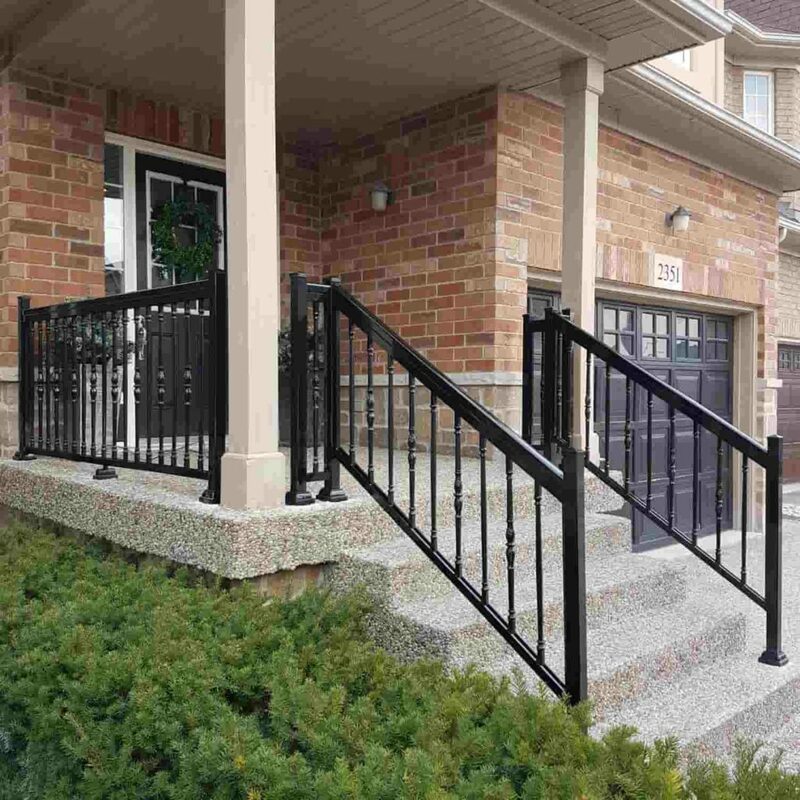 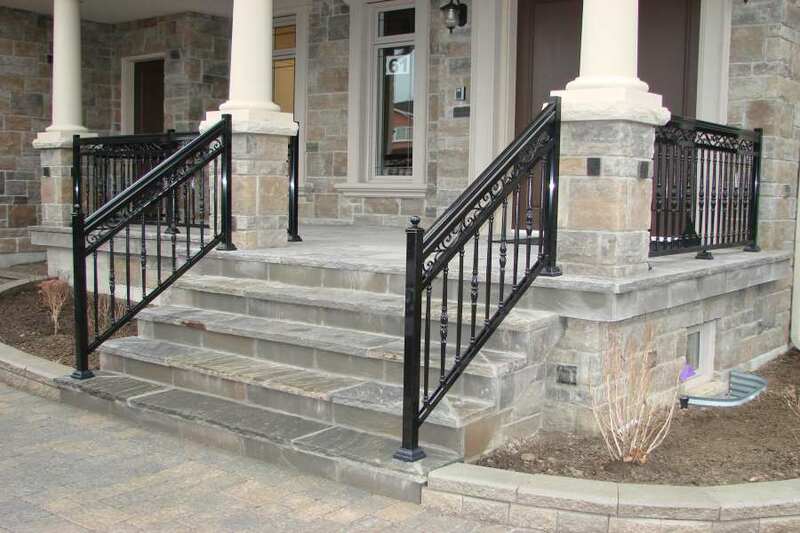 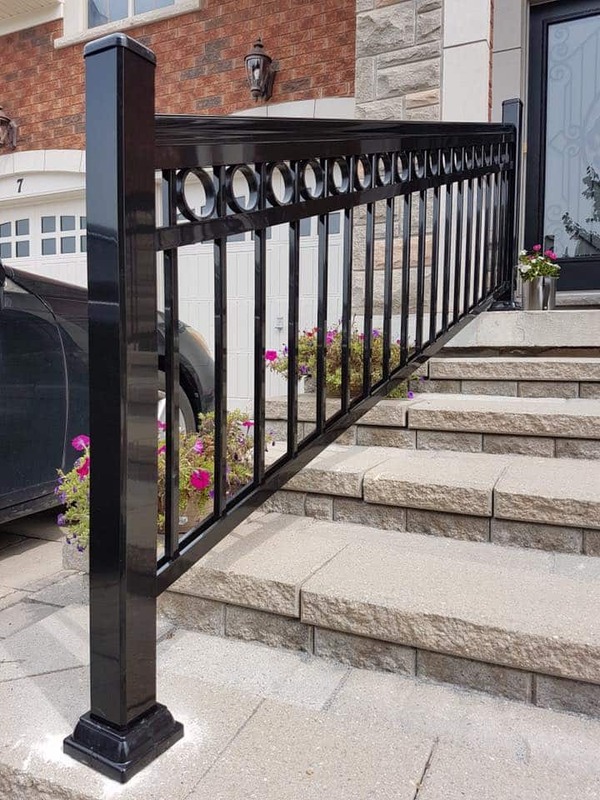 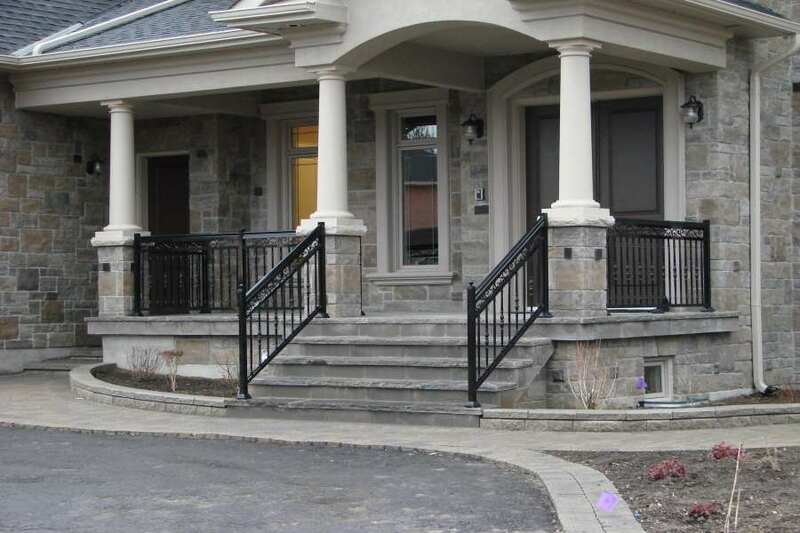 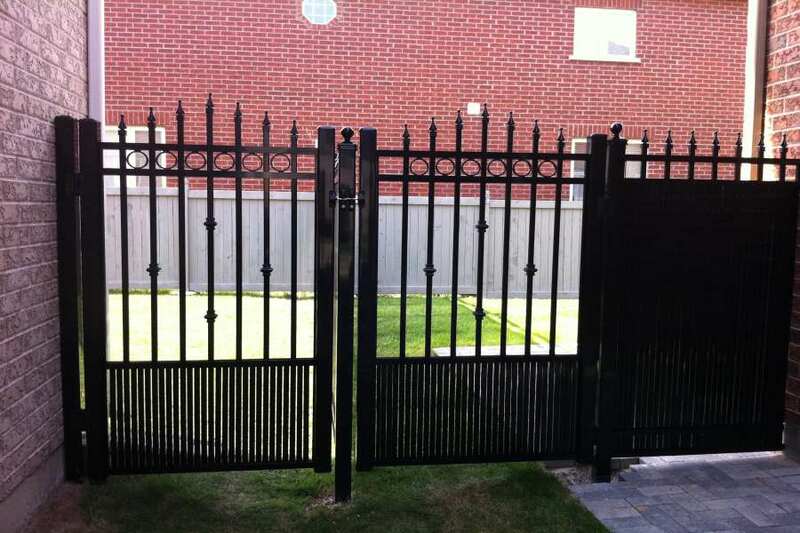 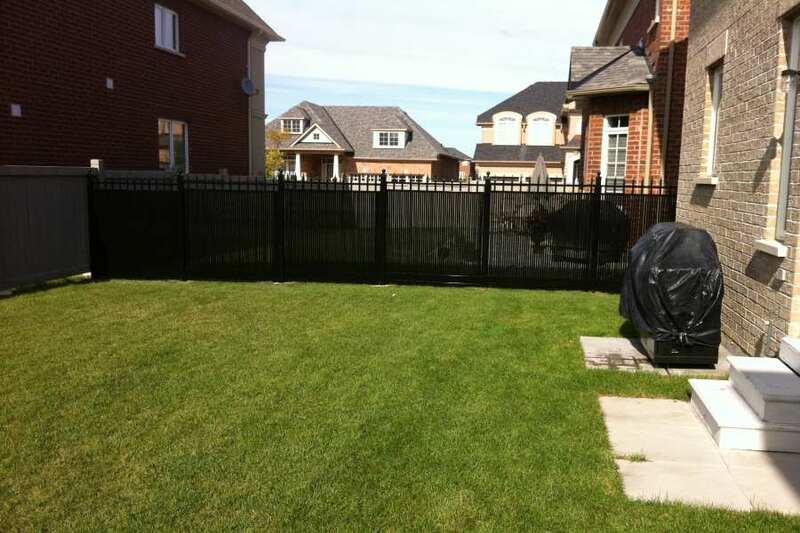 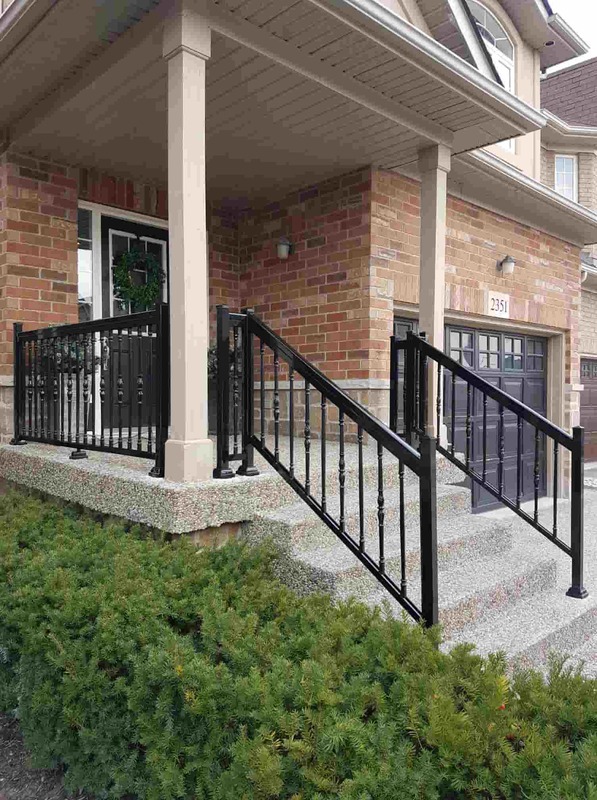 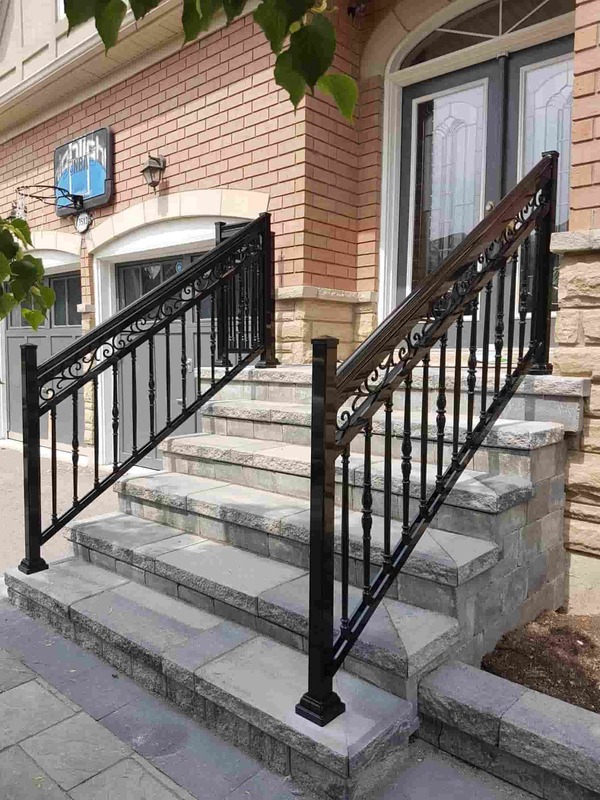 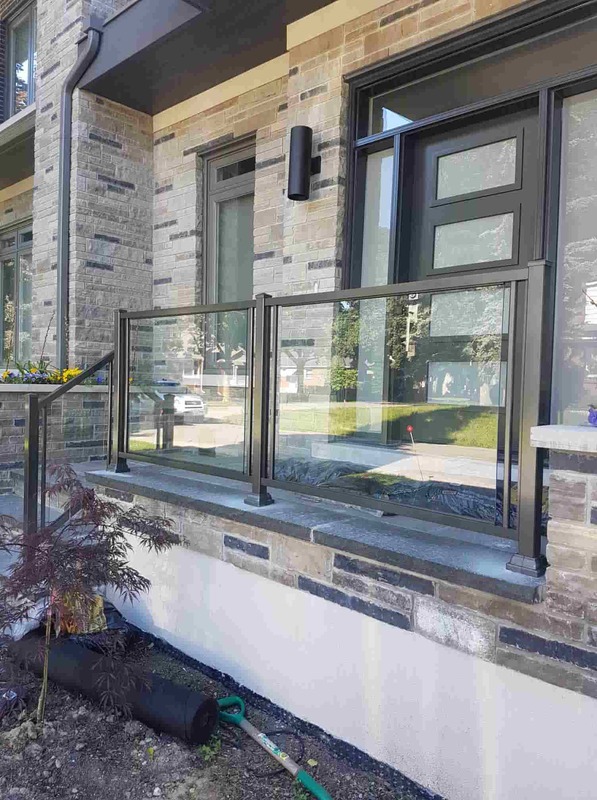 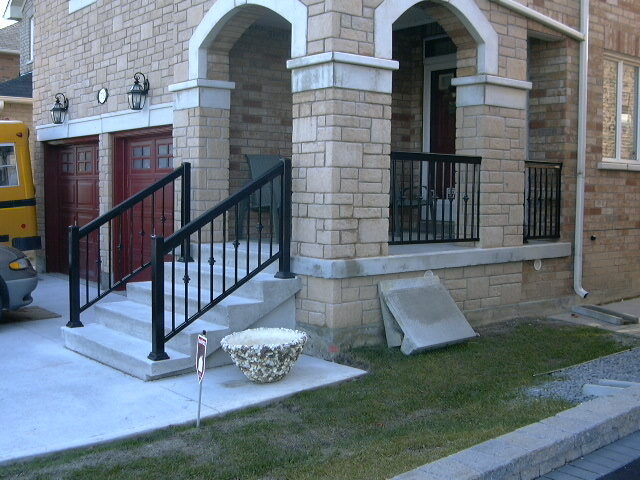 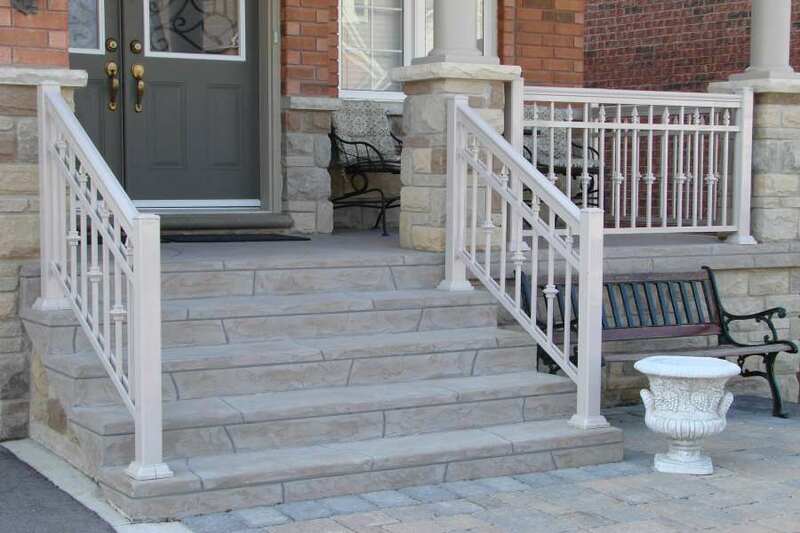 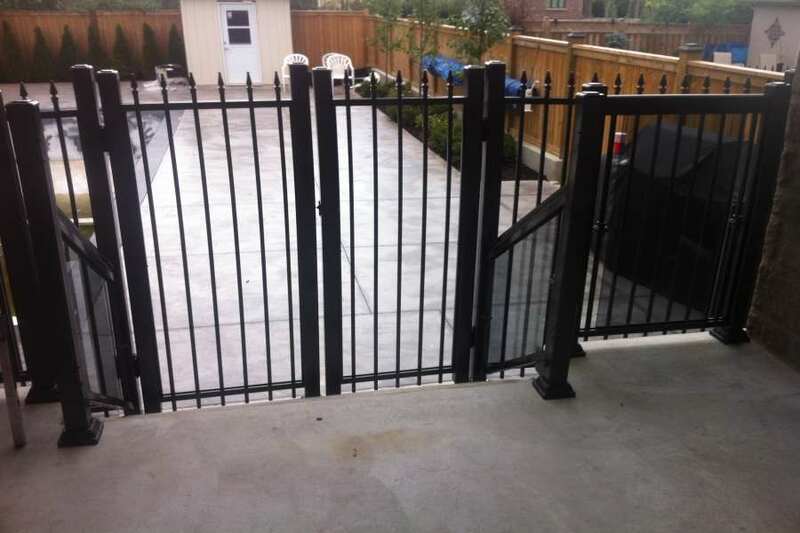 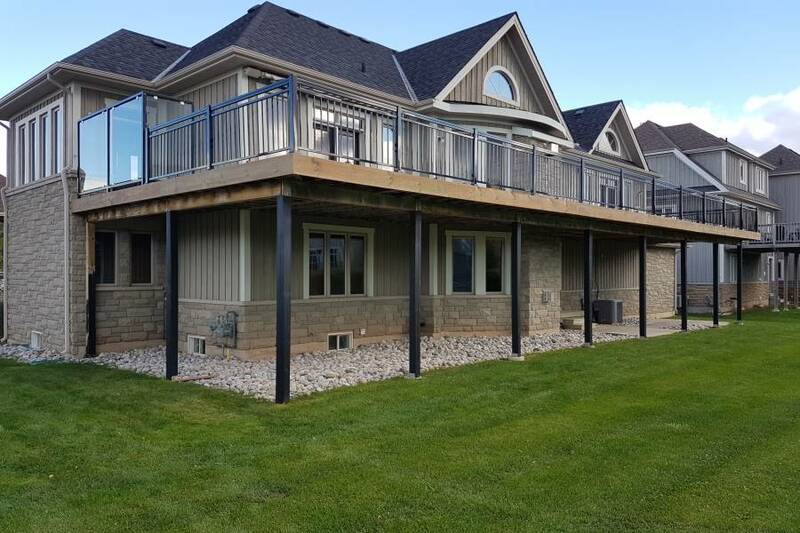 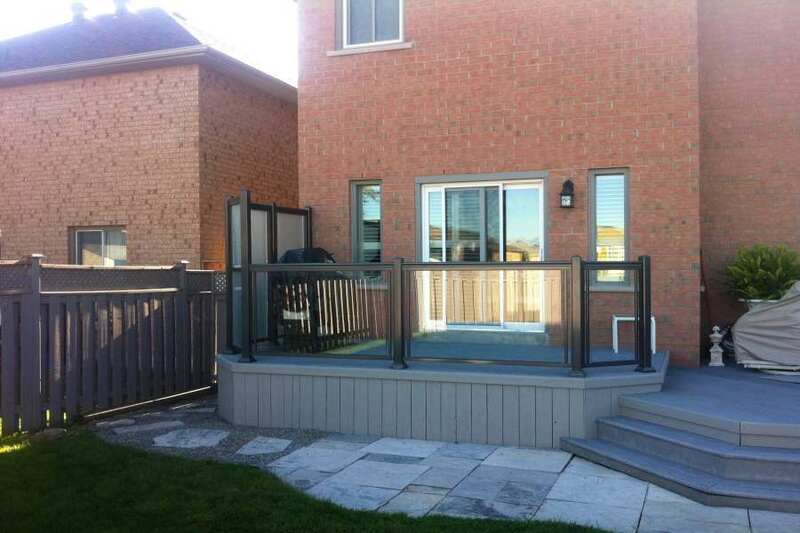 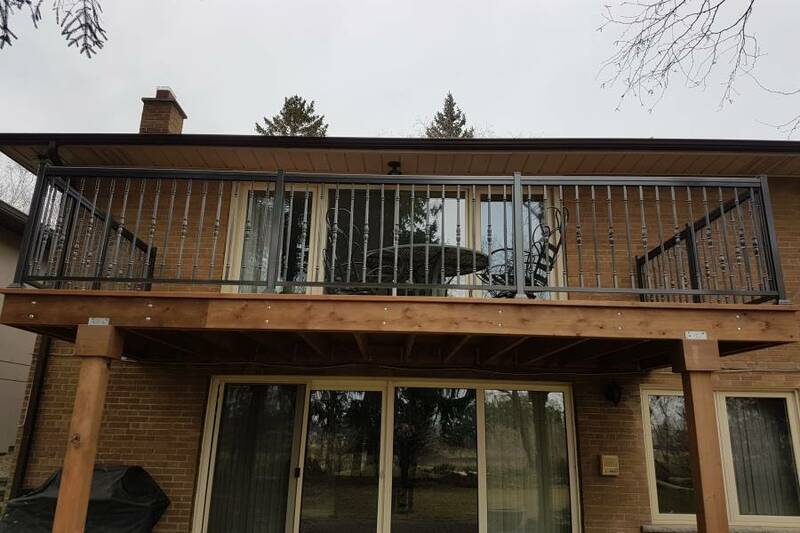 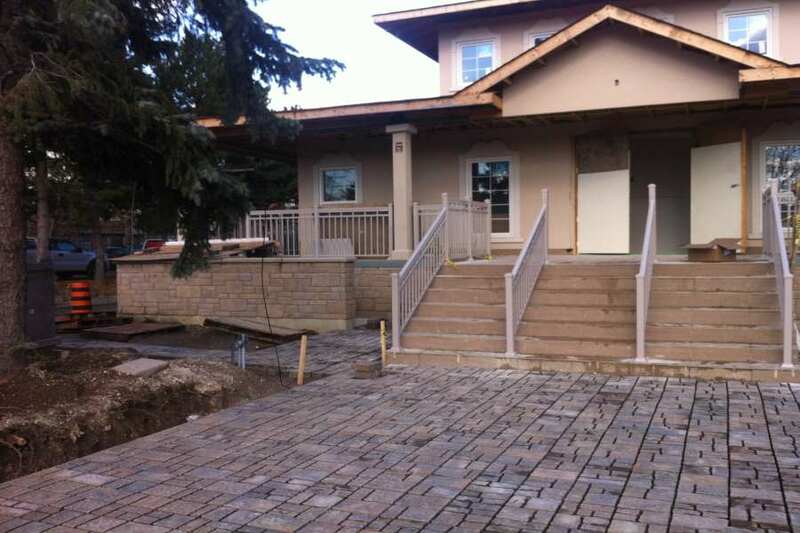 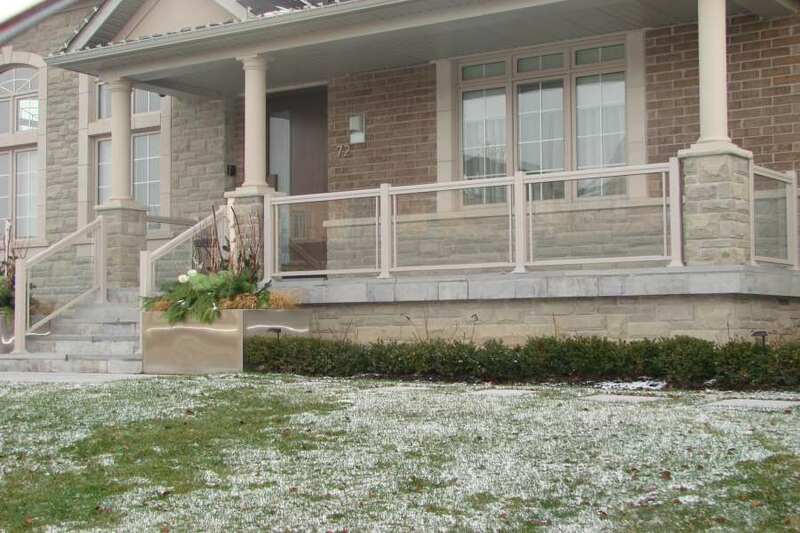 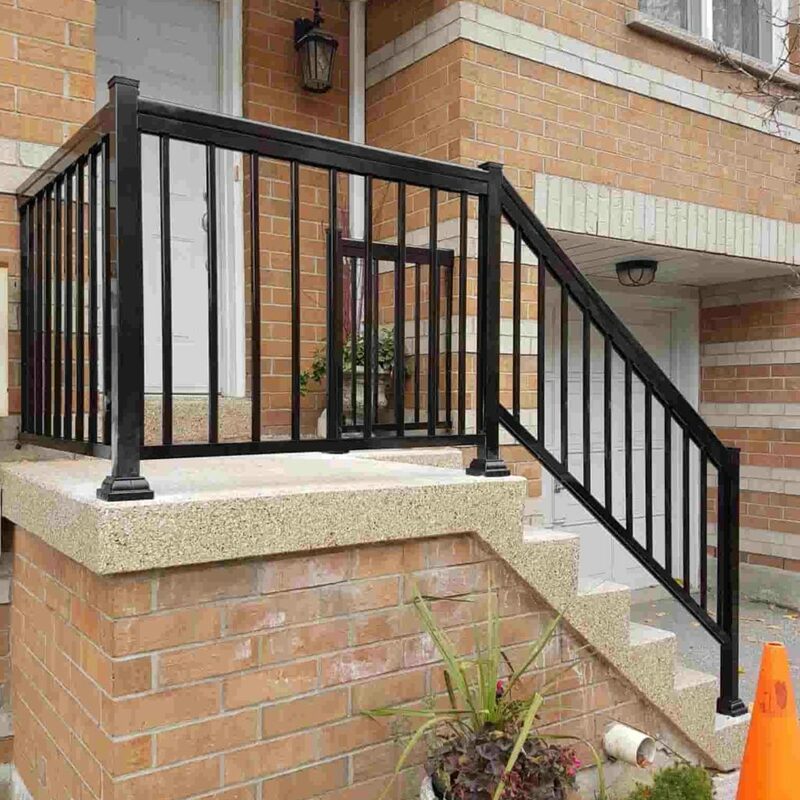 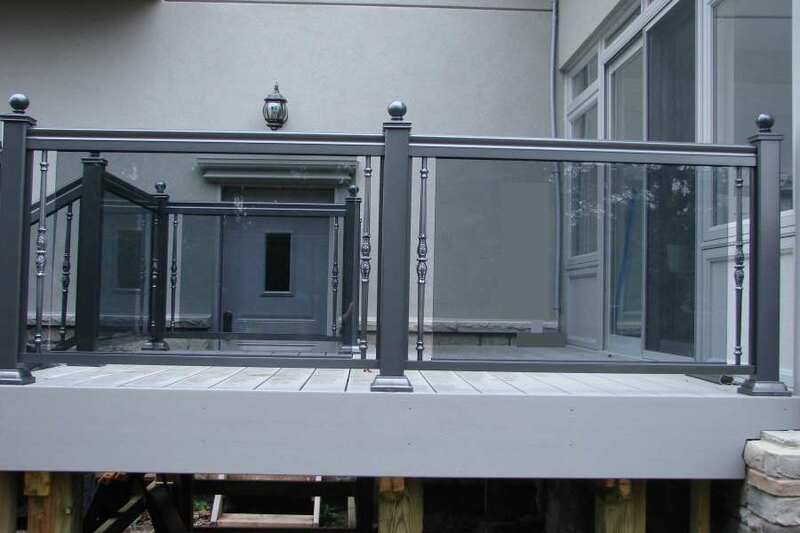 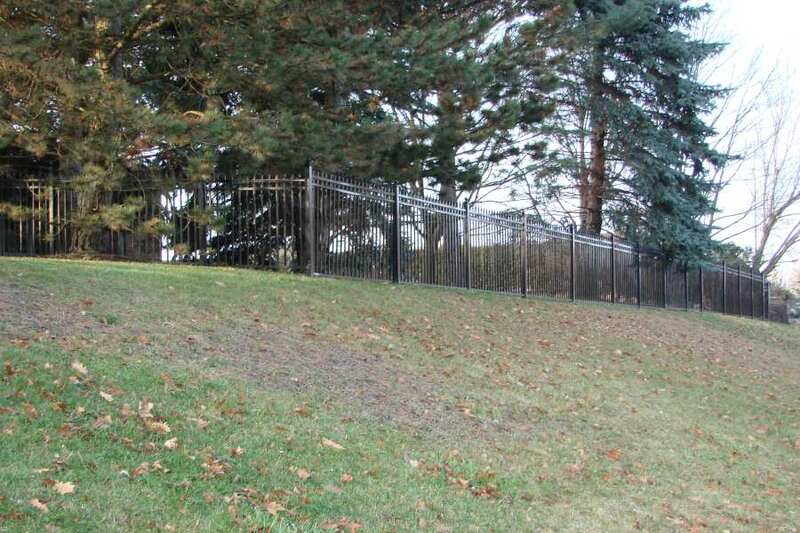 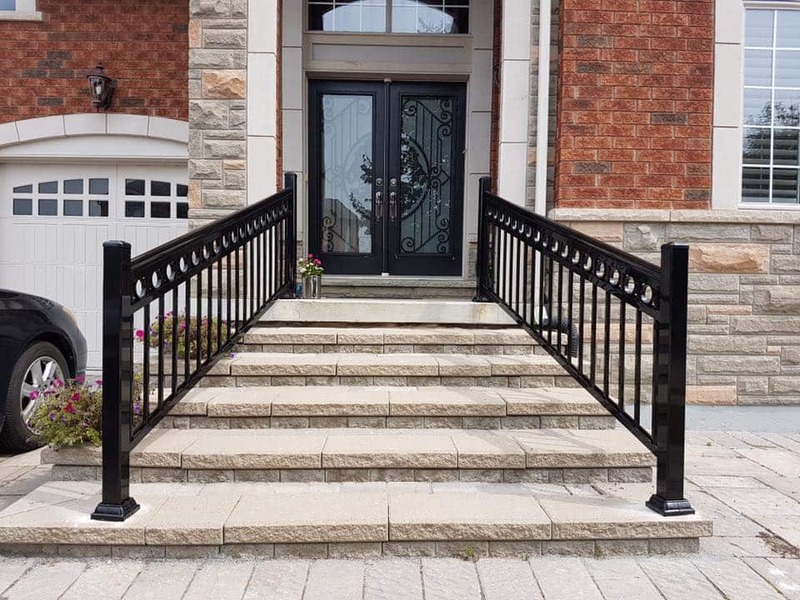 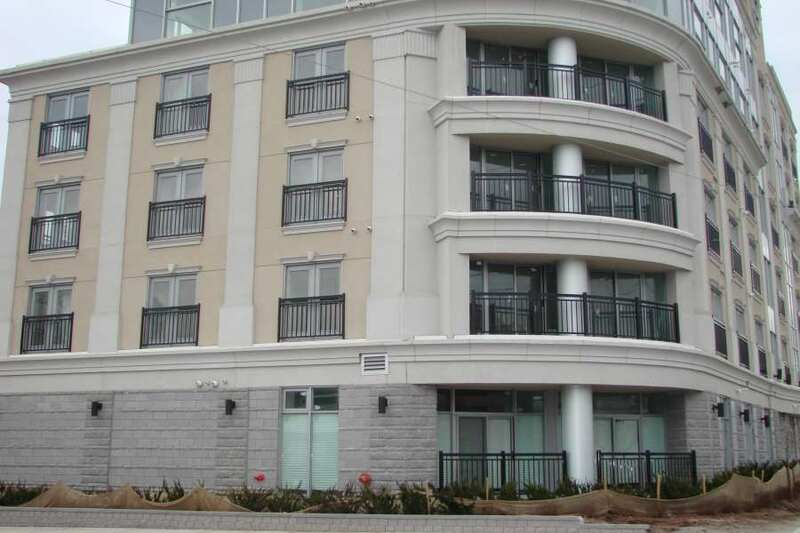 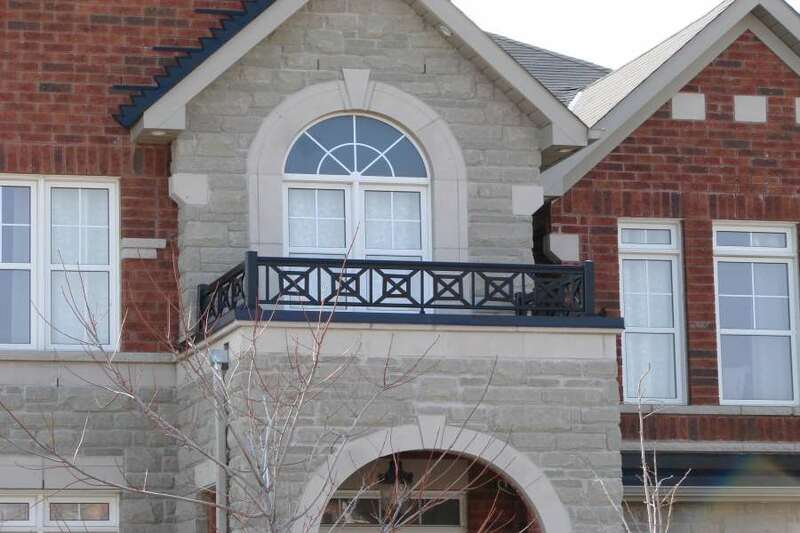 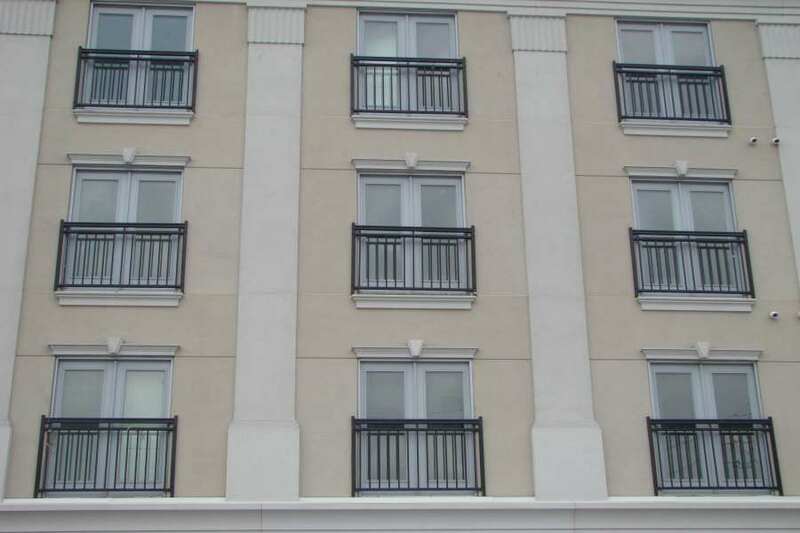 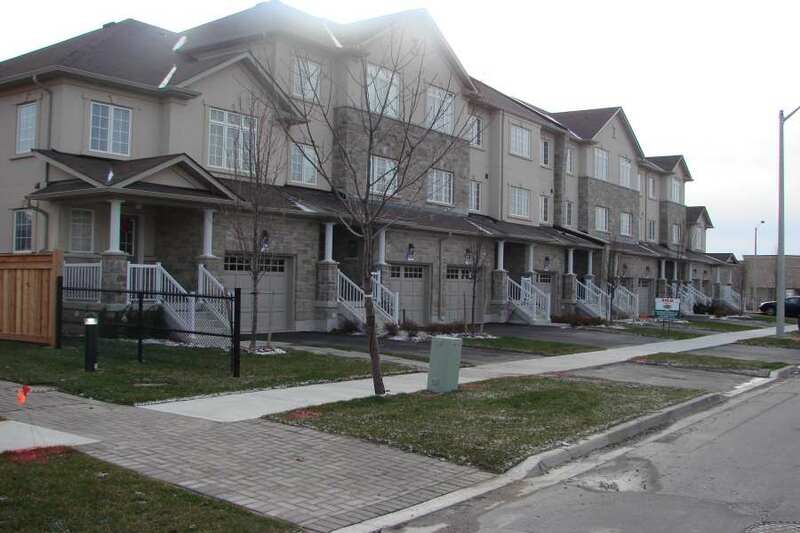 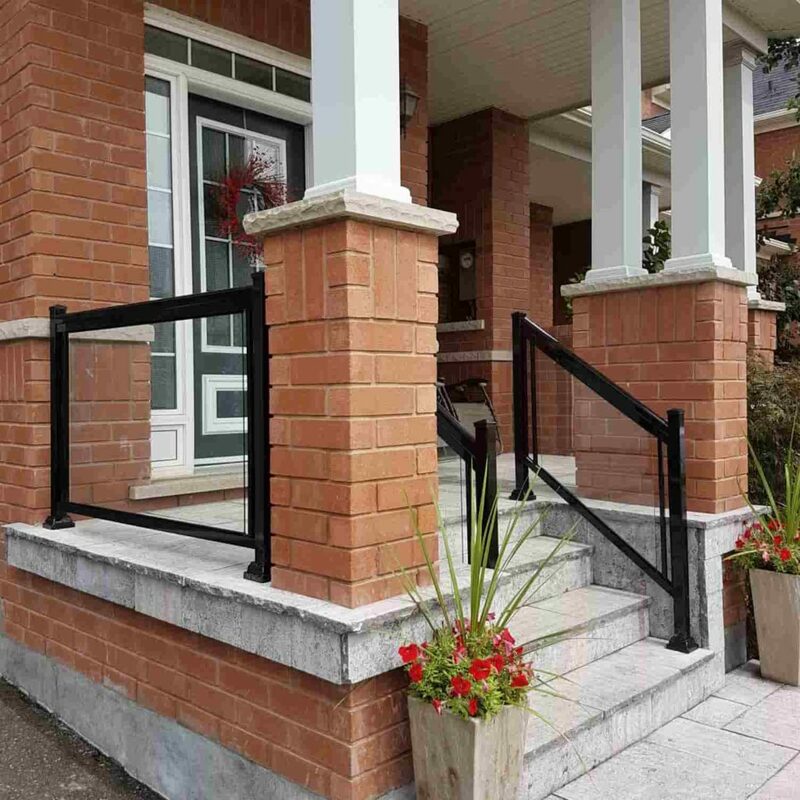 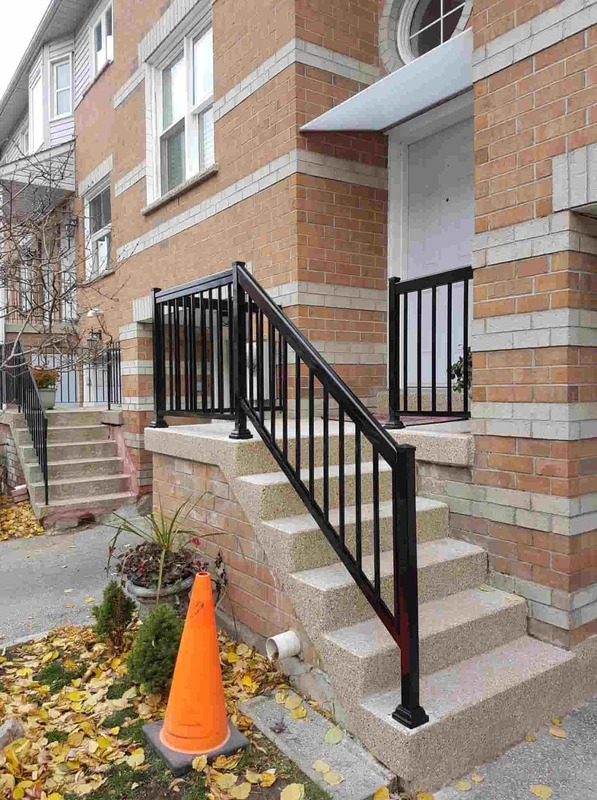 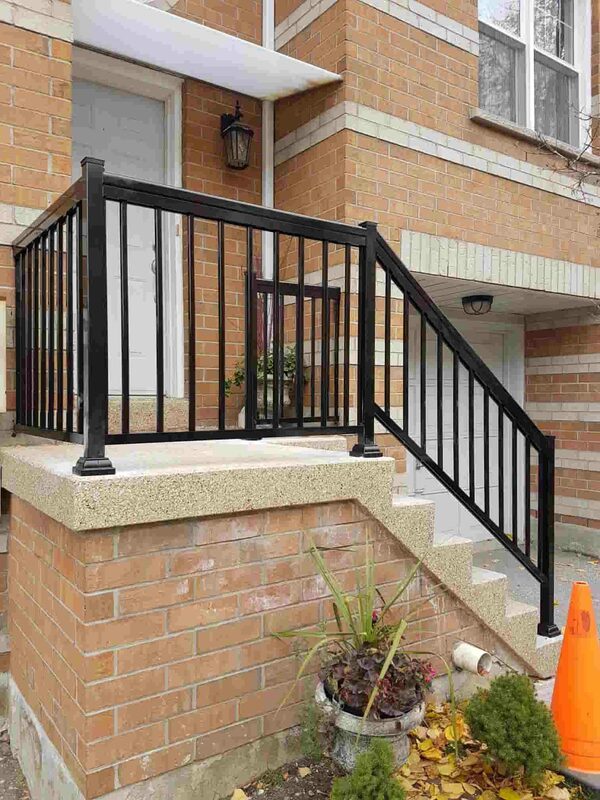 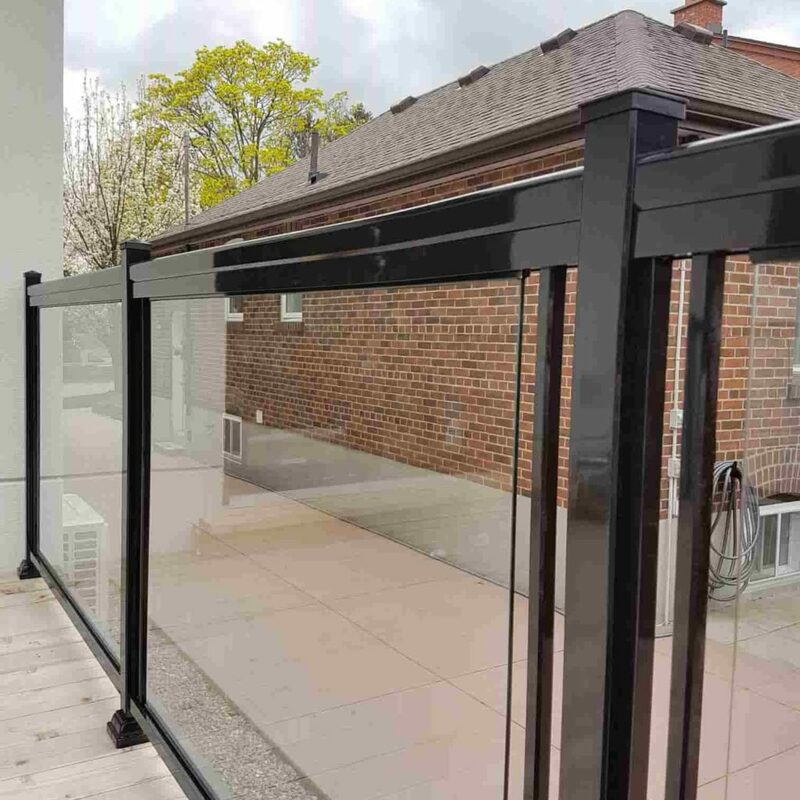 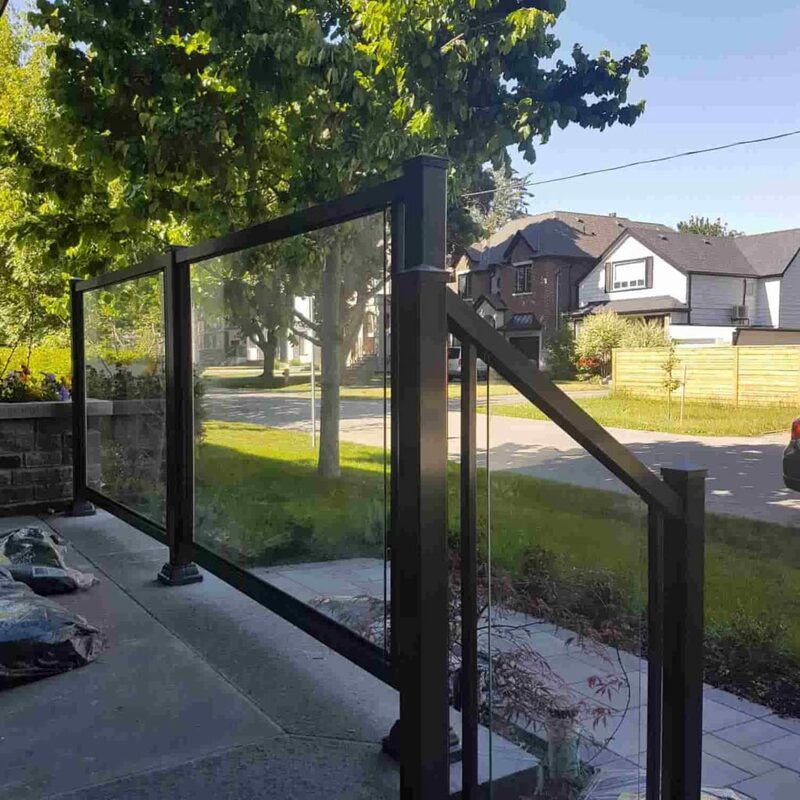 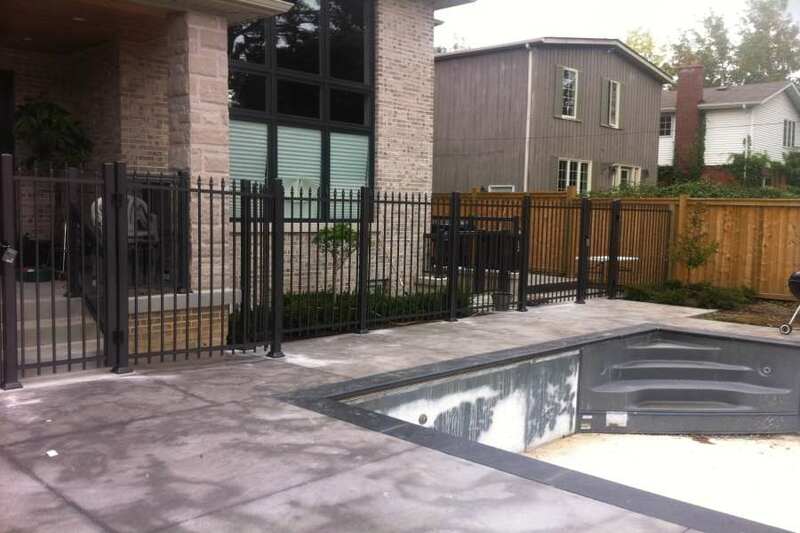 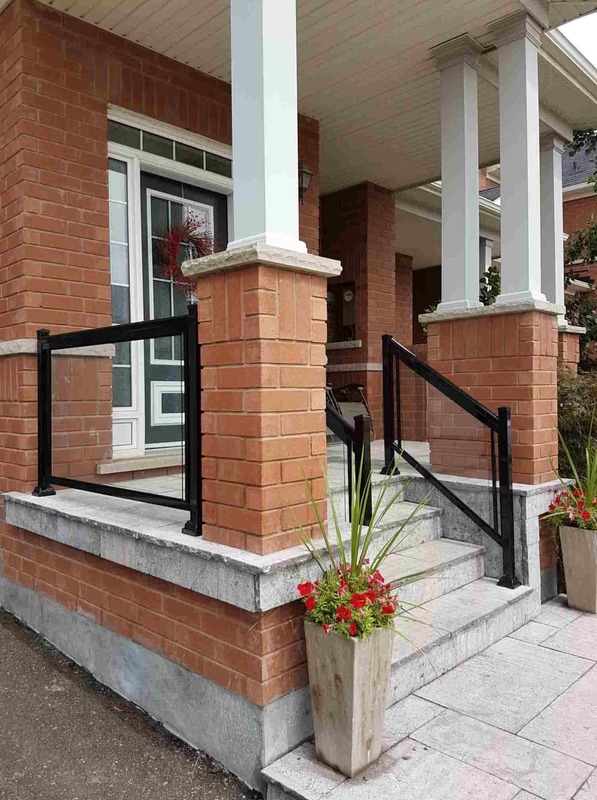 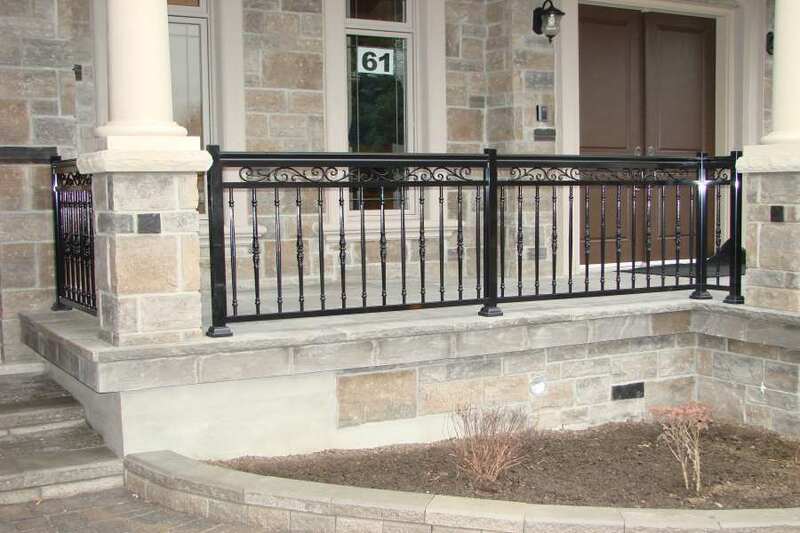 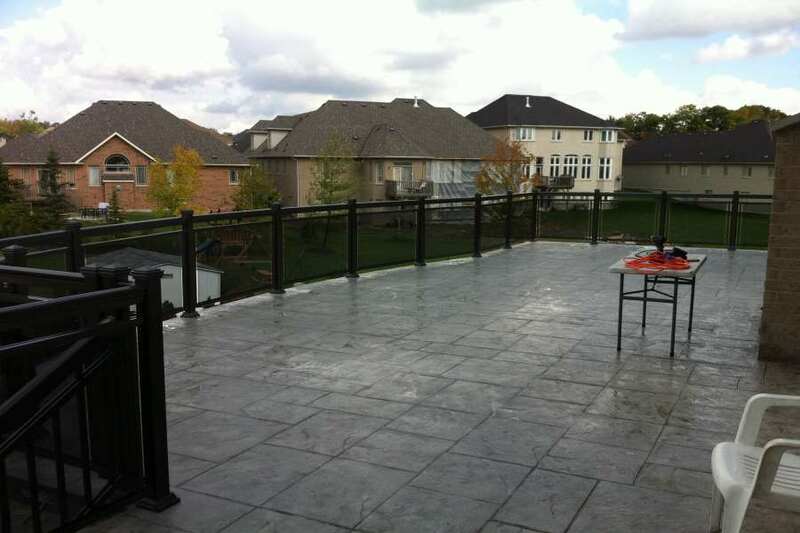 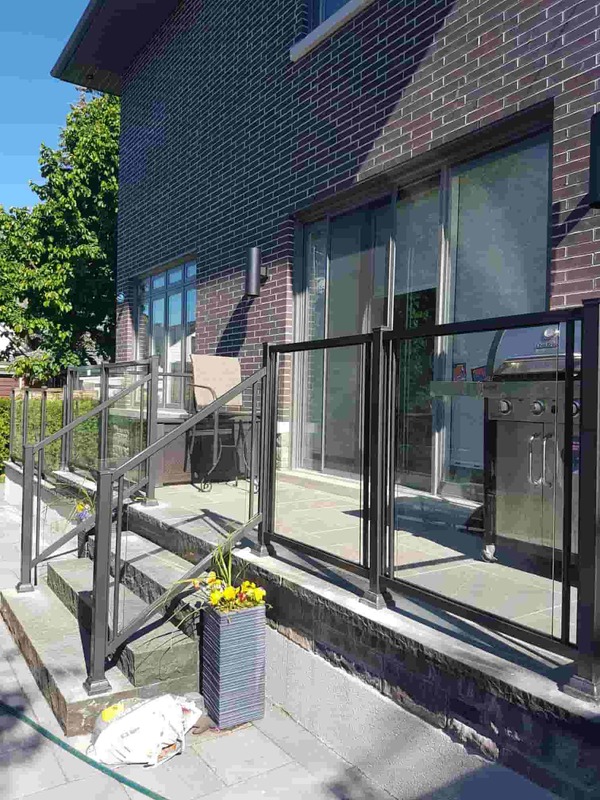 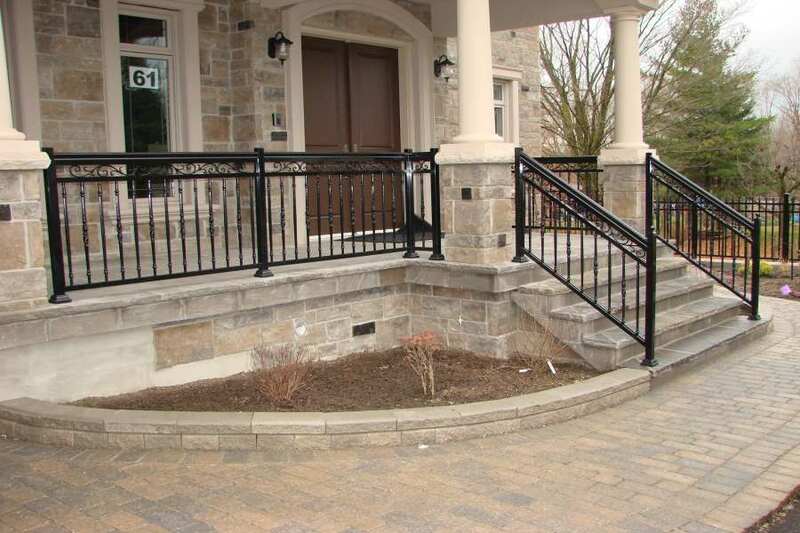 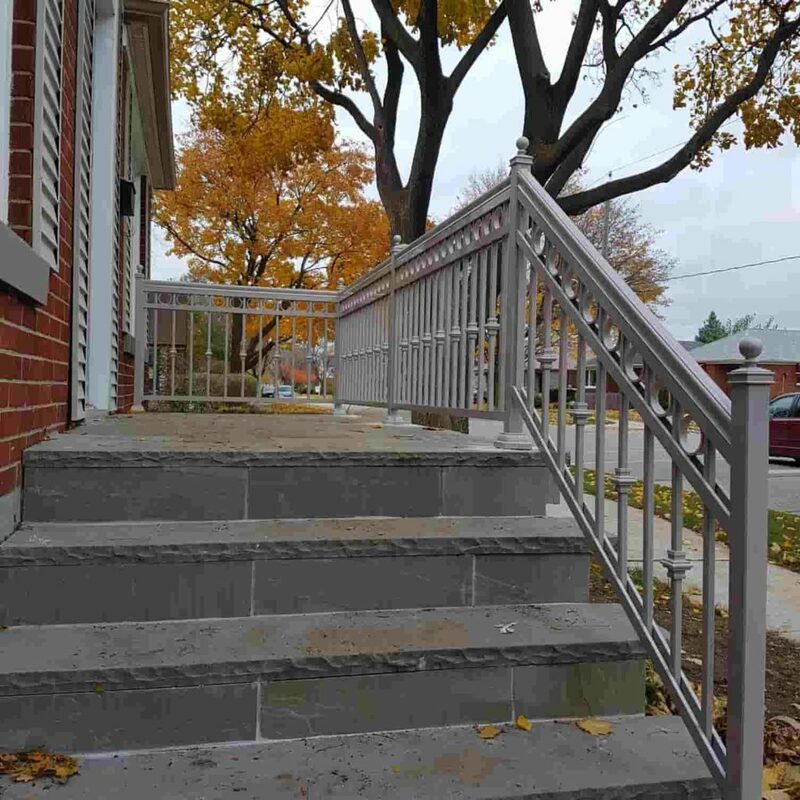 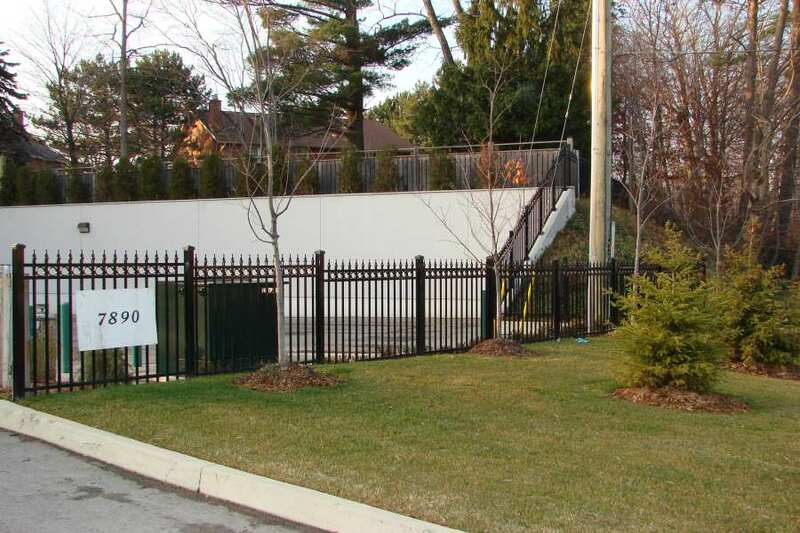 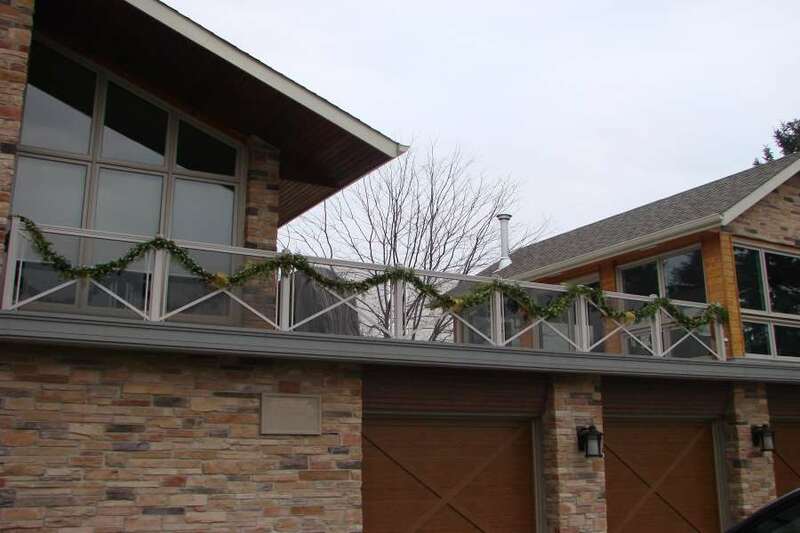 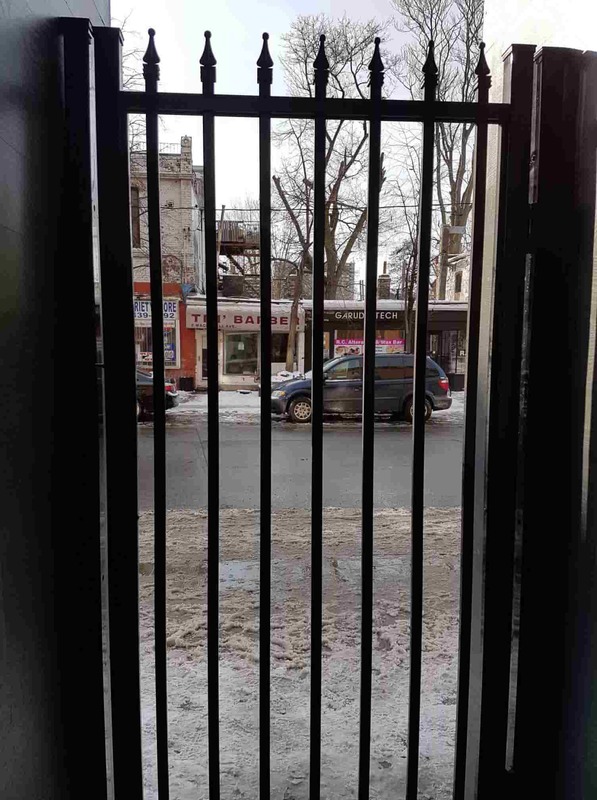 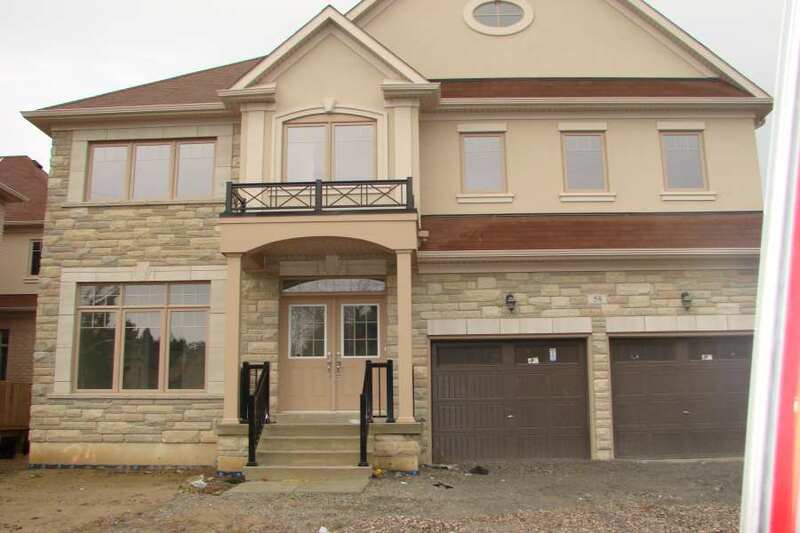 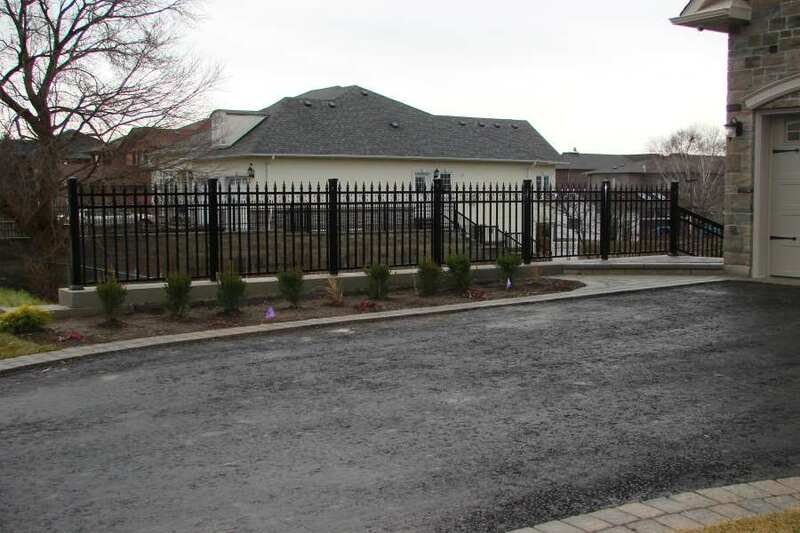 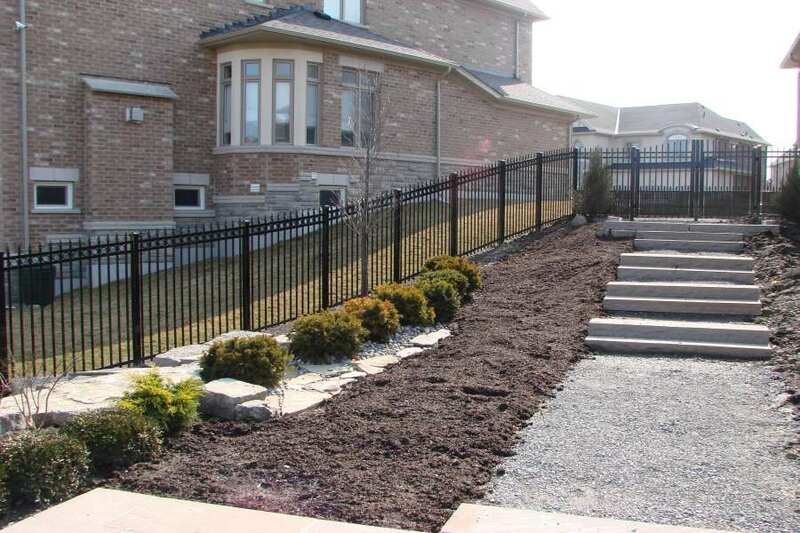 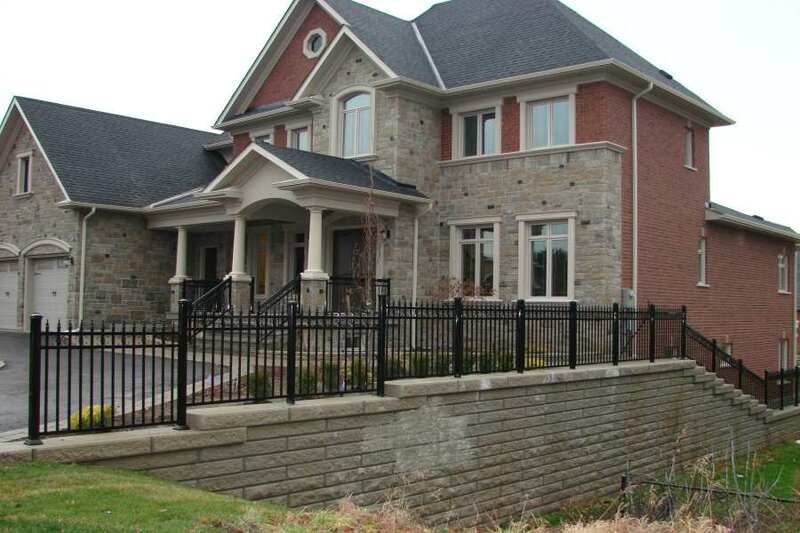 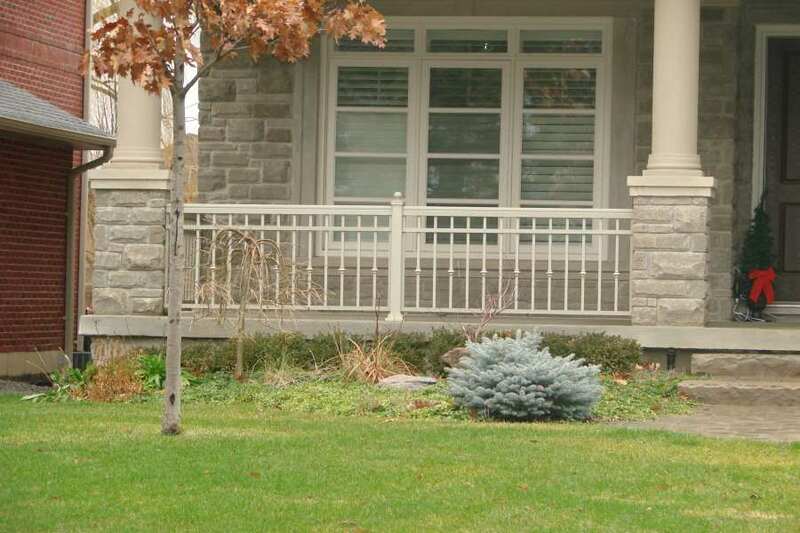 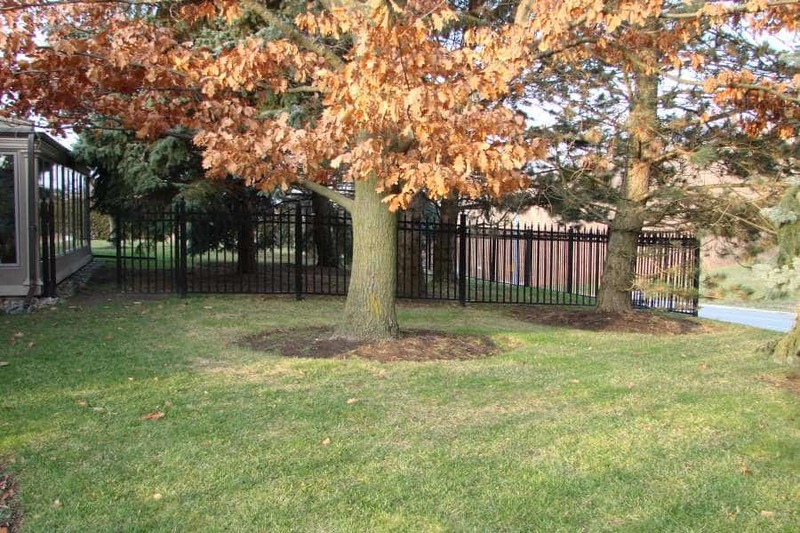 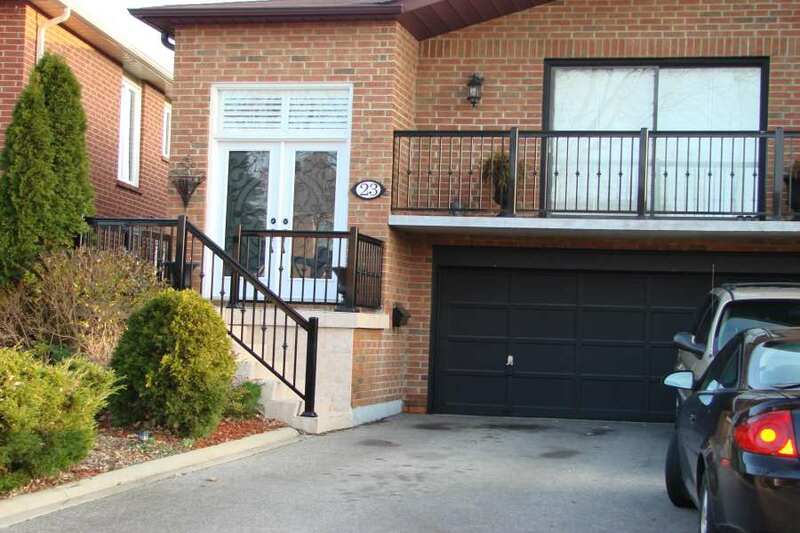 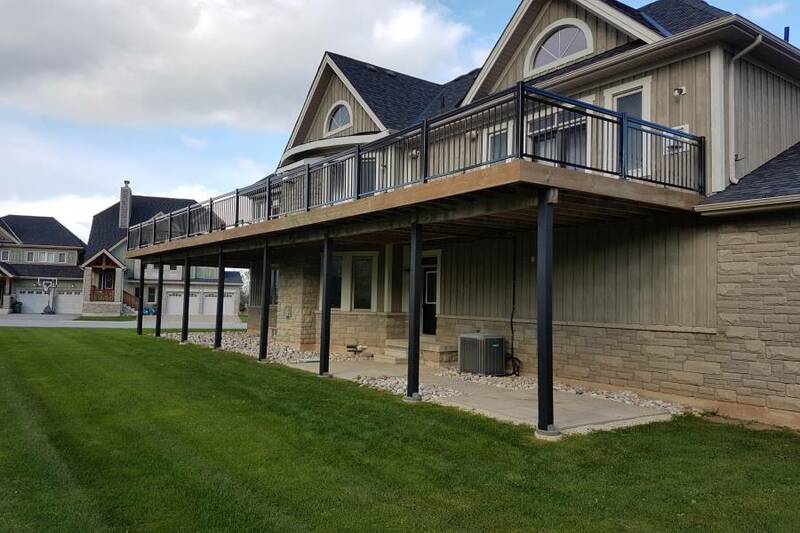 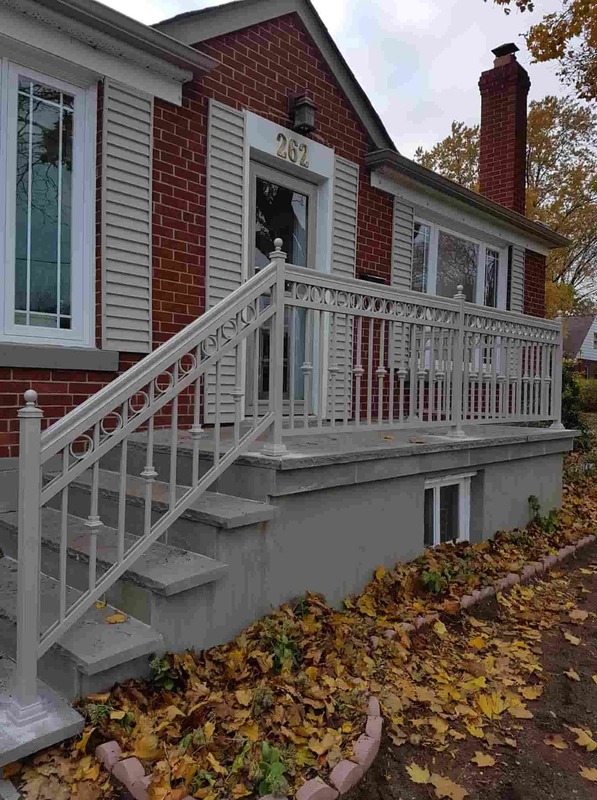 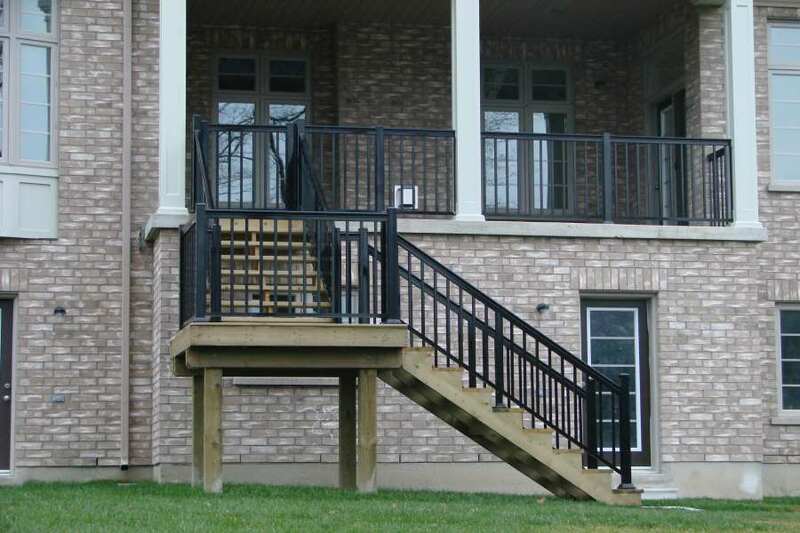 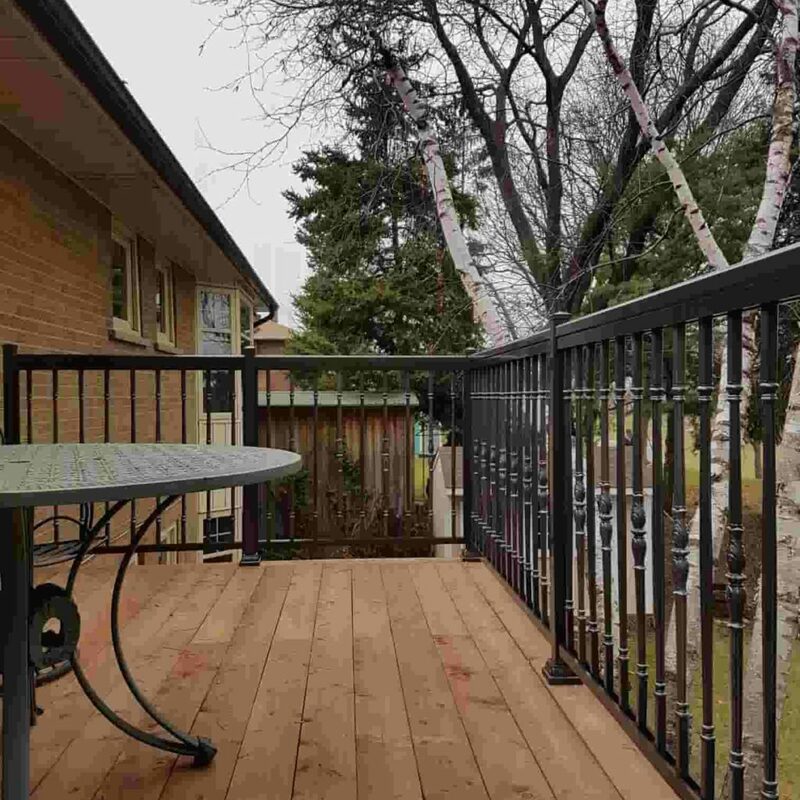 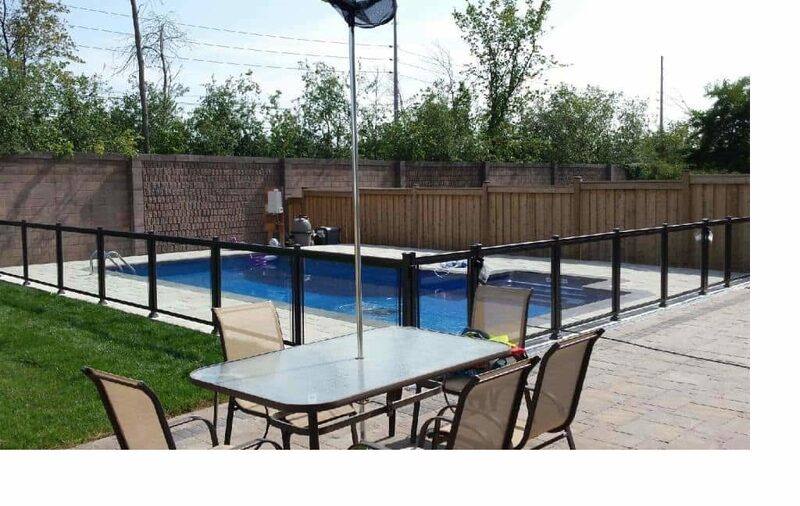 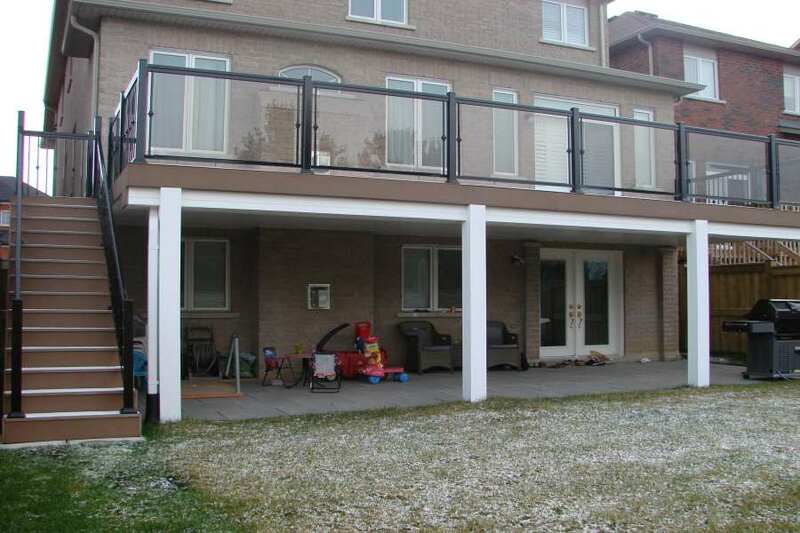 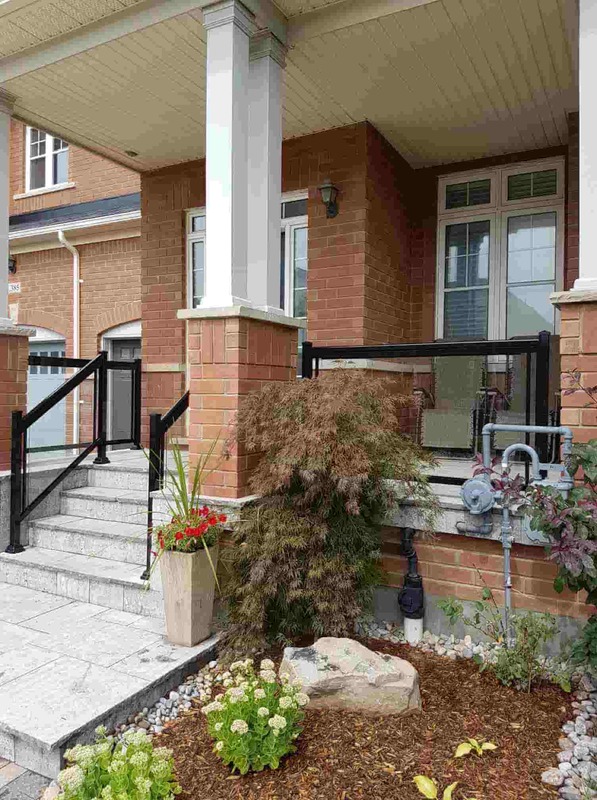 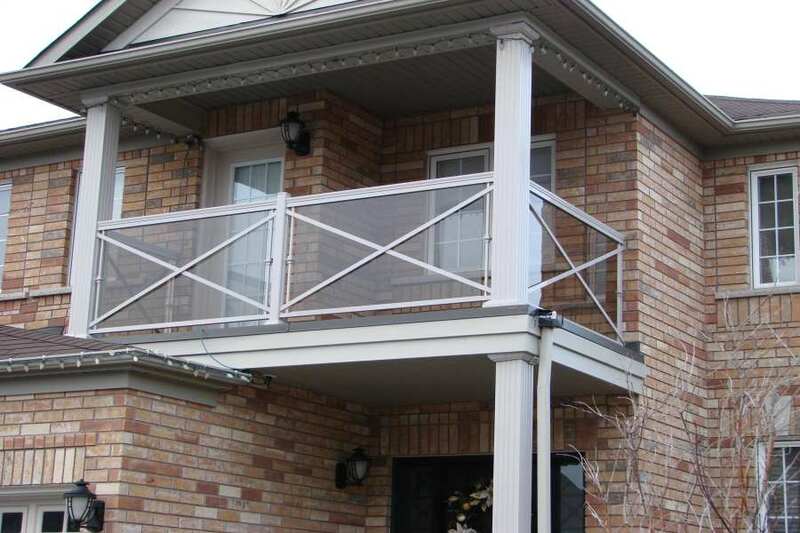 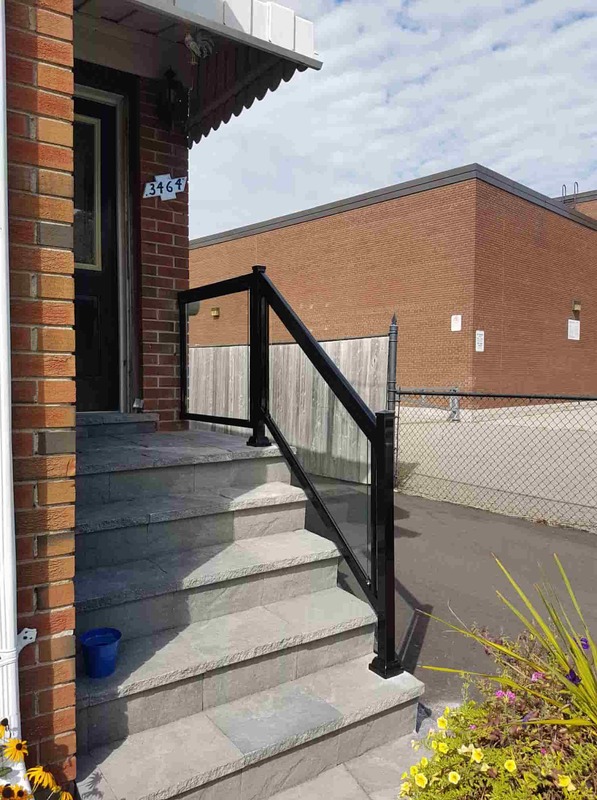 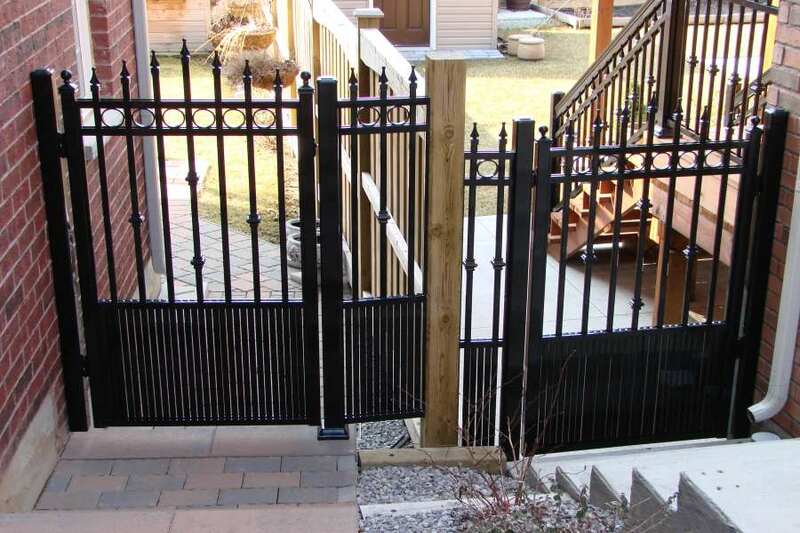 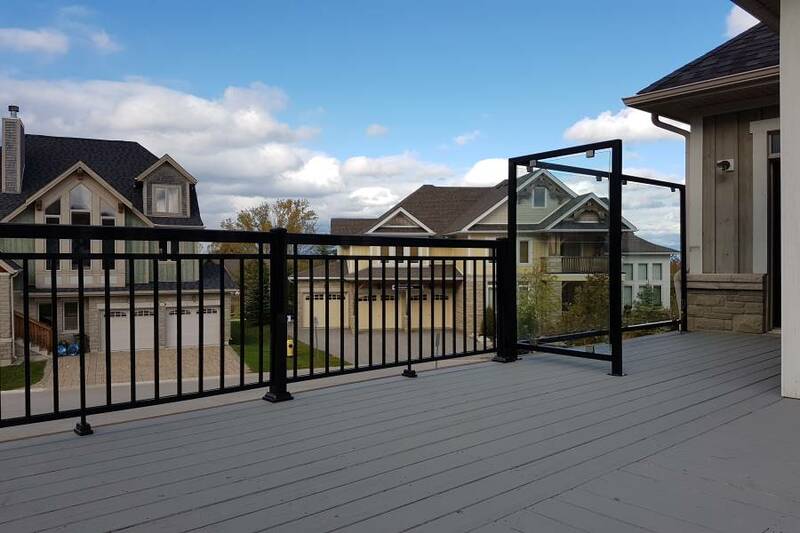 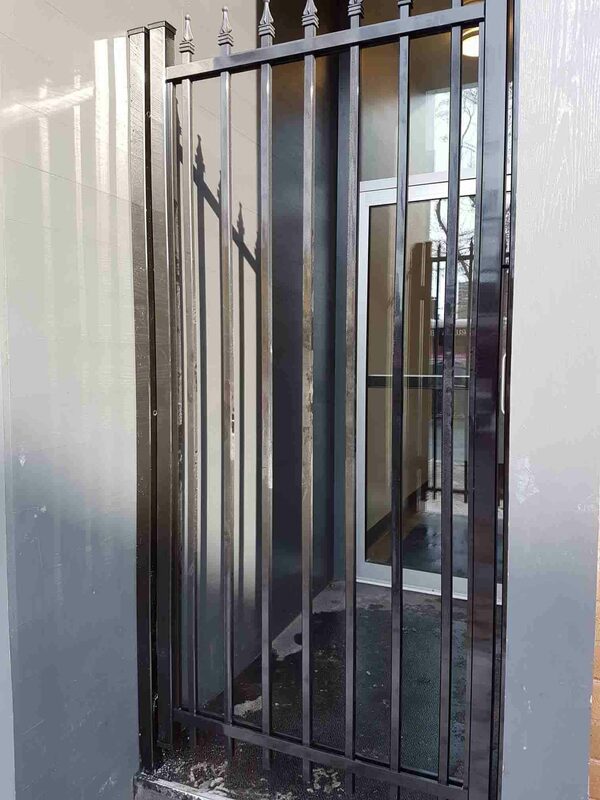 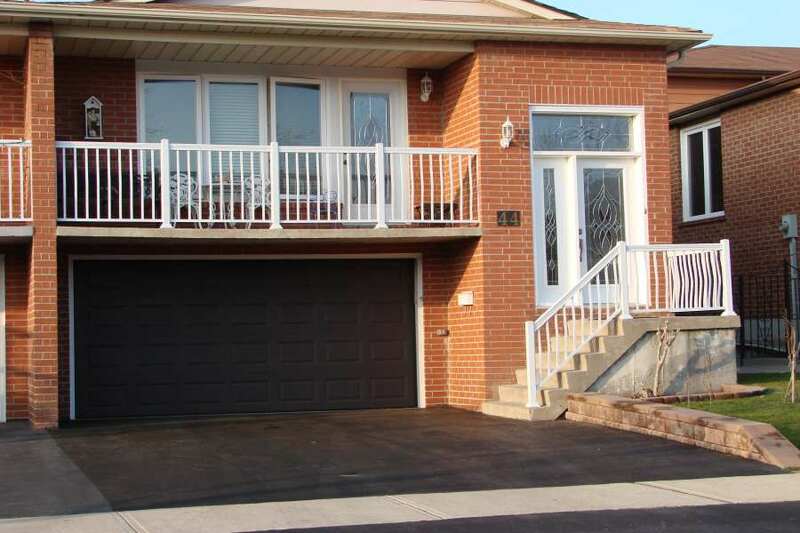 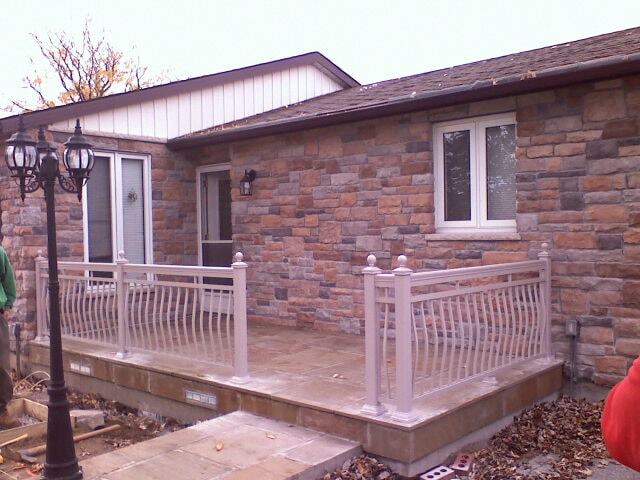 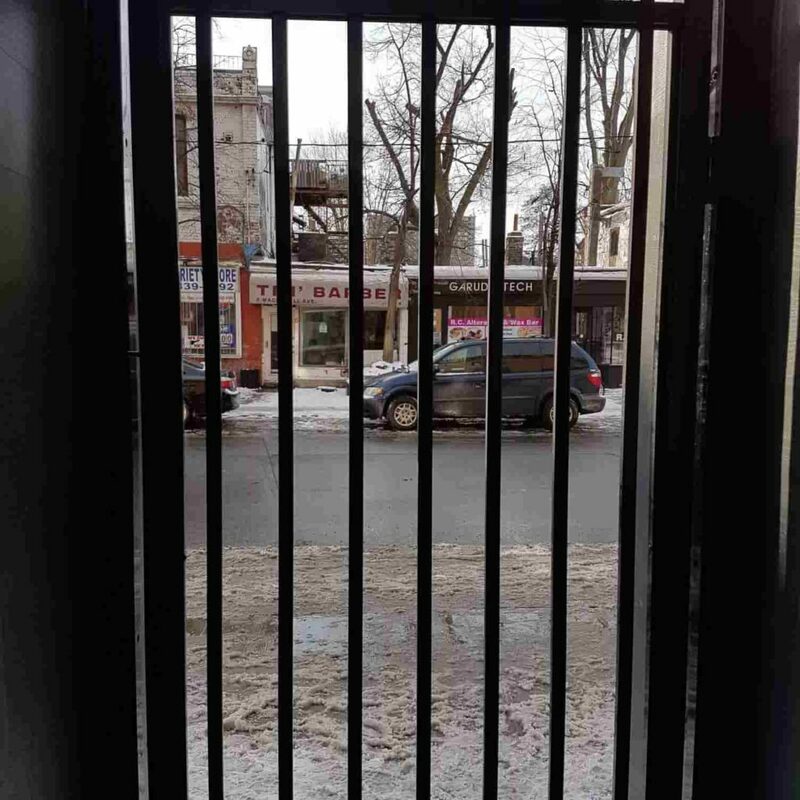 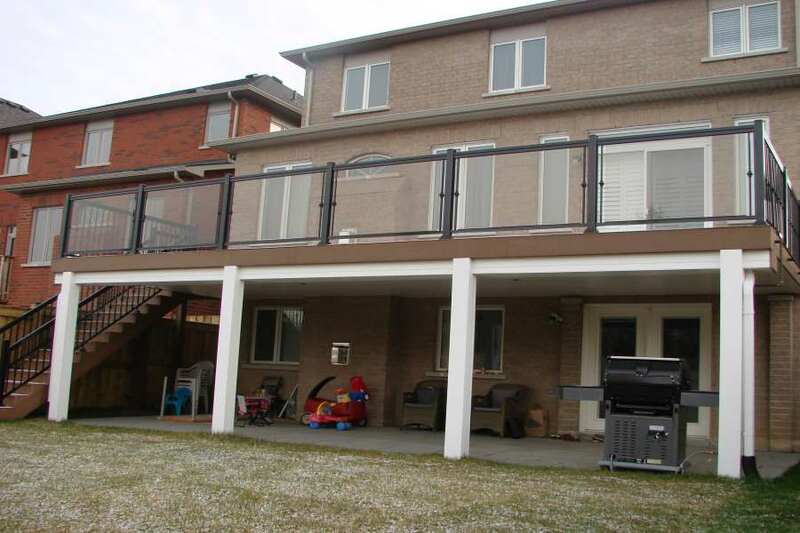 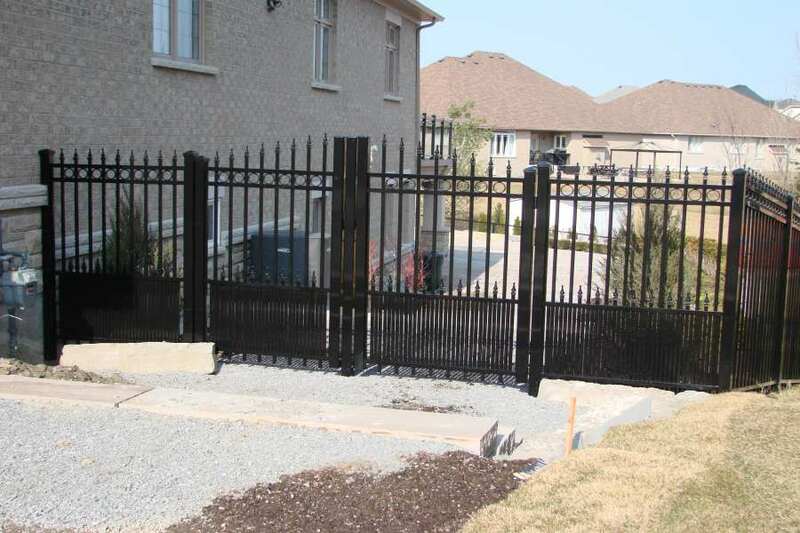 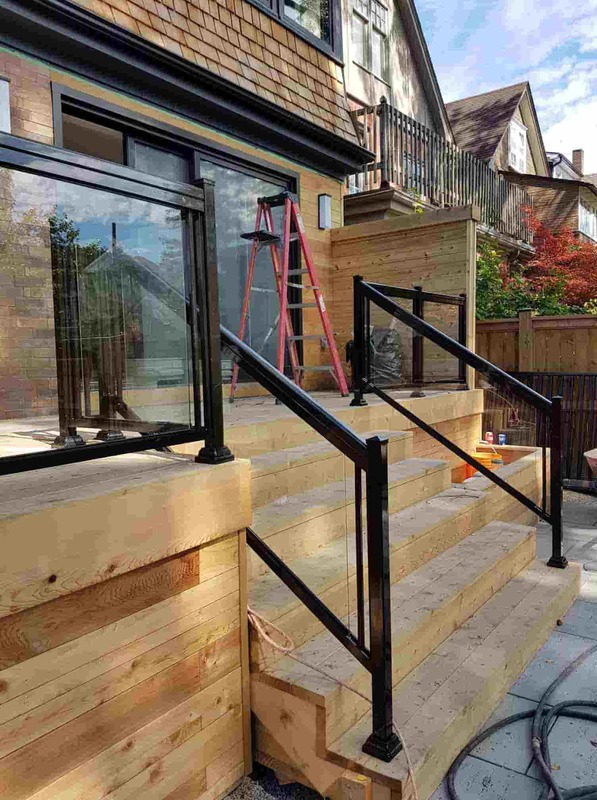 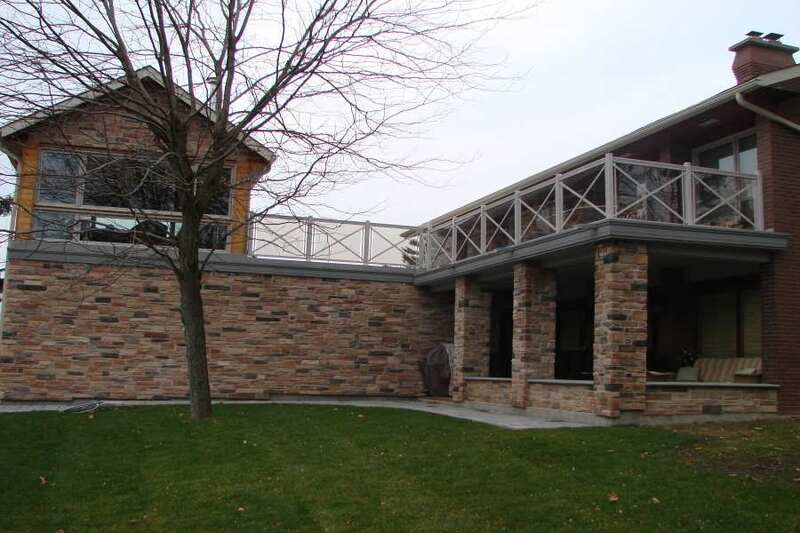 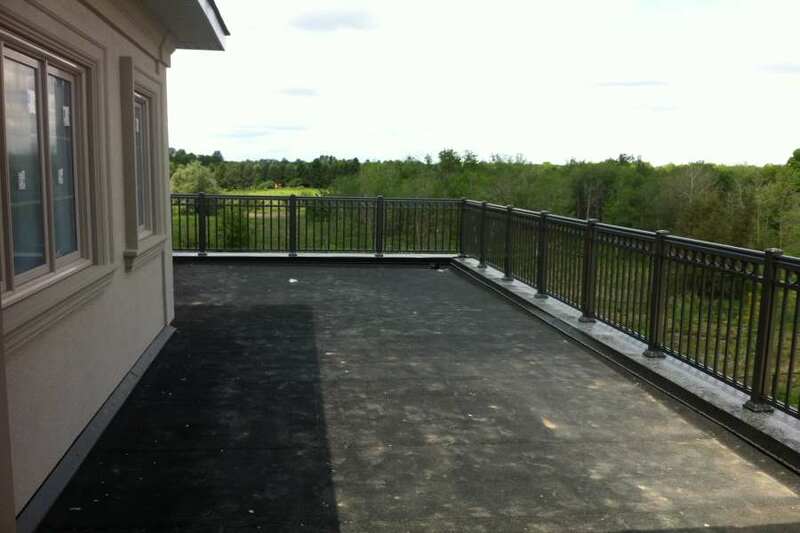 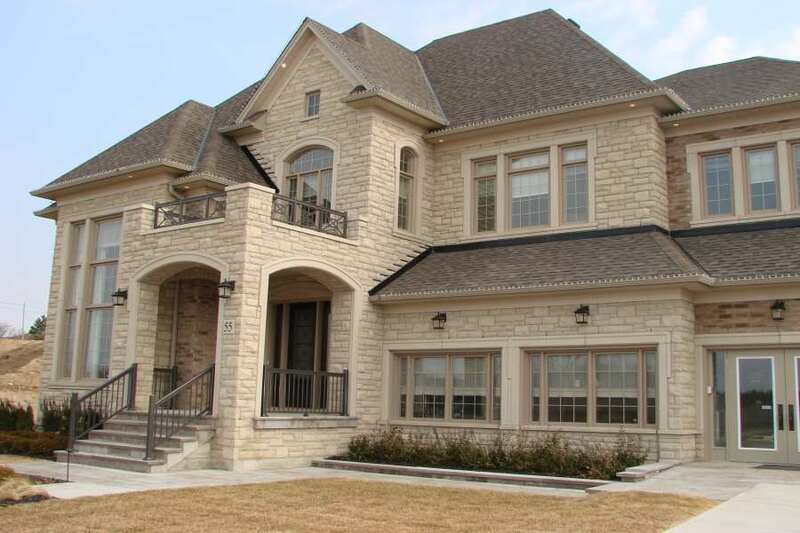 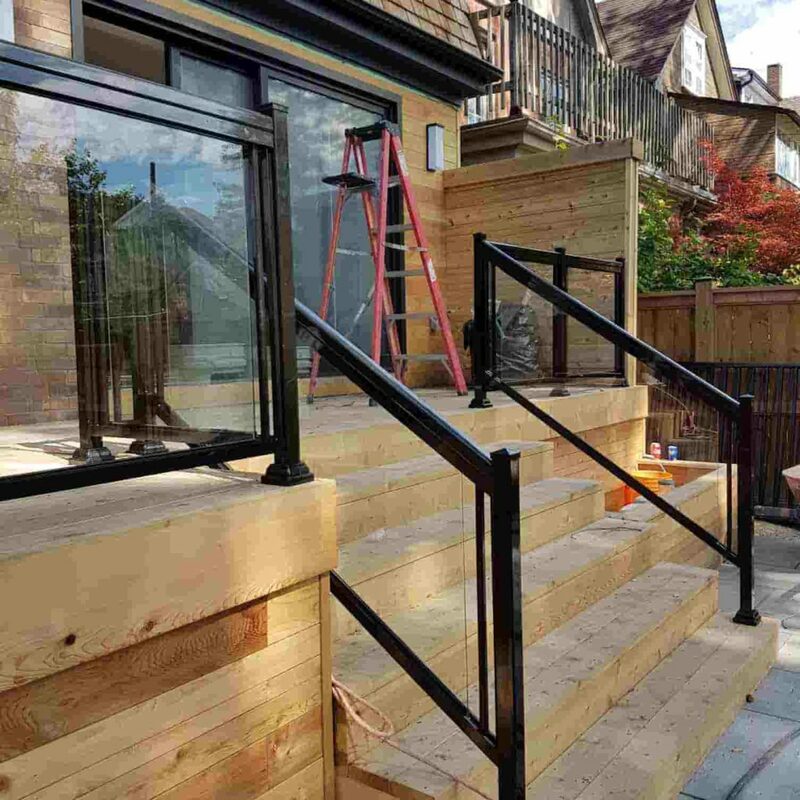 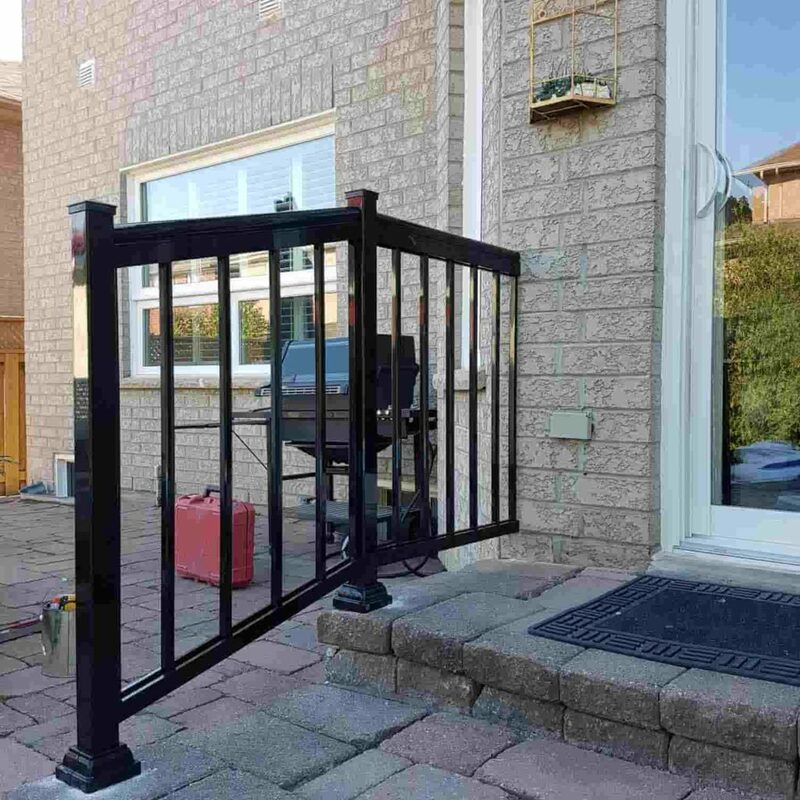 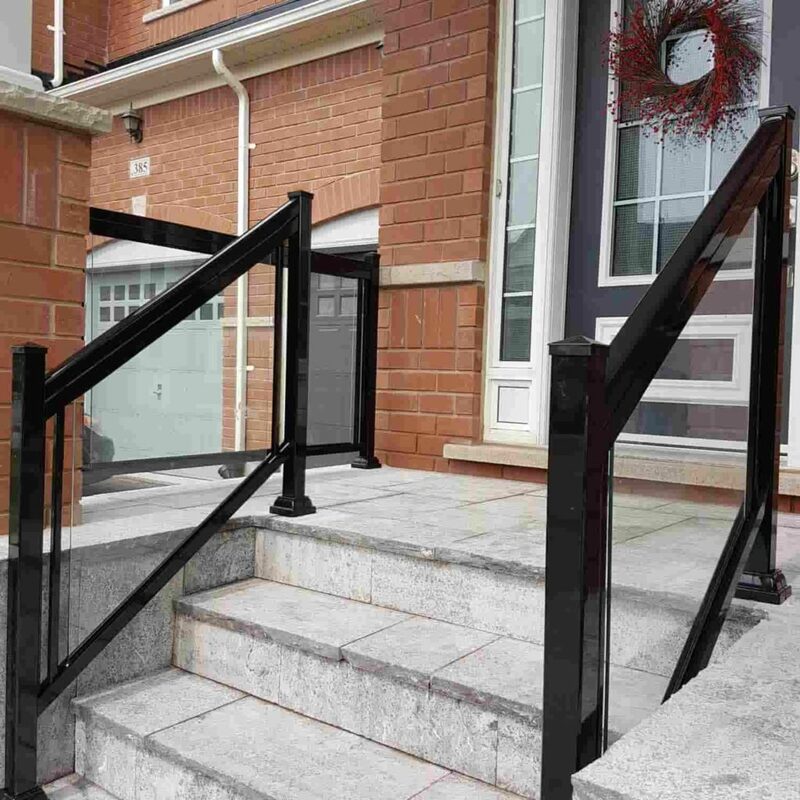 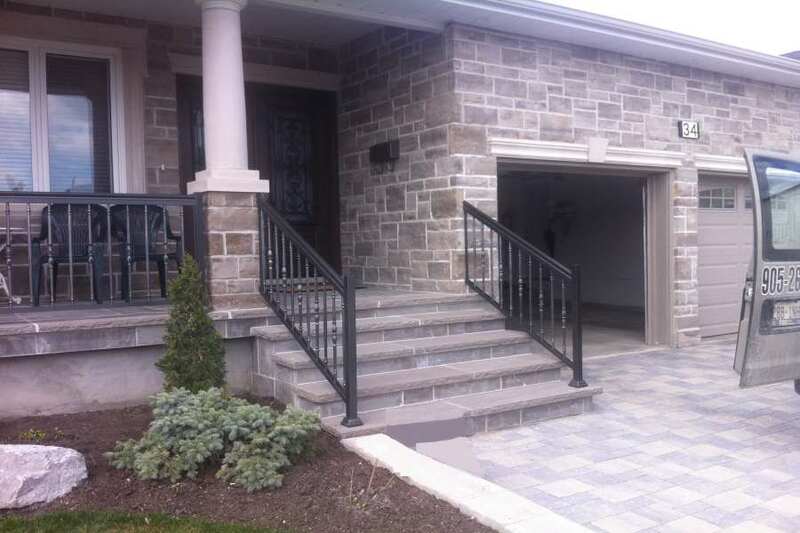 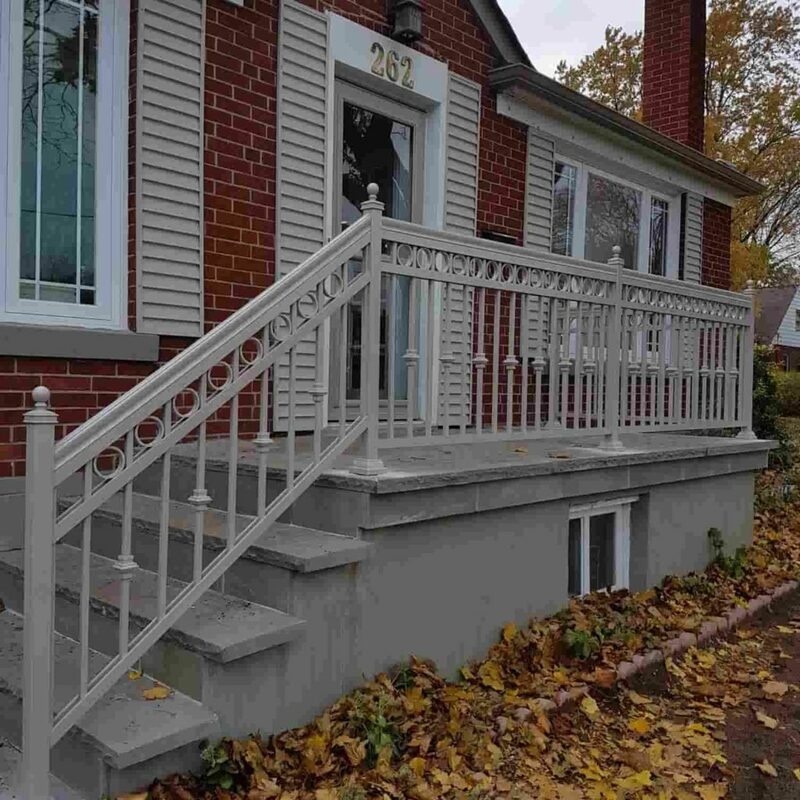 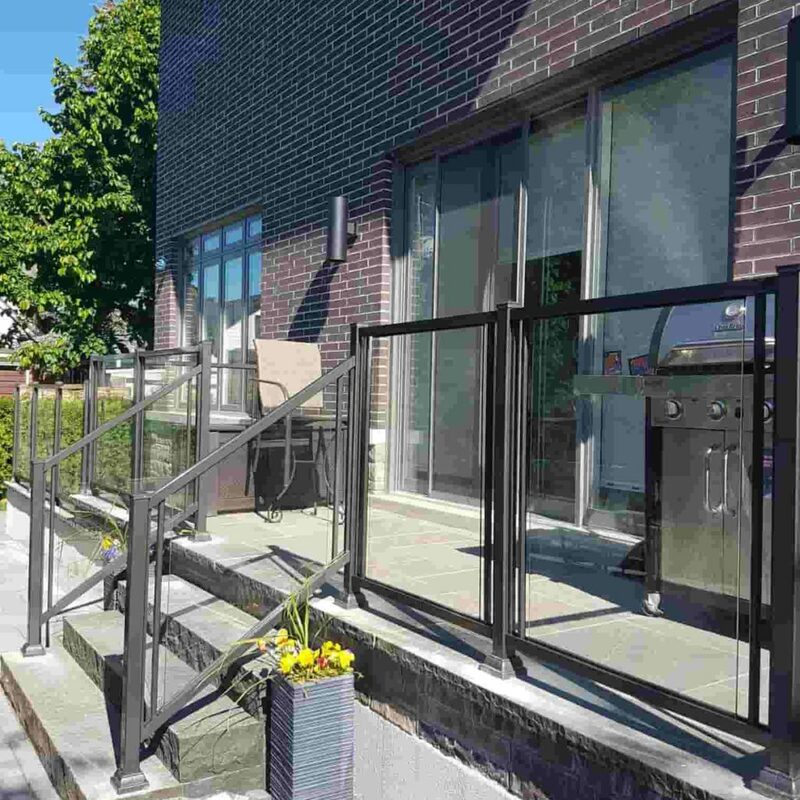 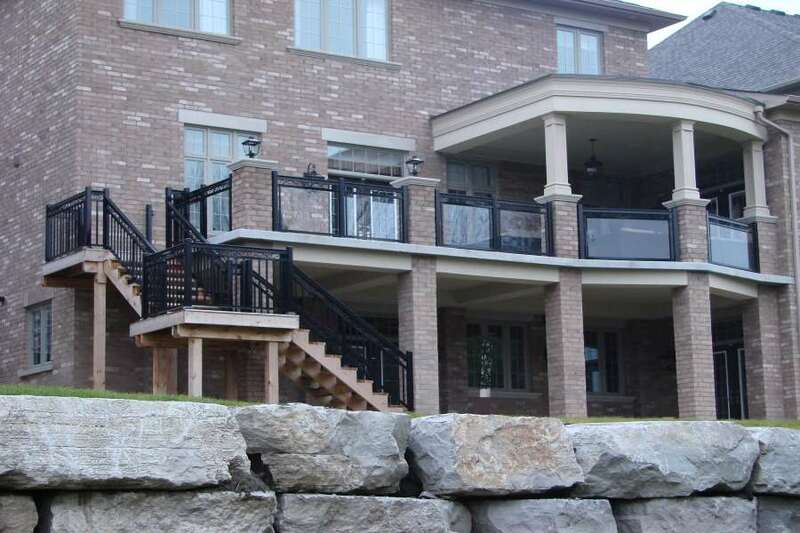 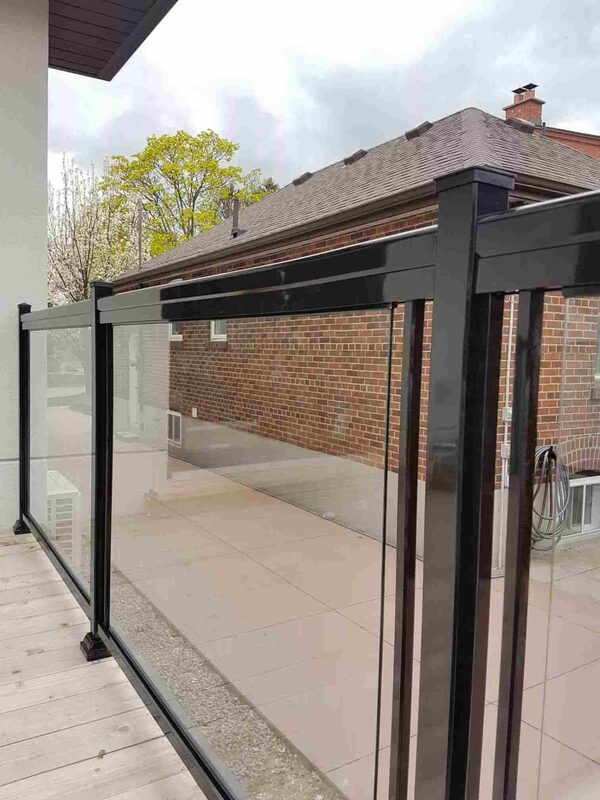 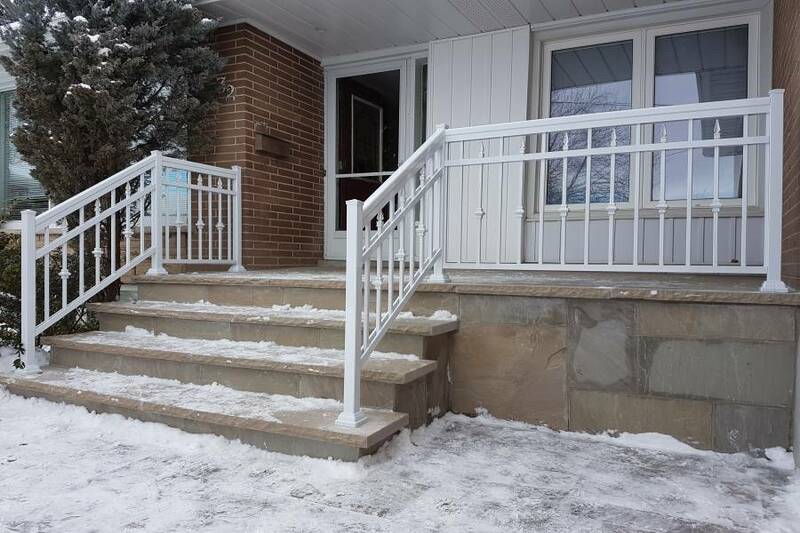 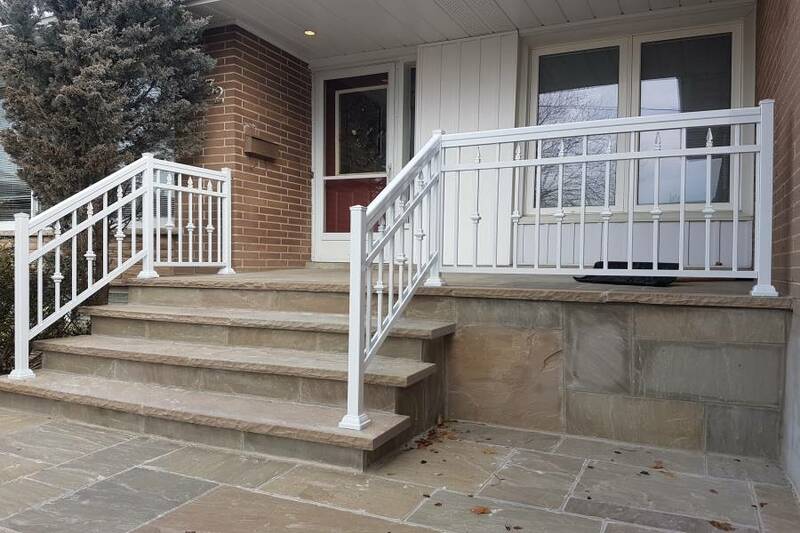 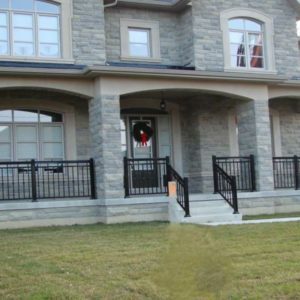 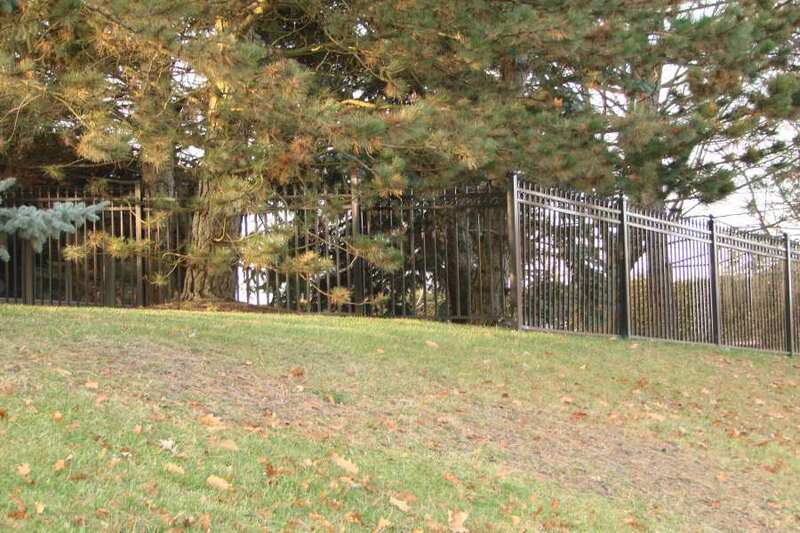 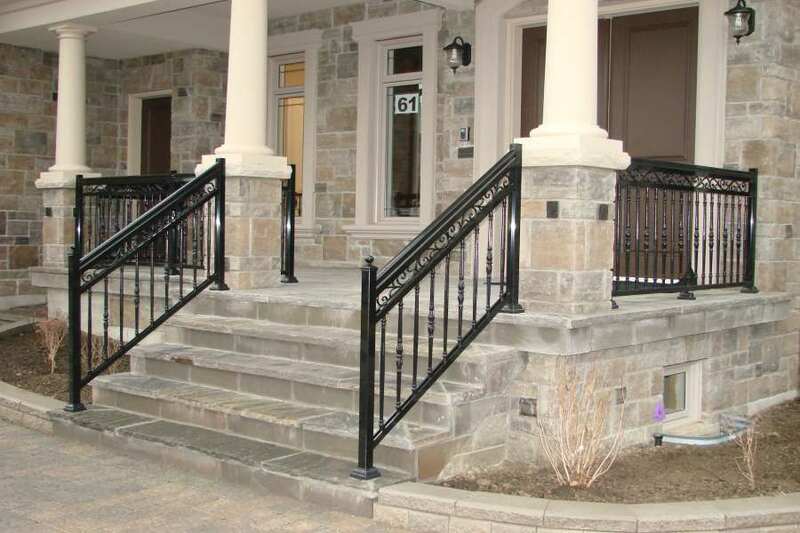 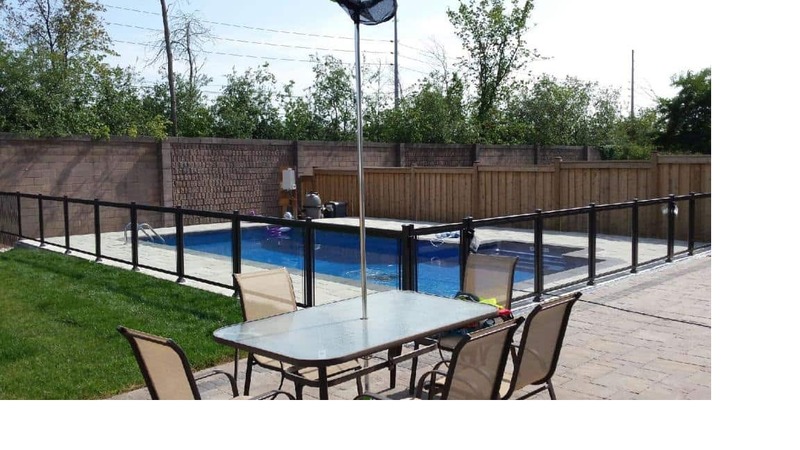 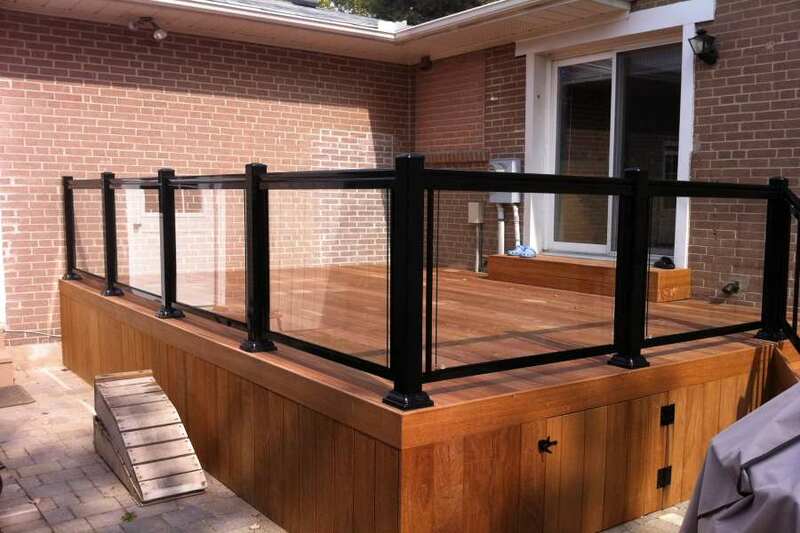 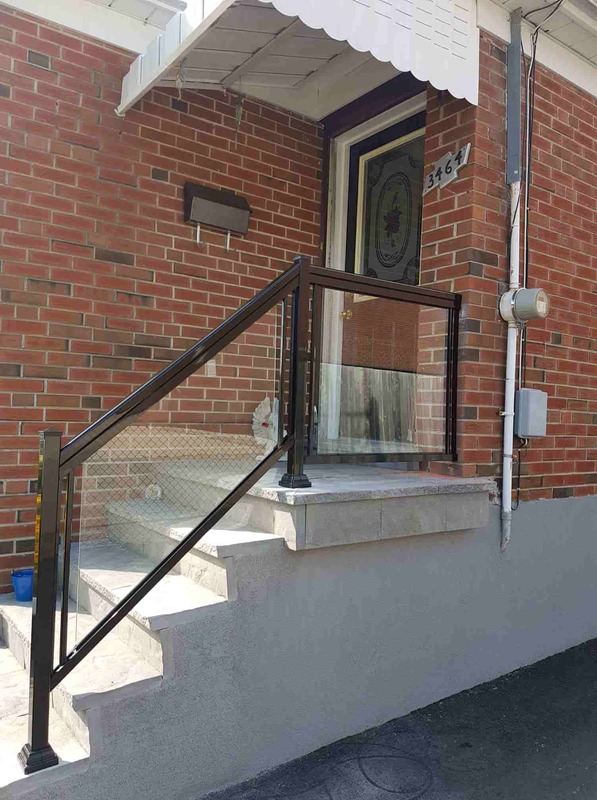 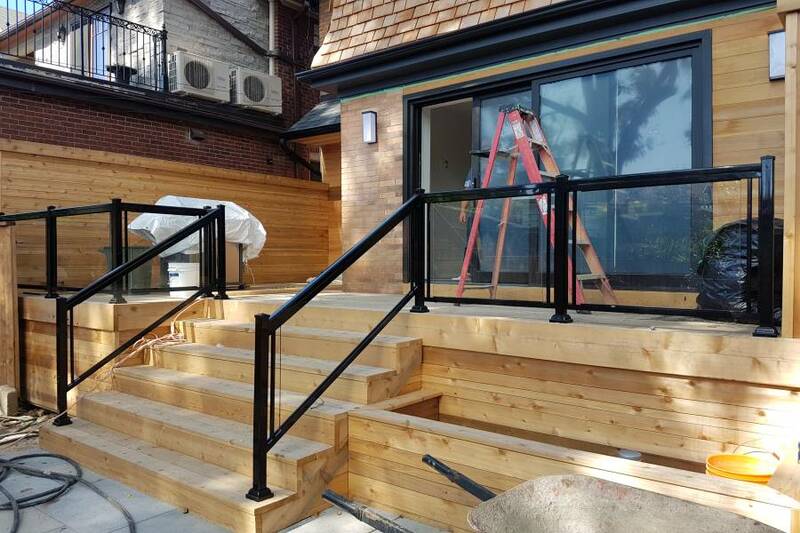 This gives aluminum exterior railings a durability factor that no superlative can do justice. 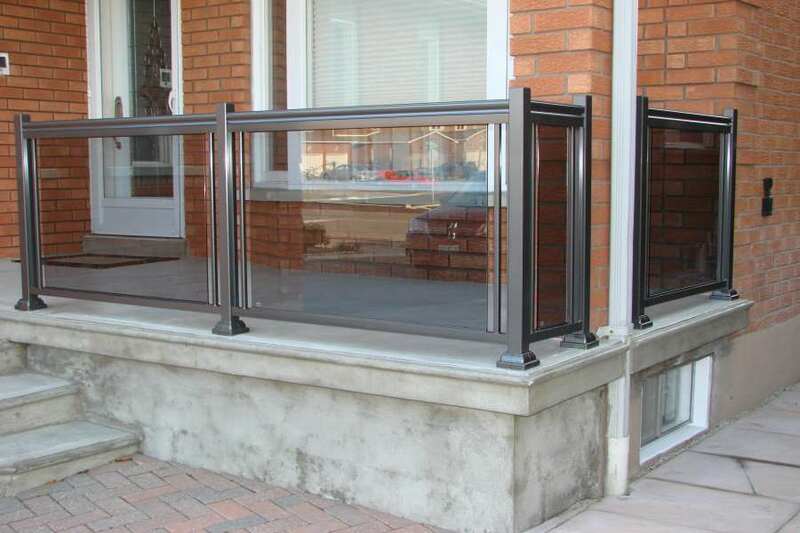 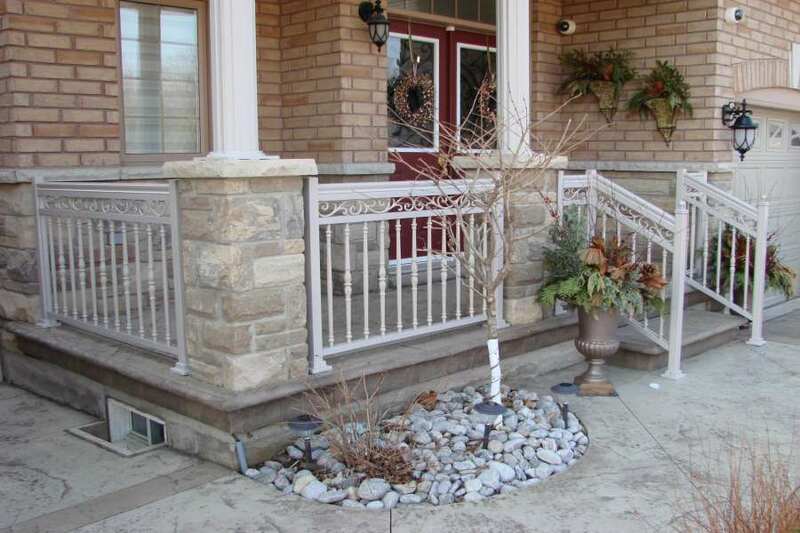 Another fact is that you can repurpose/recycle your aluminum railing when you want to change the look you have. 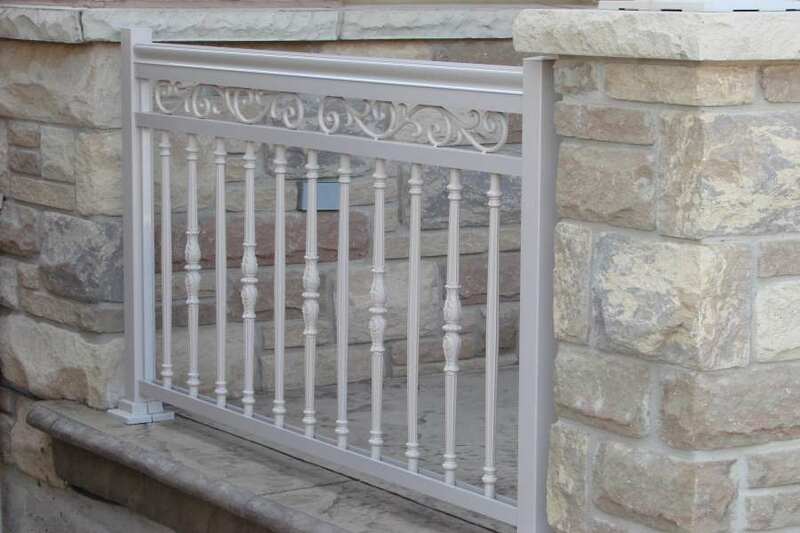 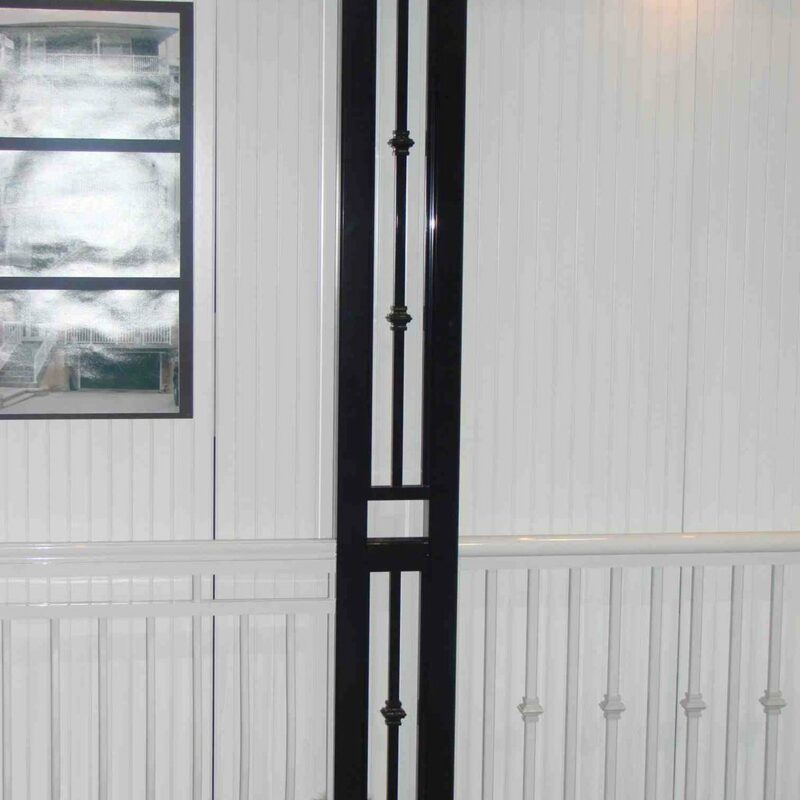 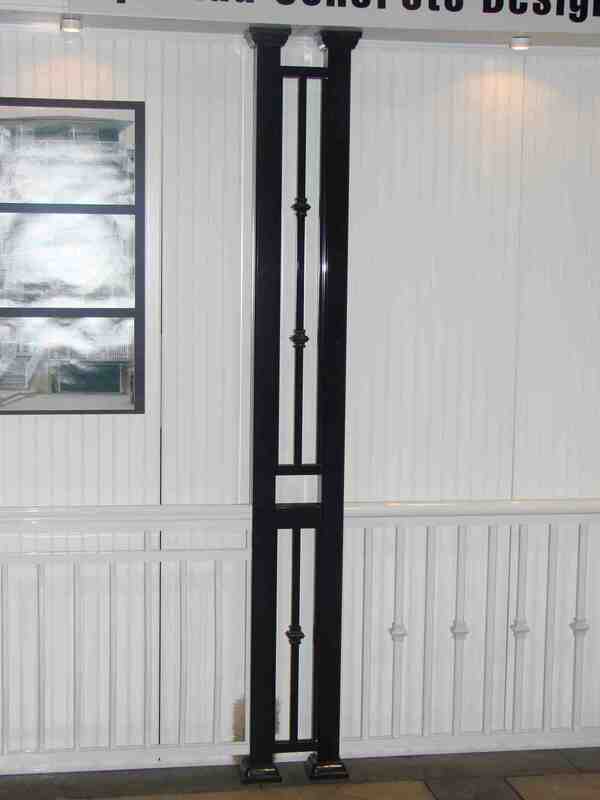 Another winning quality that will make you choose aluminum for outdoor railing is the price. 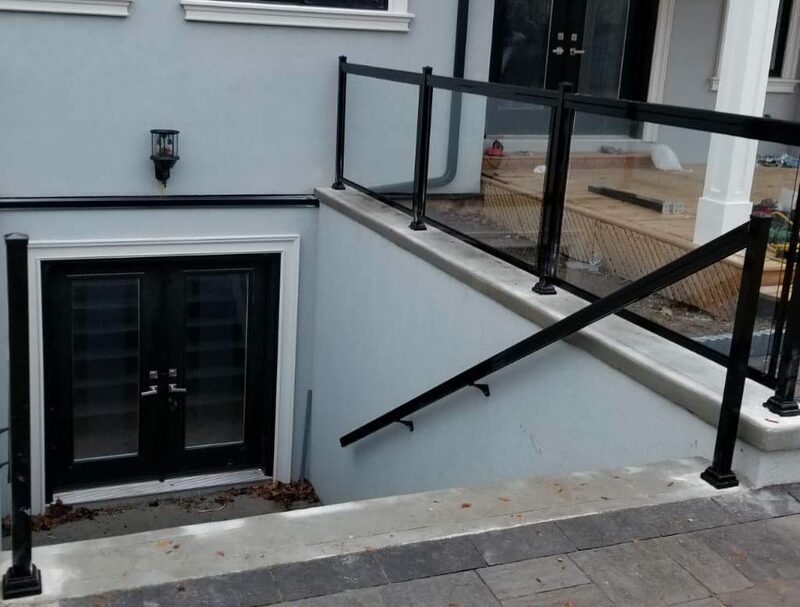 It’s a cost-effective material. 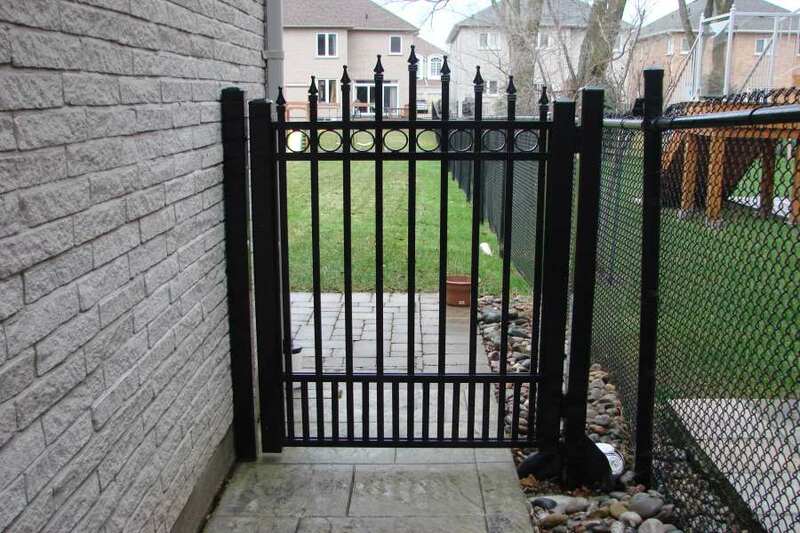 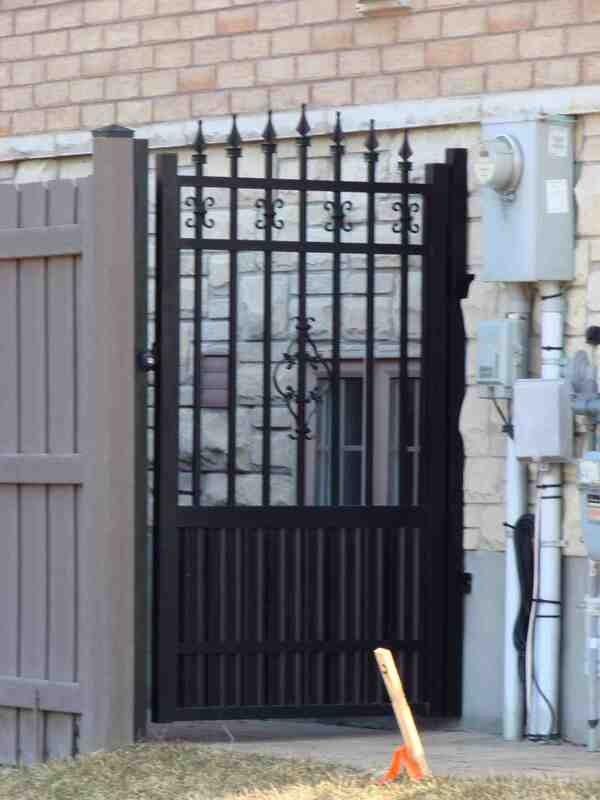 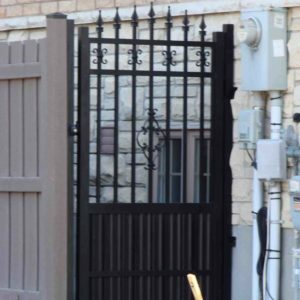 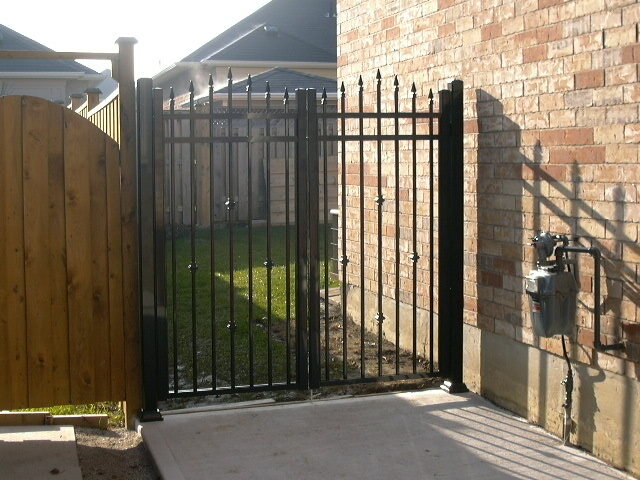 You would expect it to be costly because of its promise of beauty, versatility and durability. 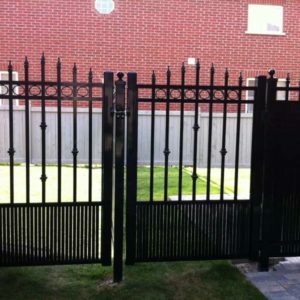 It boggles the mind since it has so many admirable qualities but customers are happy and that’s great. 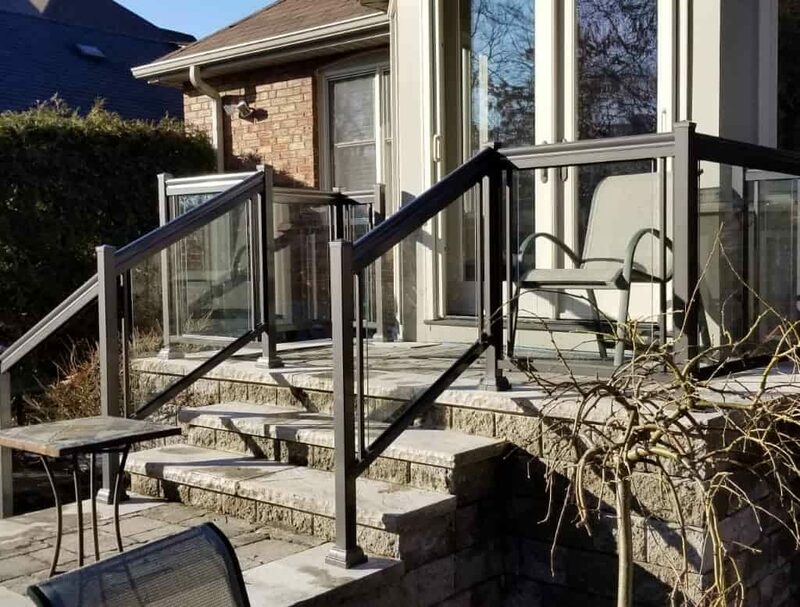 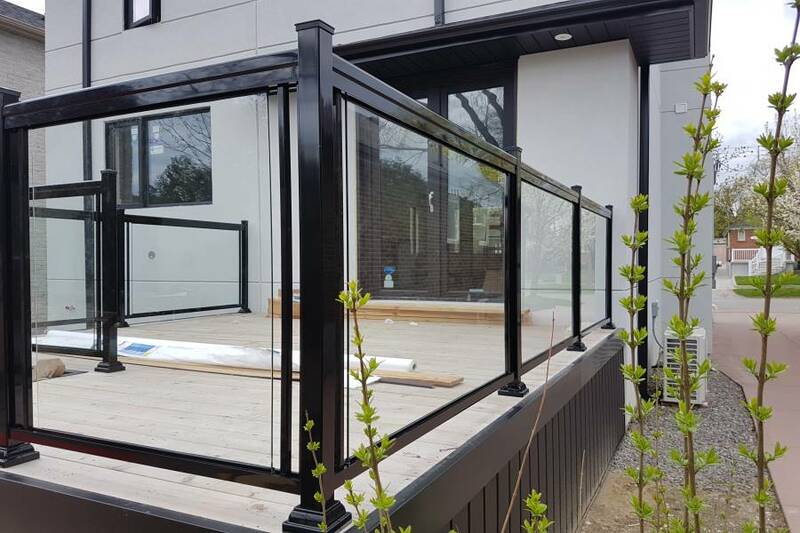 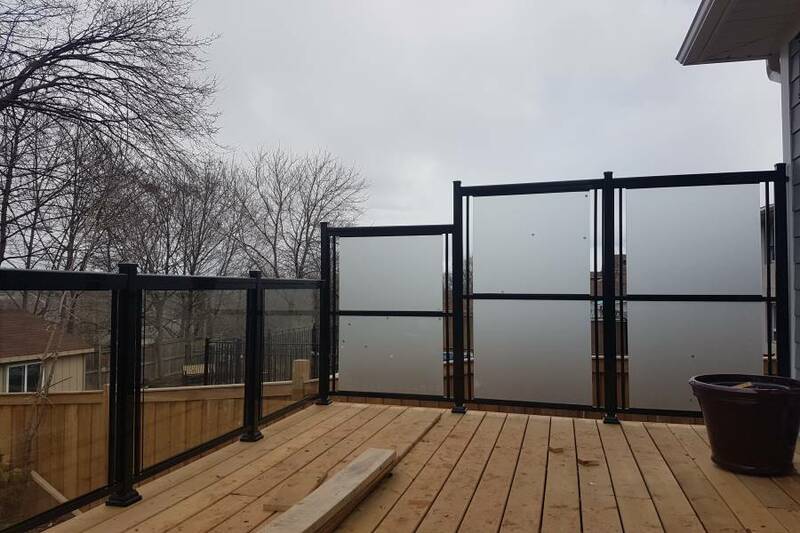 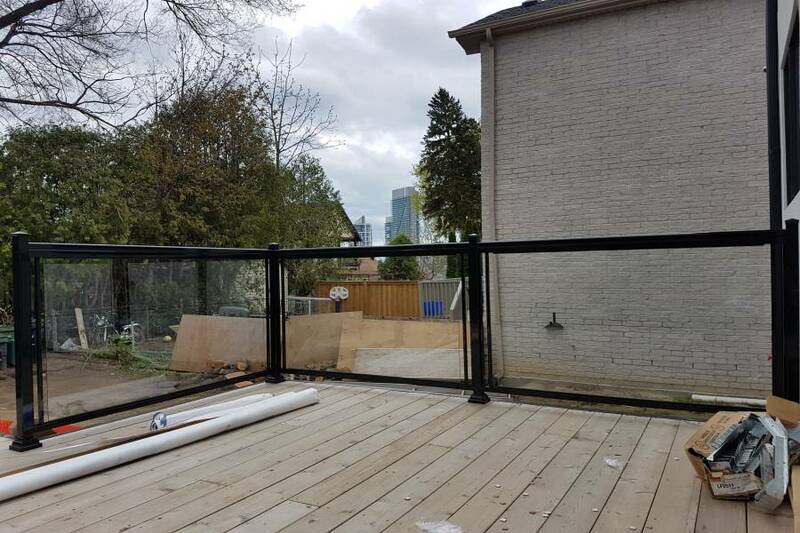 One more thing is that you won’t have to be a workhorse to keep the quality of aluminum exterior railings up to standard. 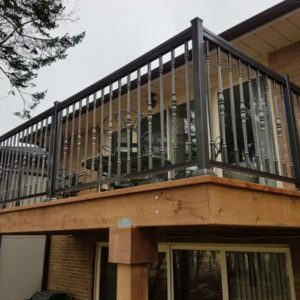 Steel and Wood are heavy maintenance. 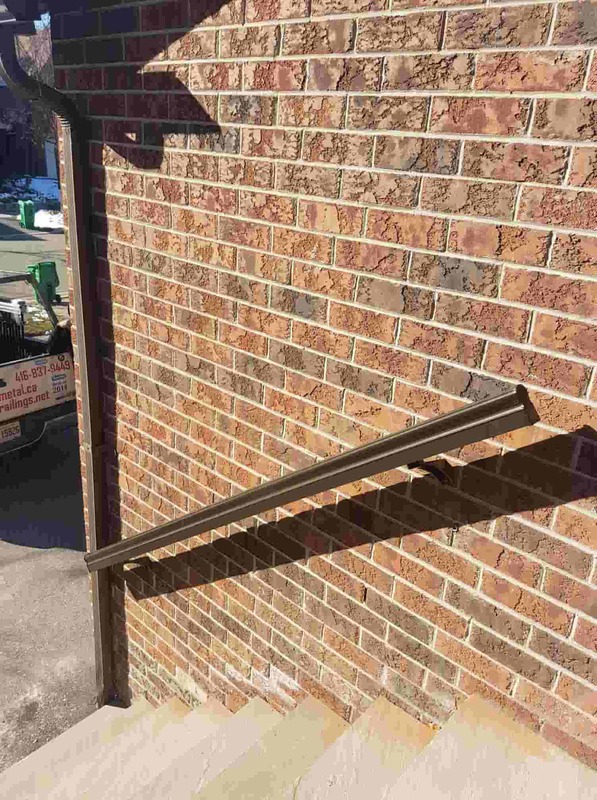 The more you think about this material. 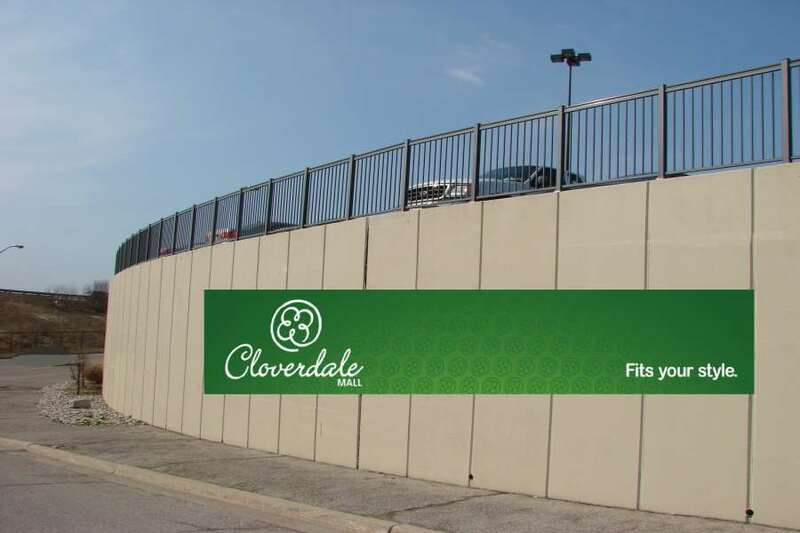 The better you feel about spending your money on it. 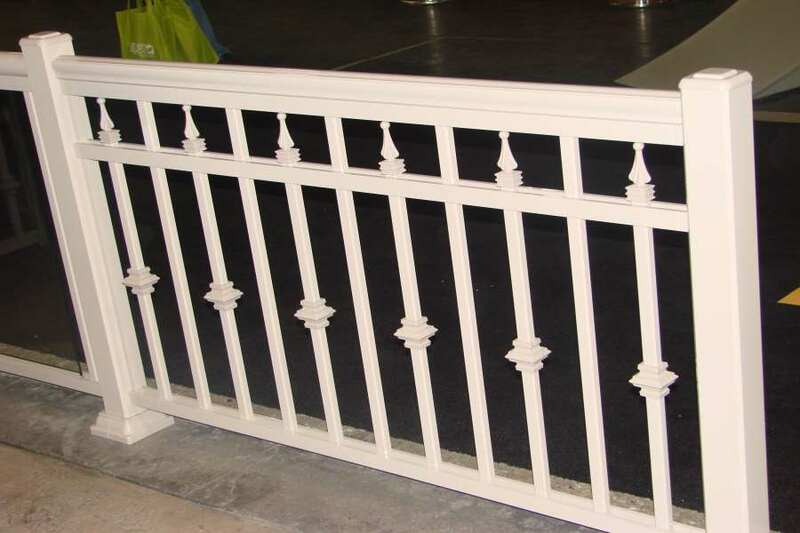 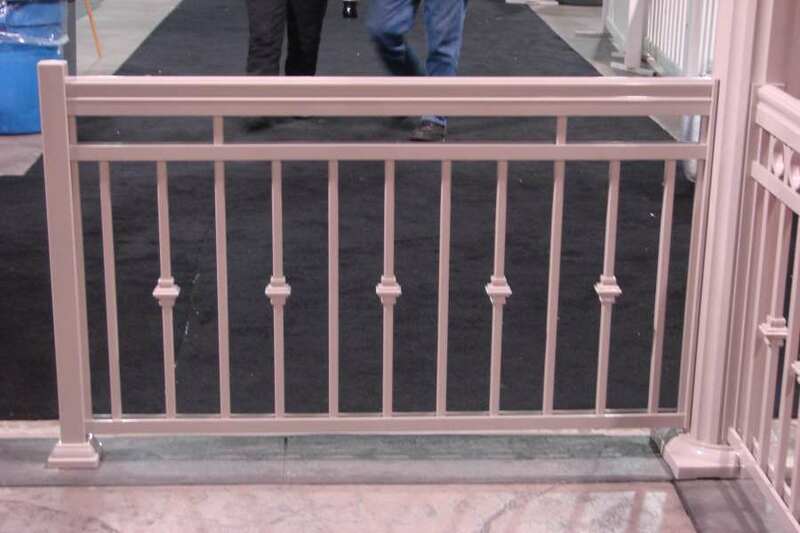 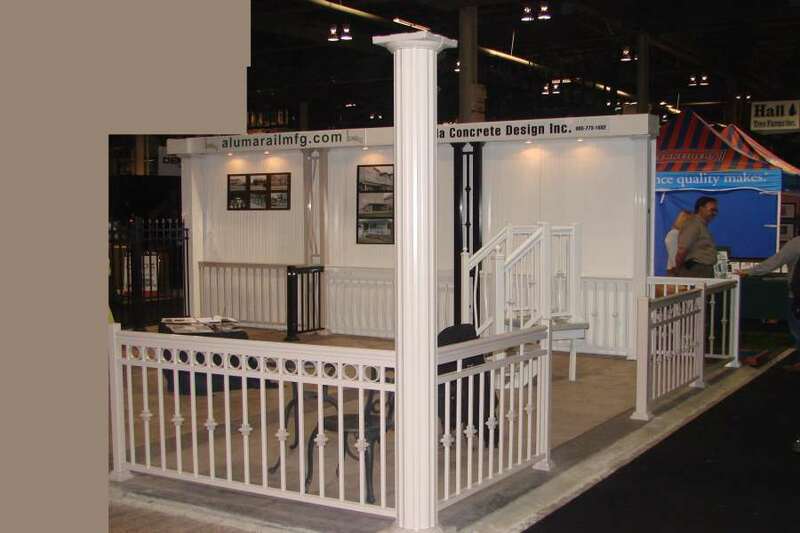 Are you looking for winning material for your exterior railings? 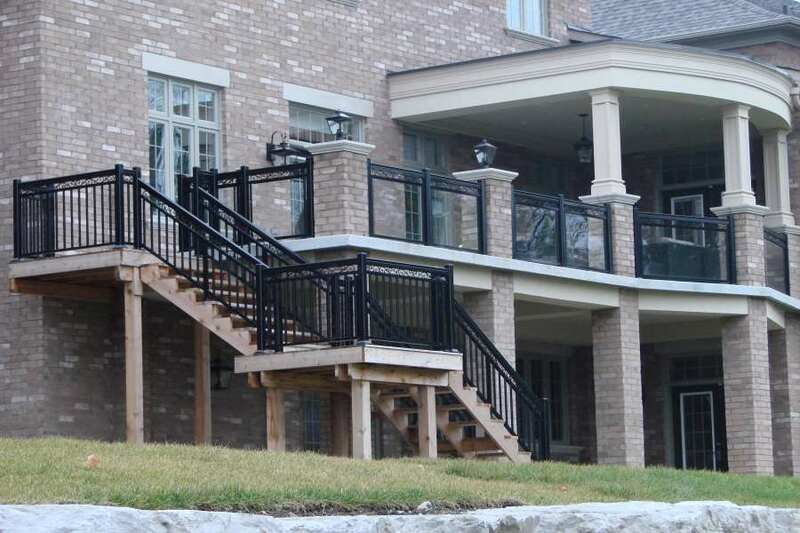 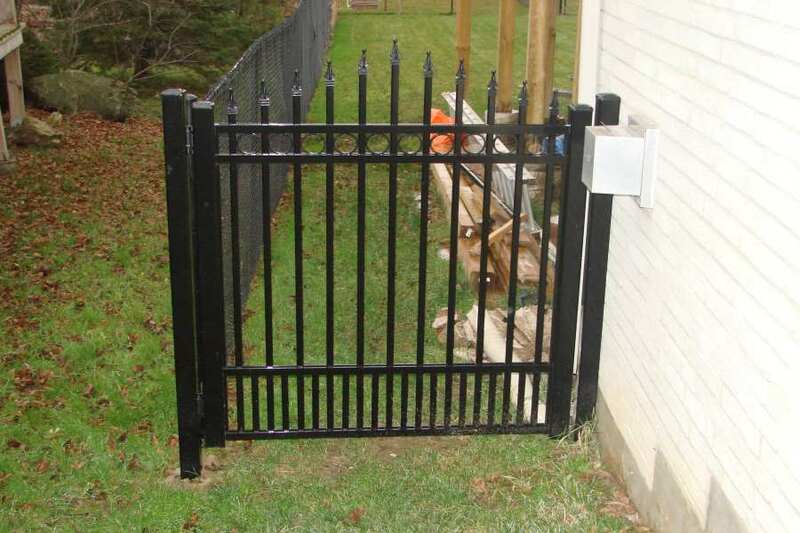 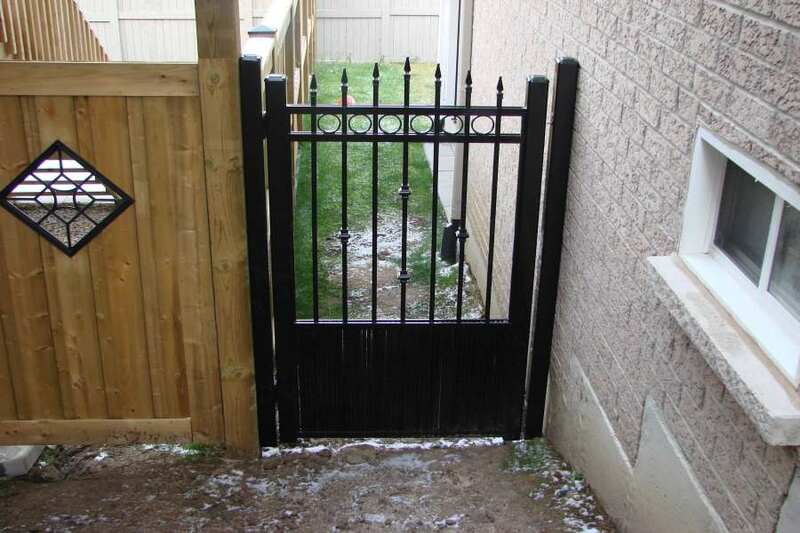 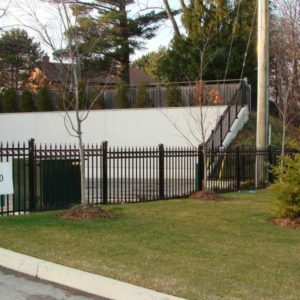 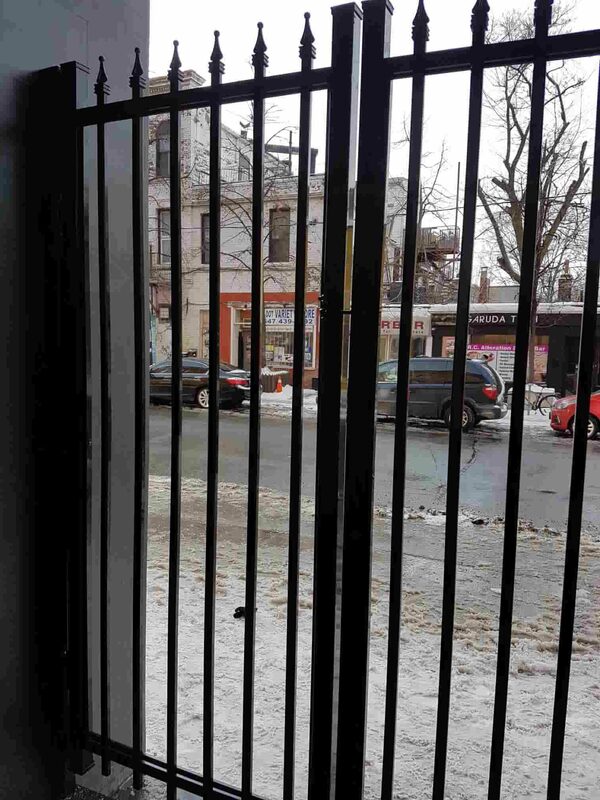 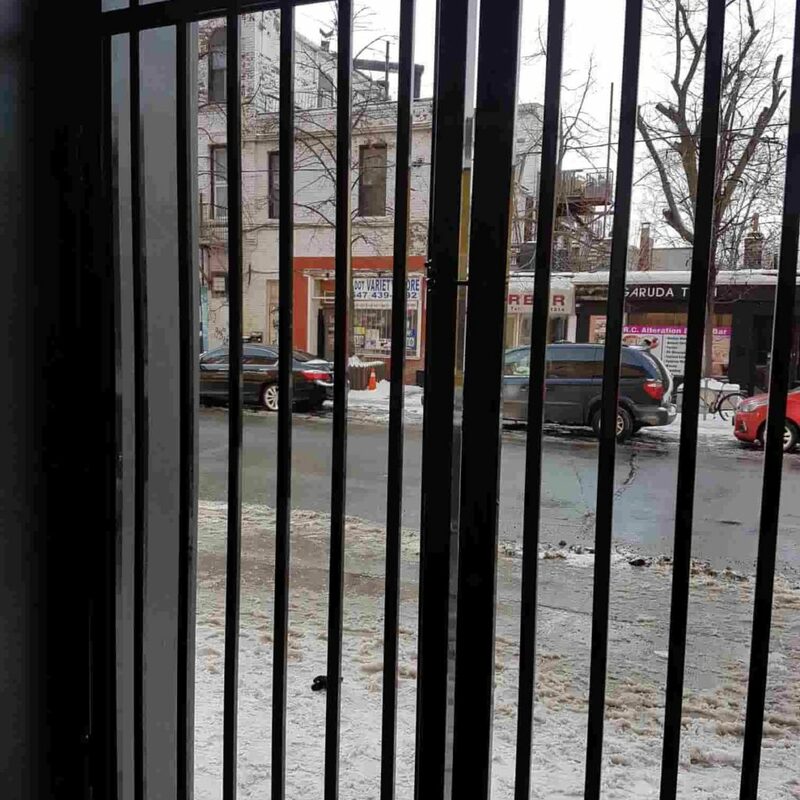 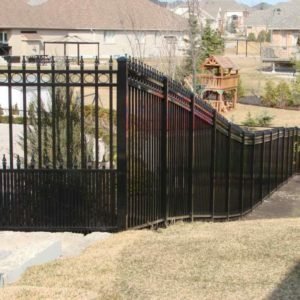 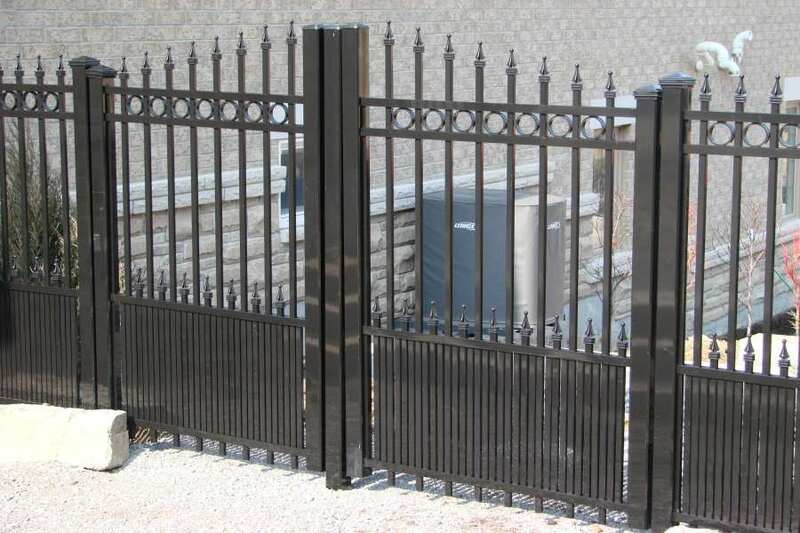 You should go with aluminum outdoor railings. 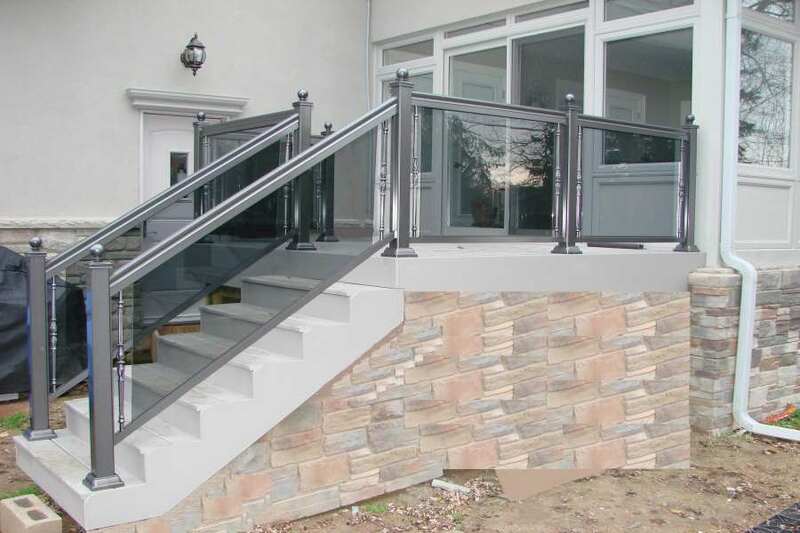 NW Aluminum offers you a wide choice of aluminum stair railing systems. 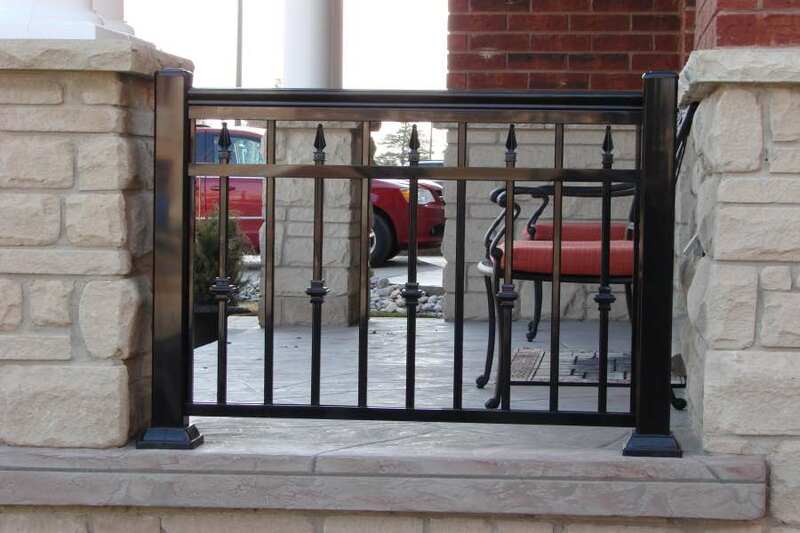 Steal a peek of our products online. 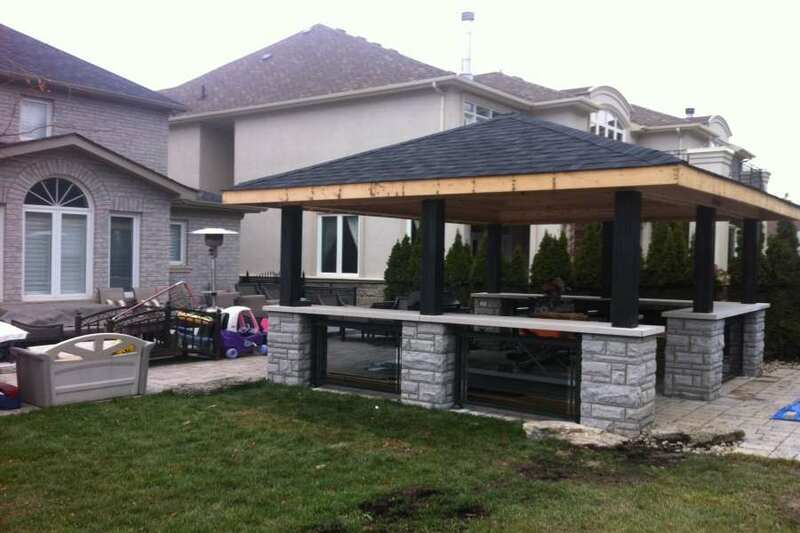 Or drop us a call on (+1) 647-952-5023.